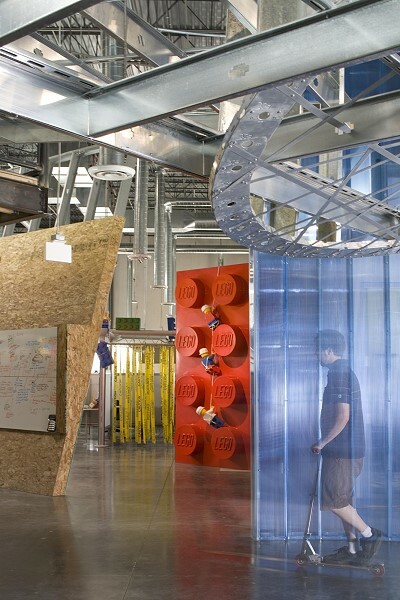 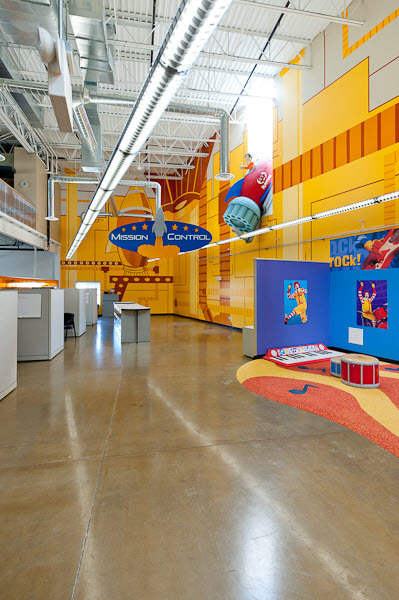 When every child who wants to be an Architect thinks about what they want to do in life, it isn't reviewing time sheets and keeping track of how many sheets of blueprint paper are in the back room, they want to be creative and undertake the responsibility of building a place for someone that functions and resonates with its users. 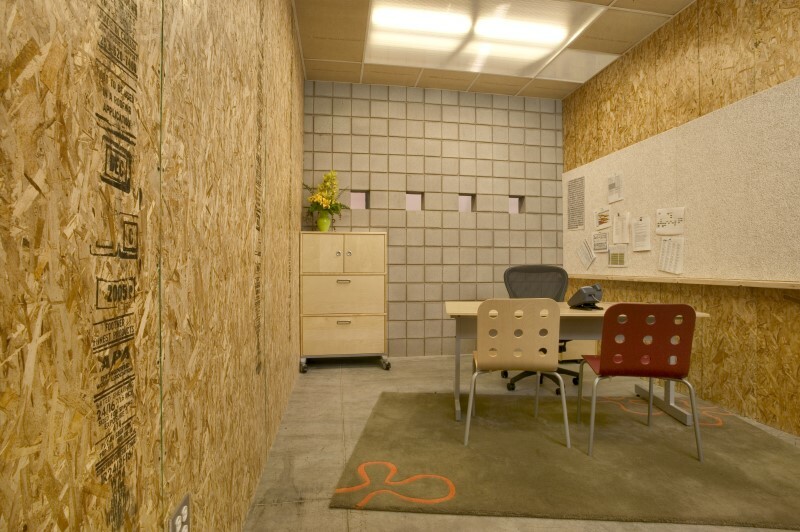 They want to draw and solve the puzzle. 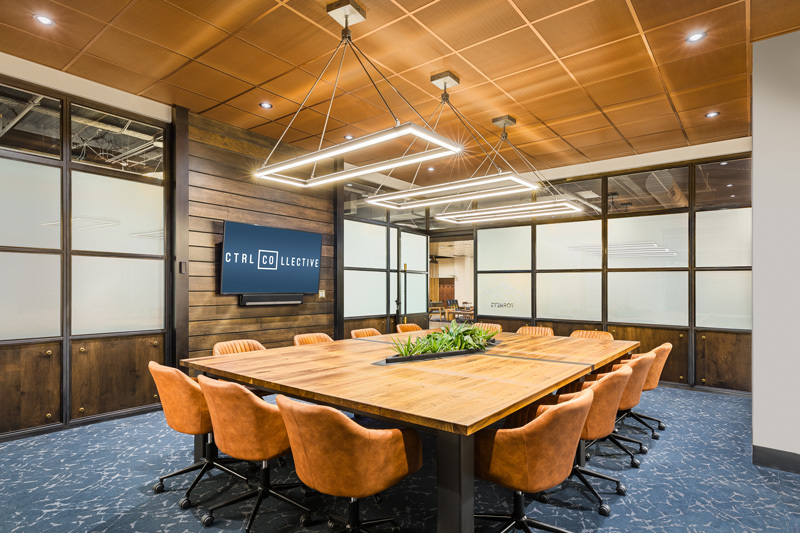 That's what we do, after so many years of experience in this marketplace and interiors sector, we have come to understand what helps your team work better, smarter, and in an environment that supports what your business is, and it's not complicated. 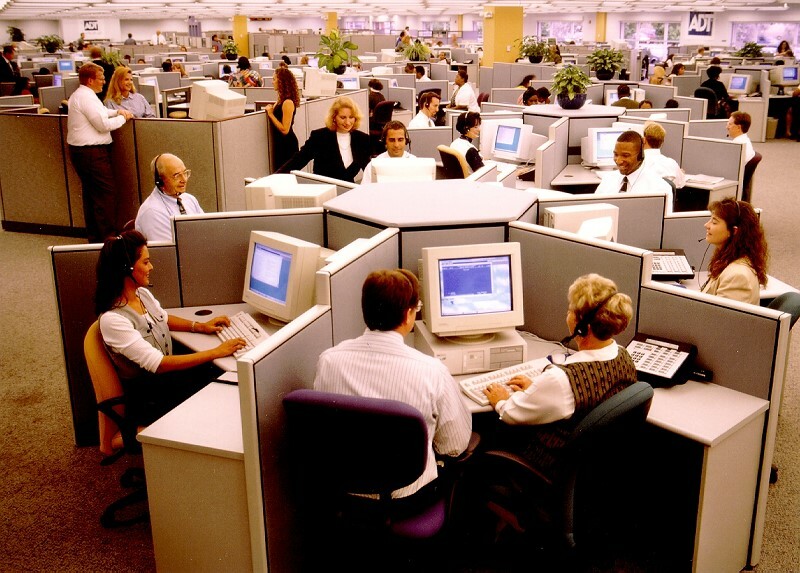 We listen to you. 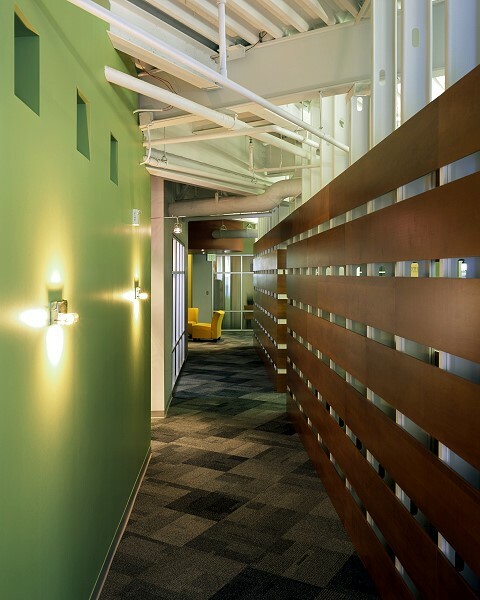 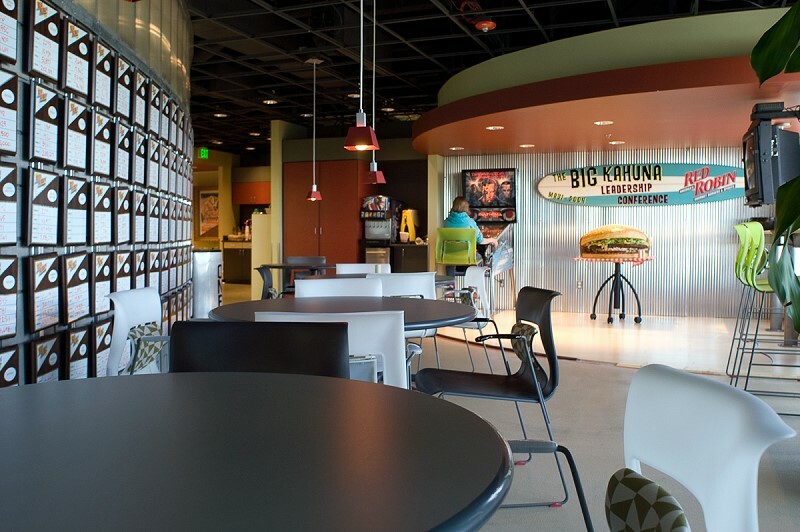 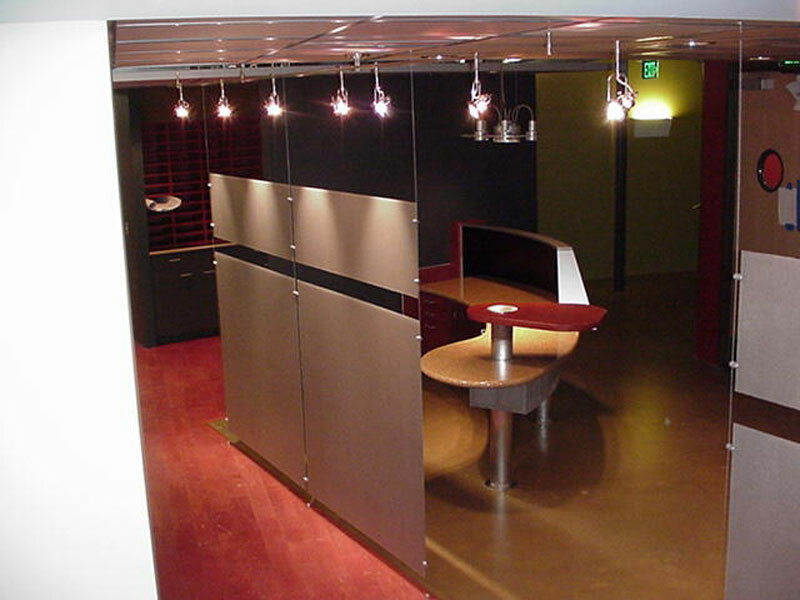 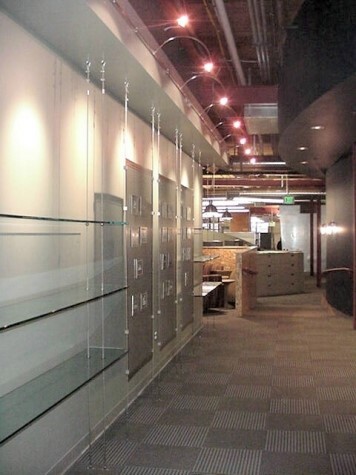 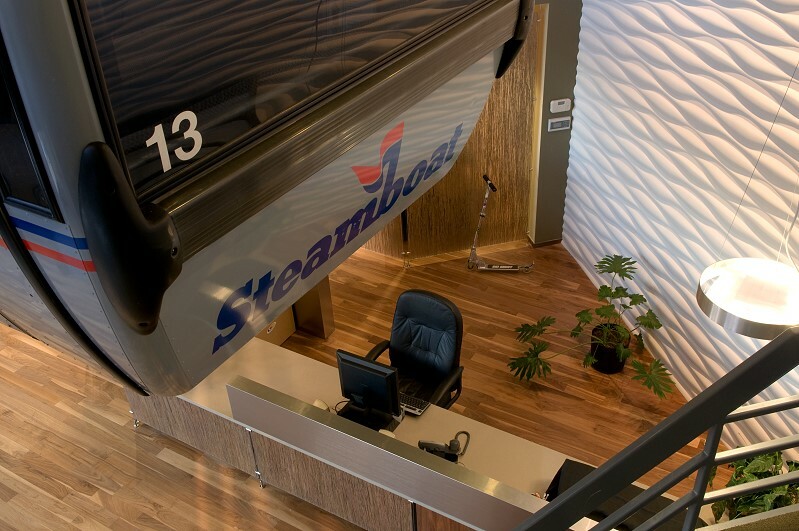 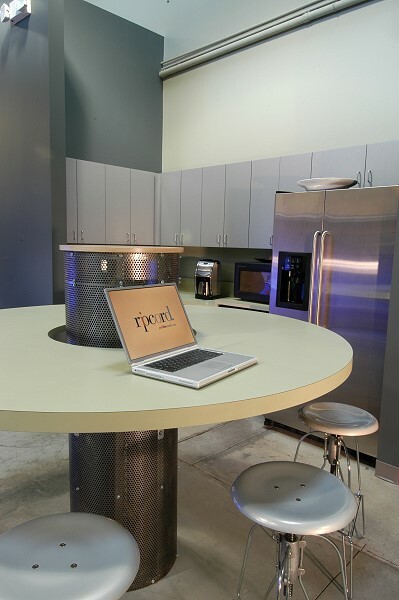 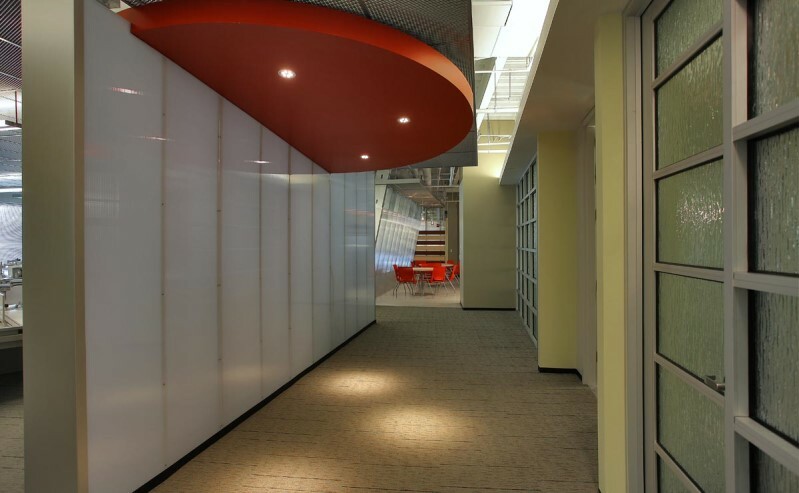 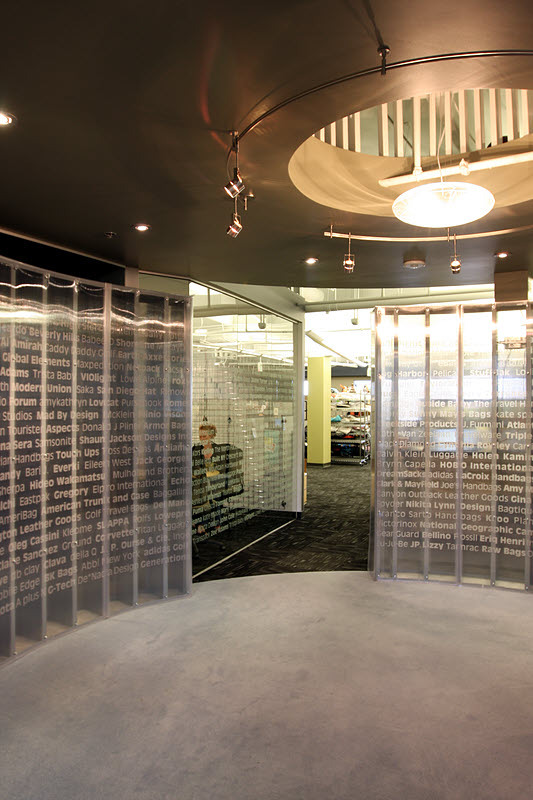 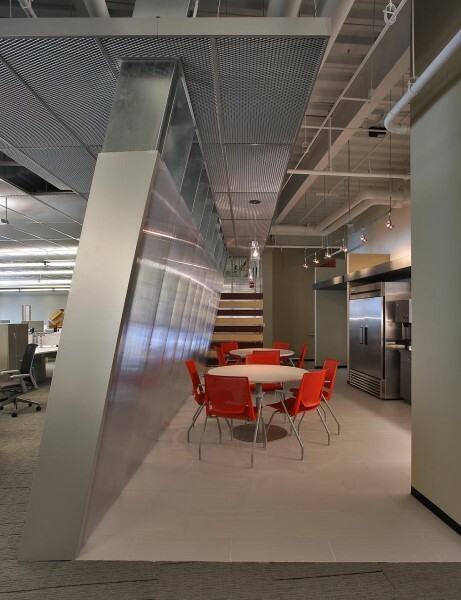 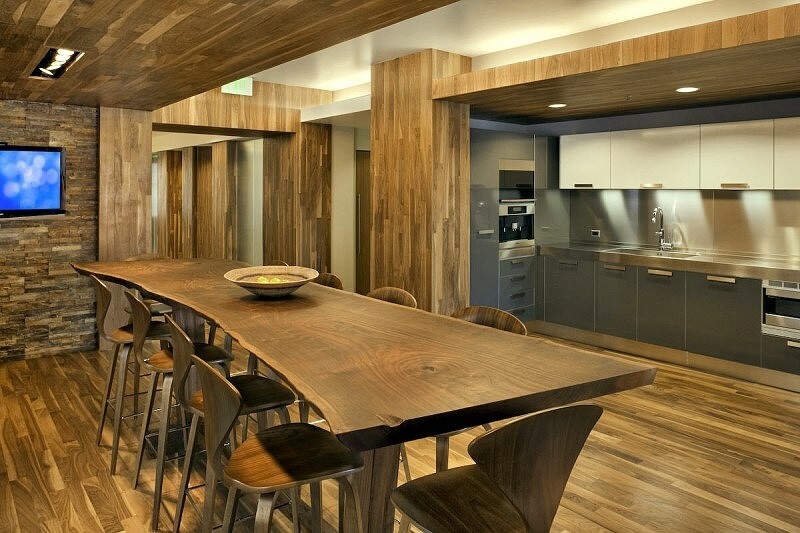 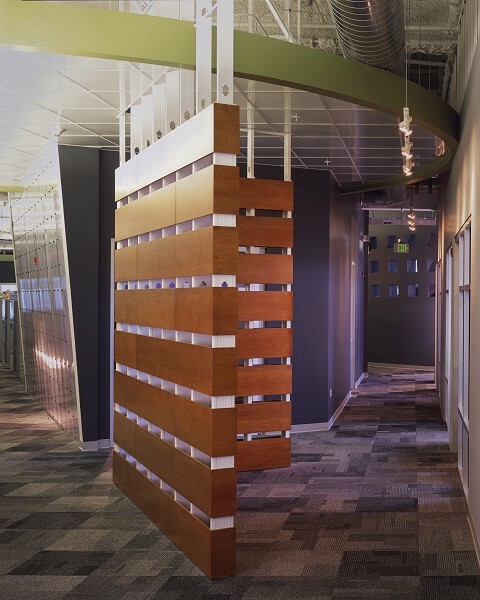 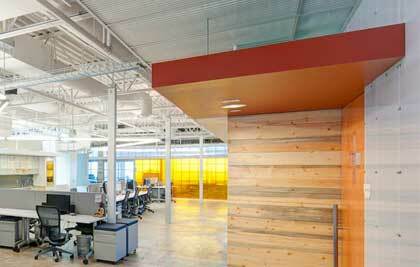 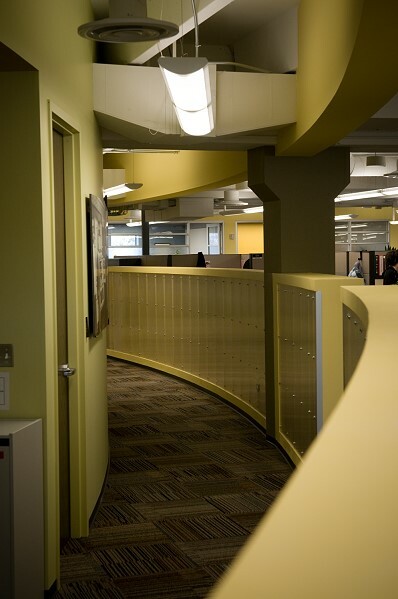 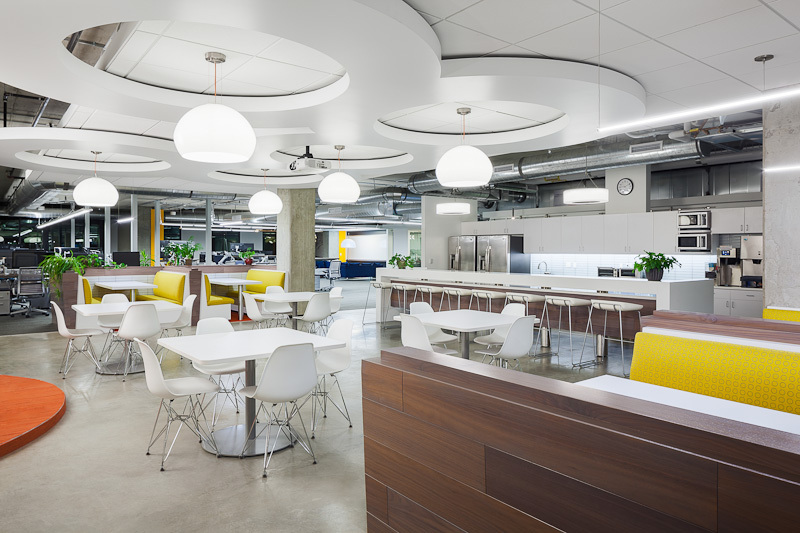 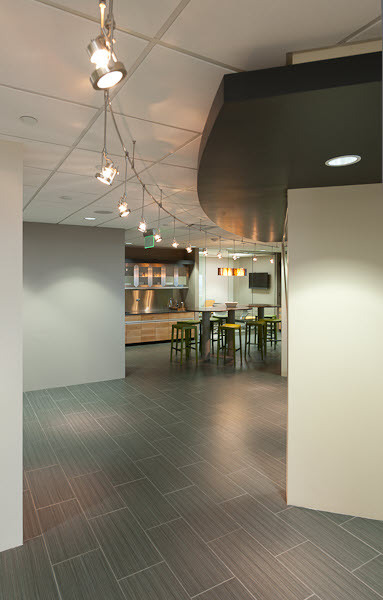 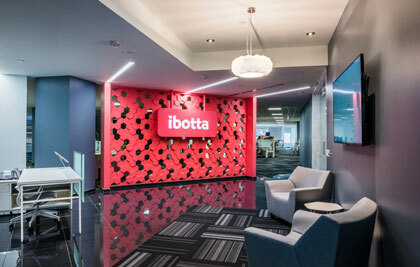 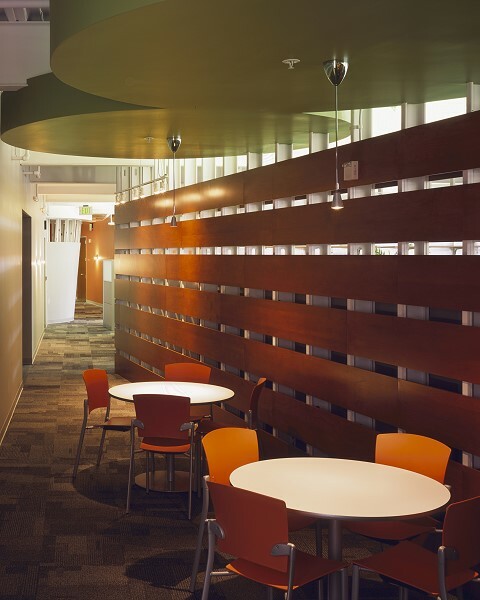 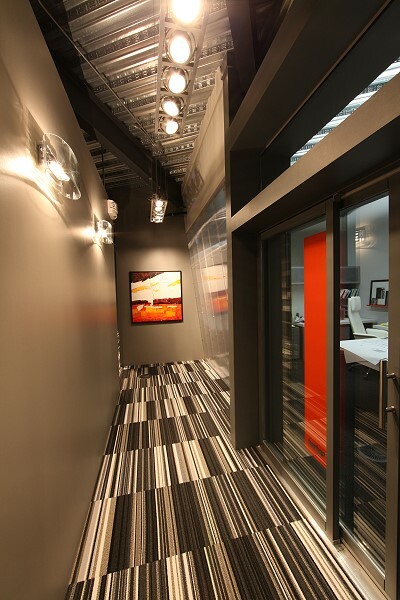 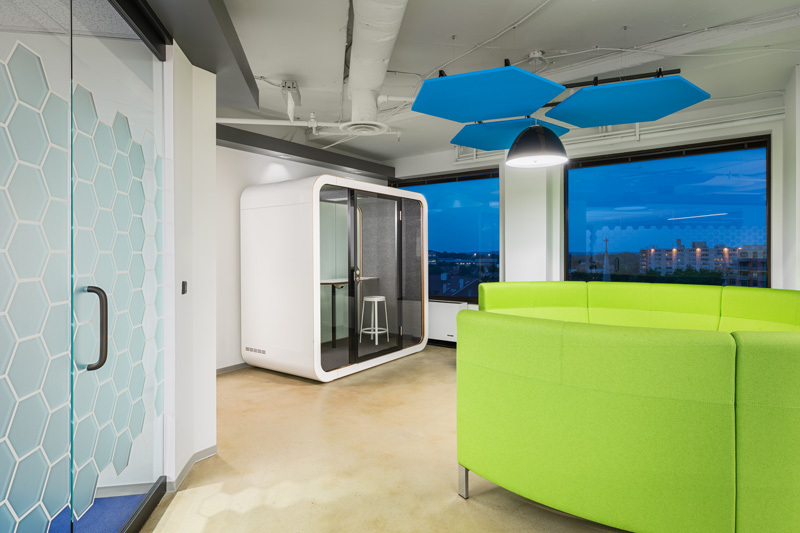 We understand how you work, then design space that works. 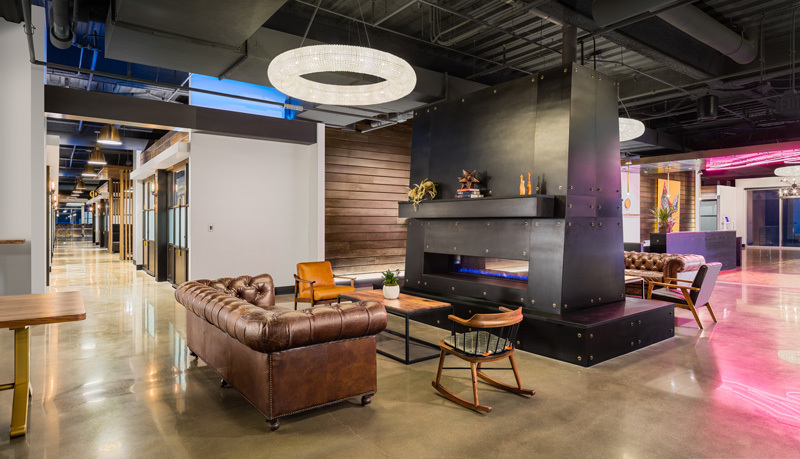 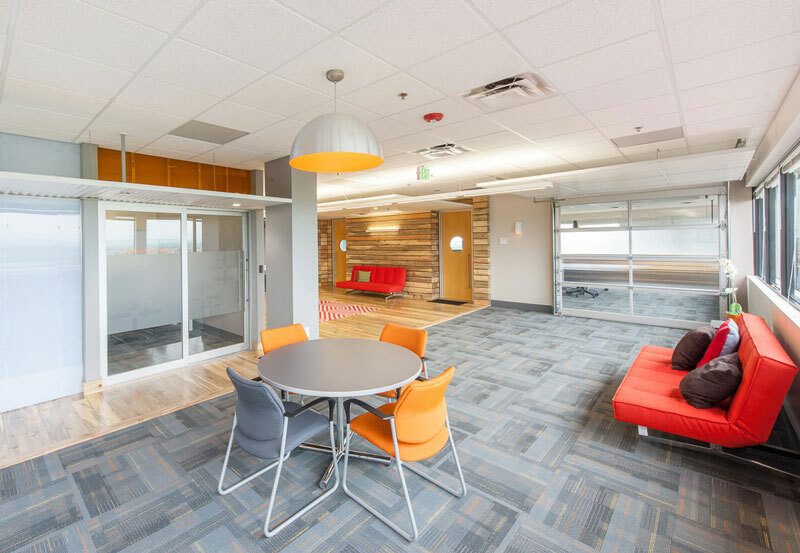 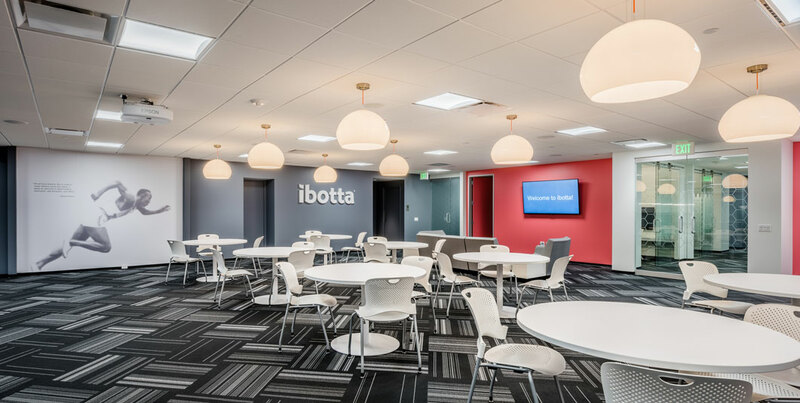 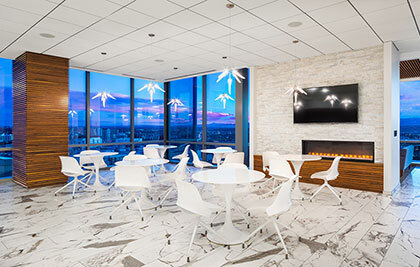 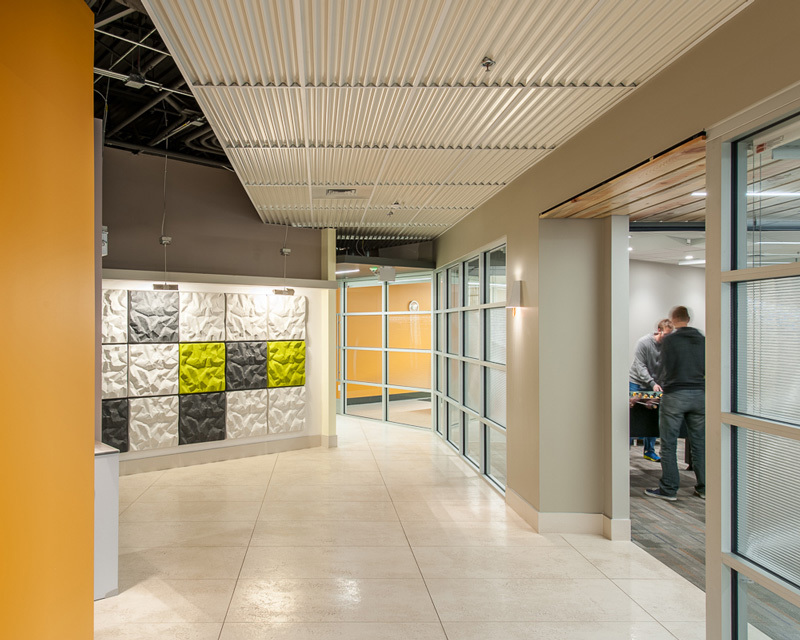 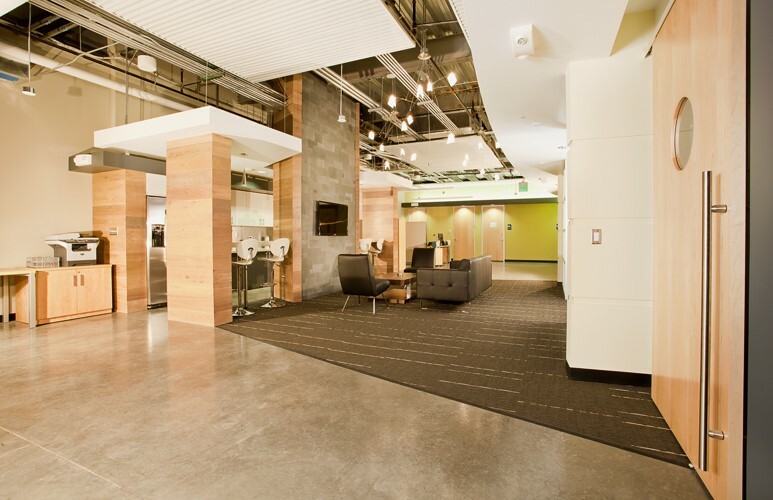 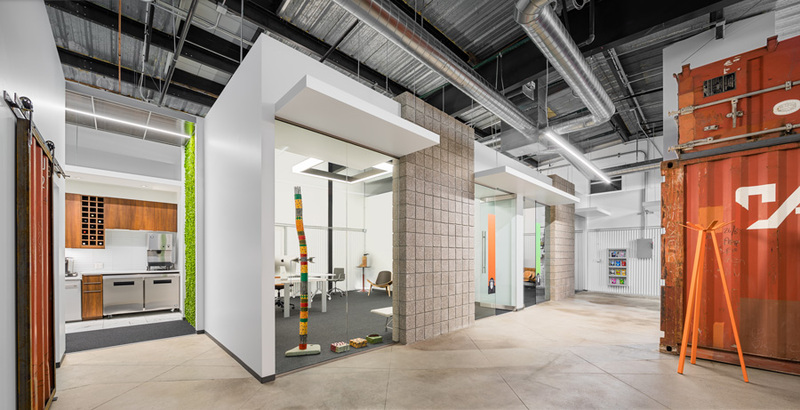 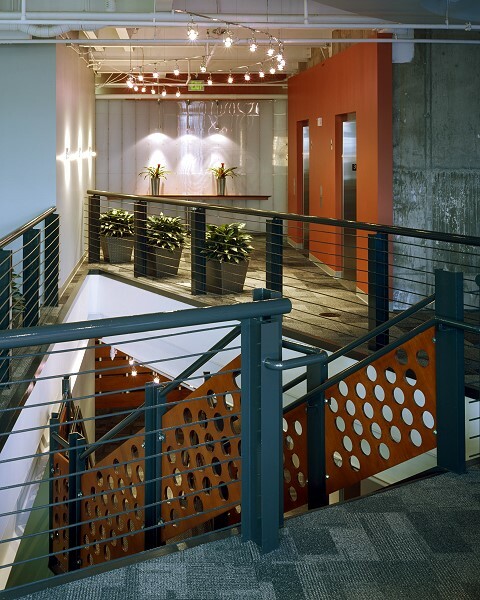 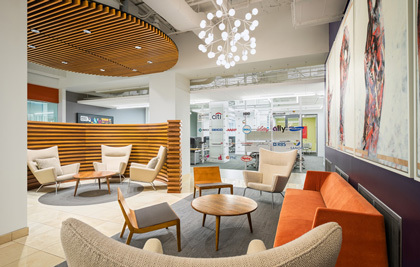 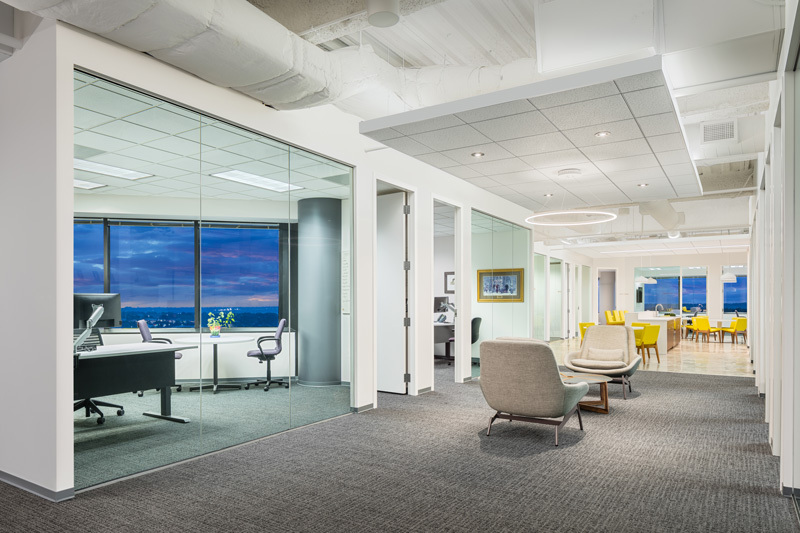 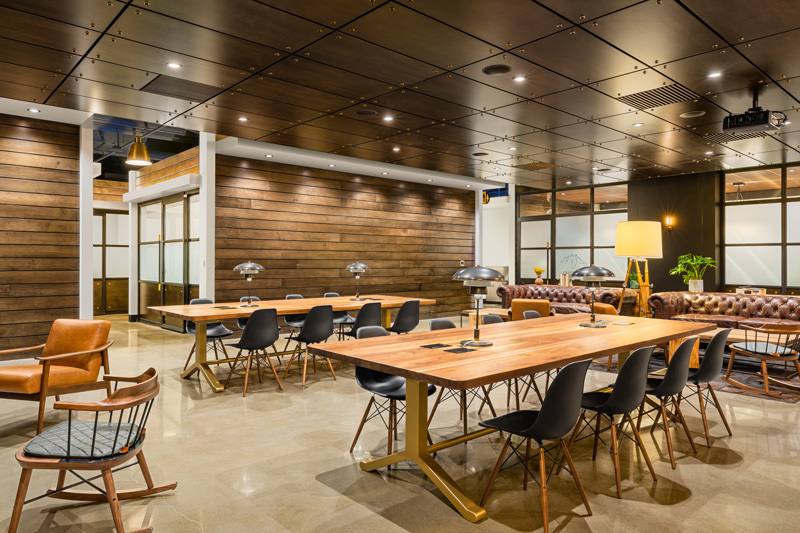 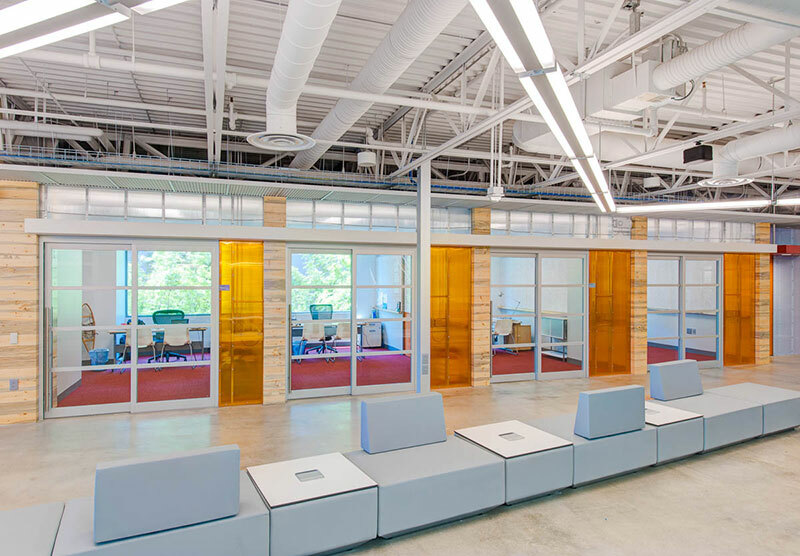 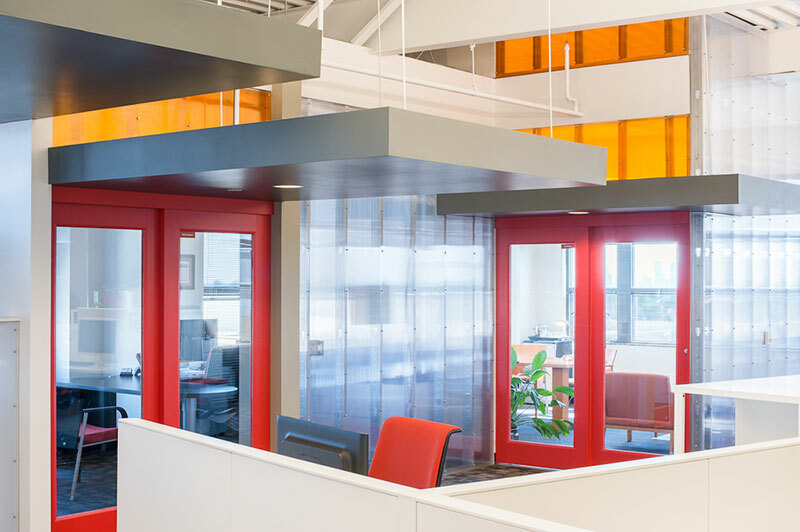 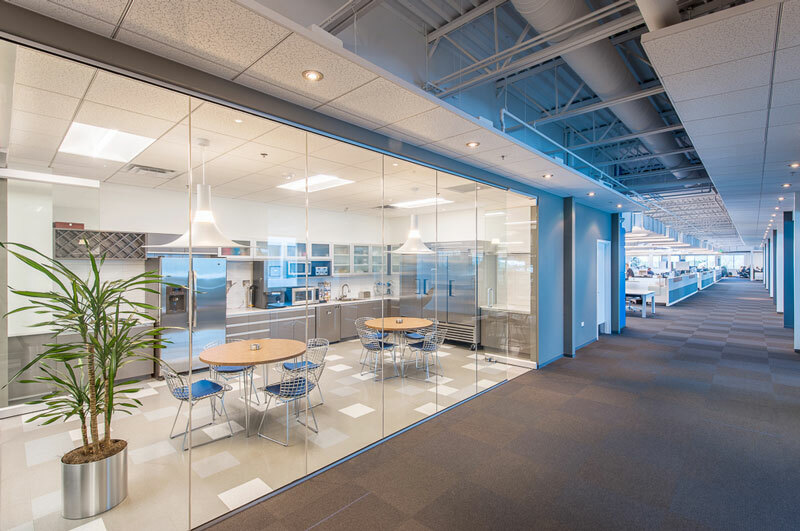 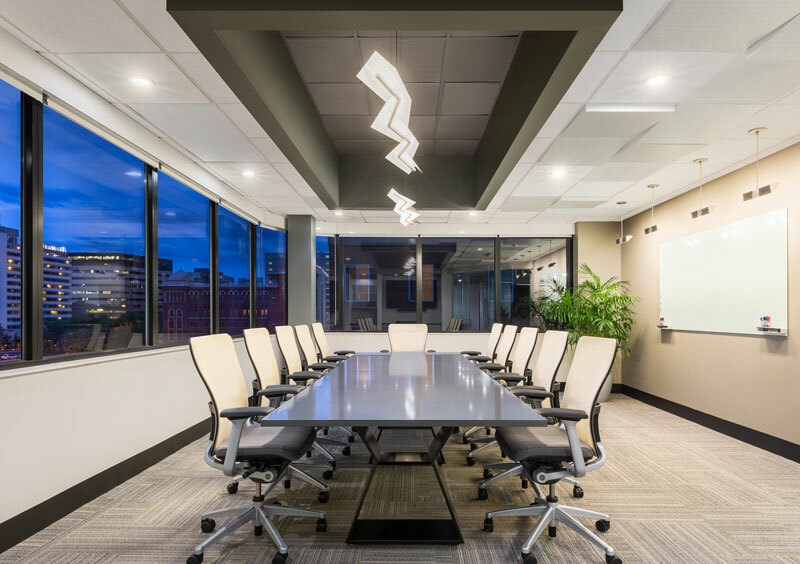 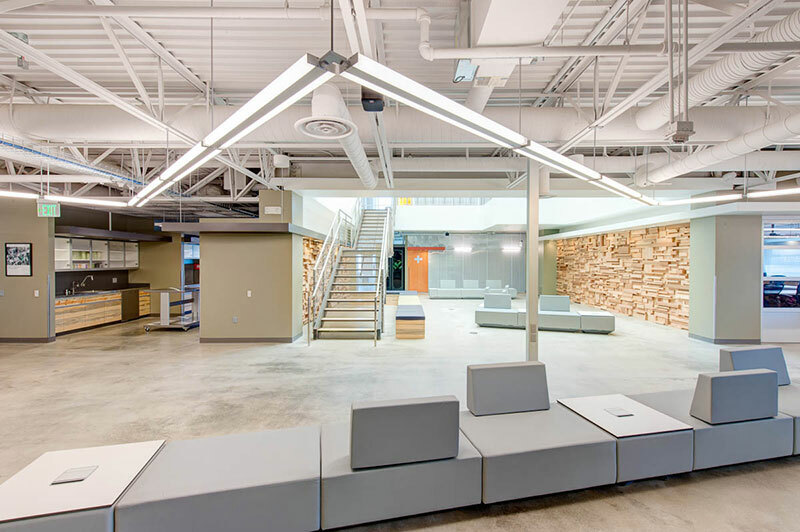 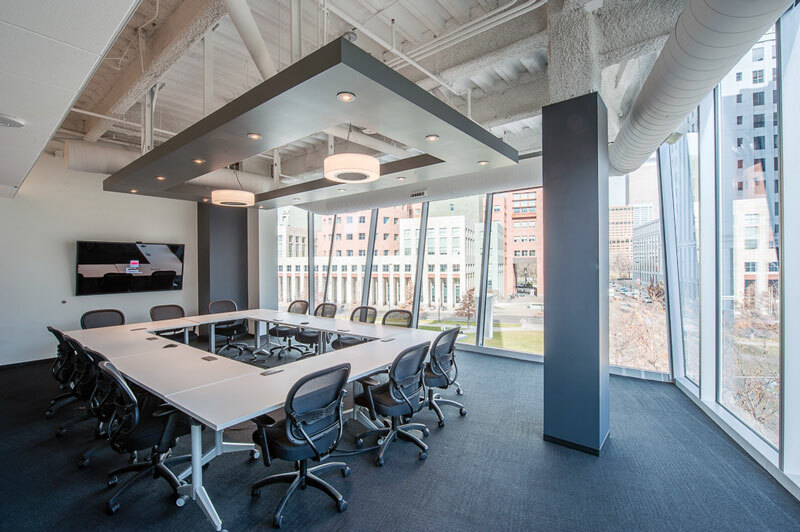 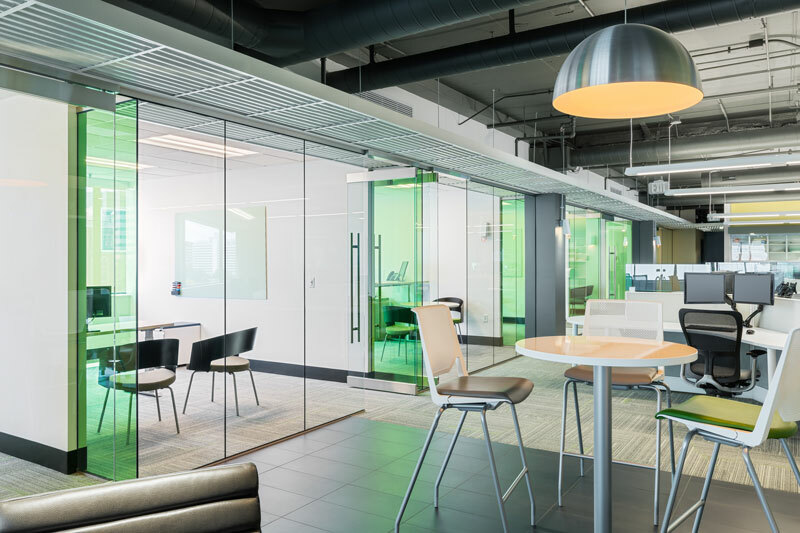 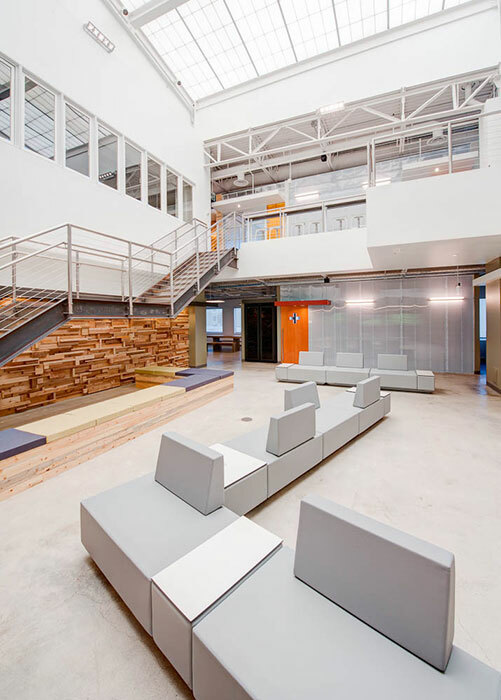 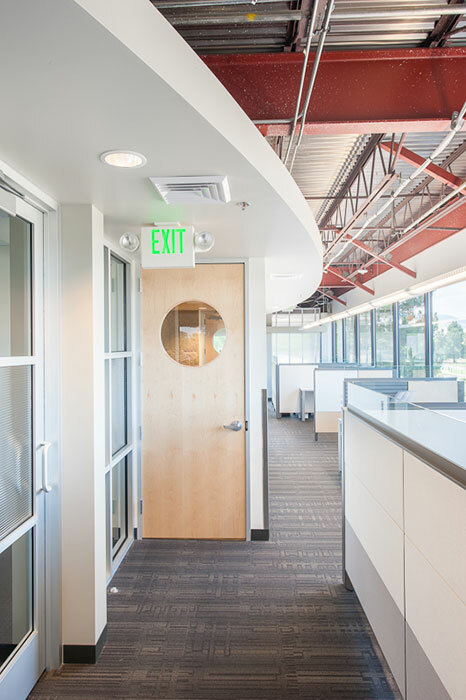 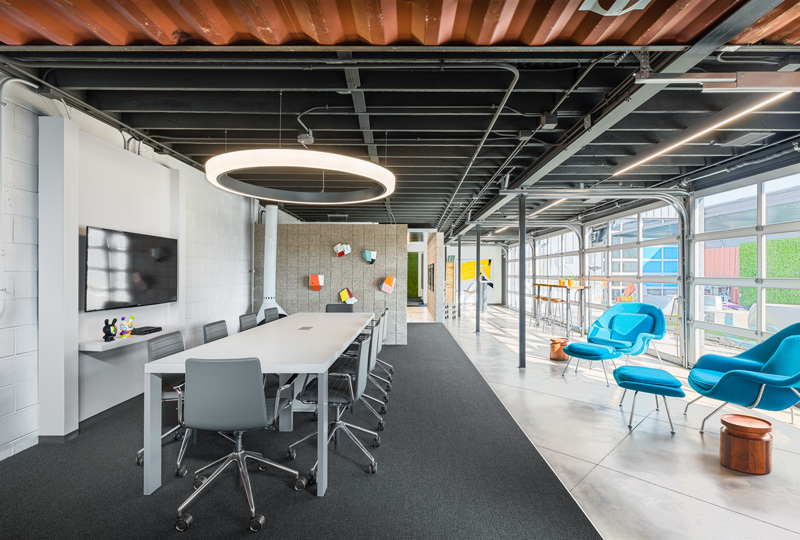 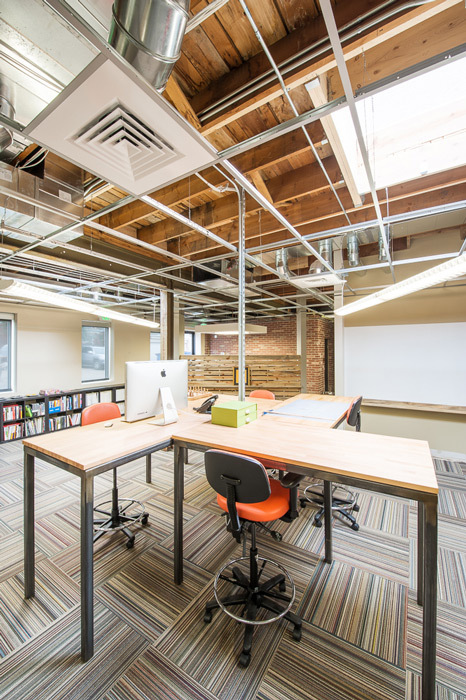 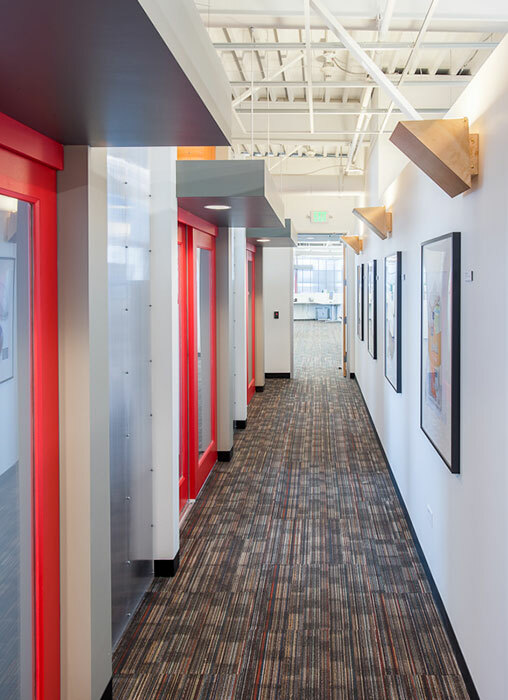 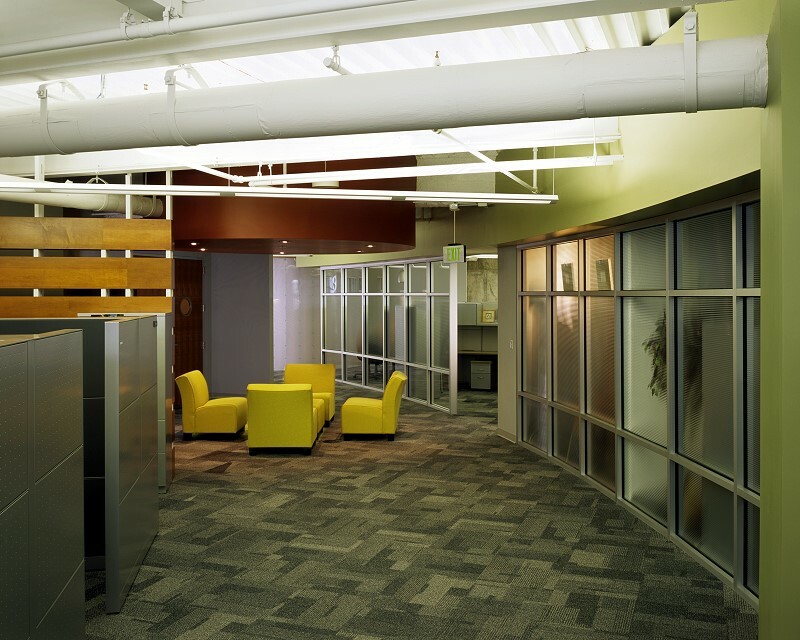 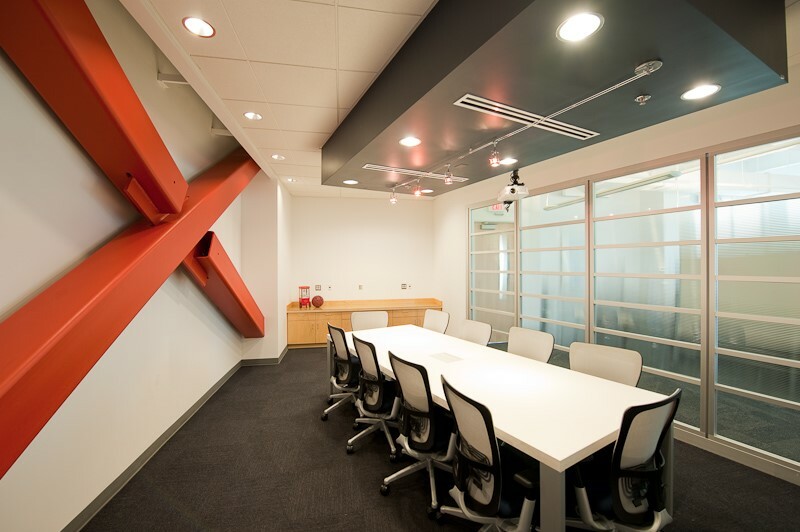 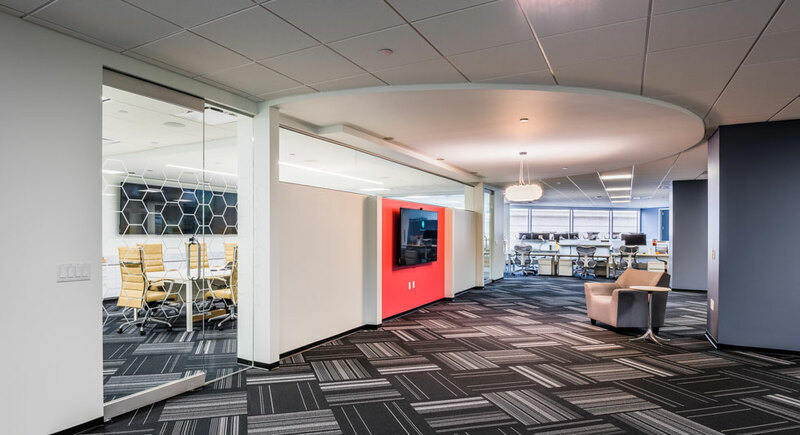 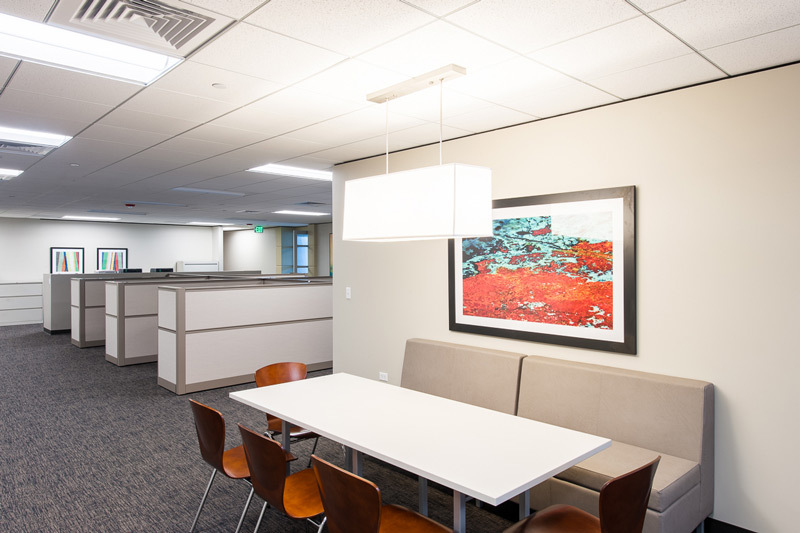 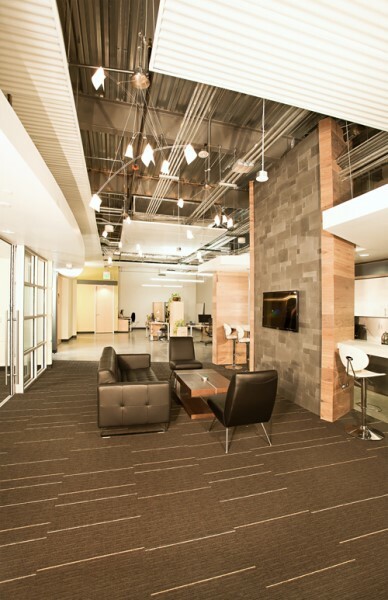 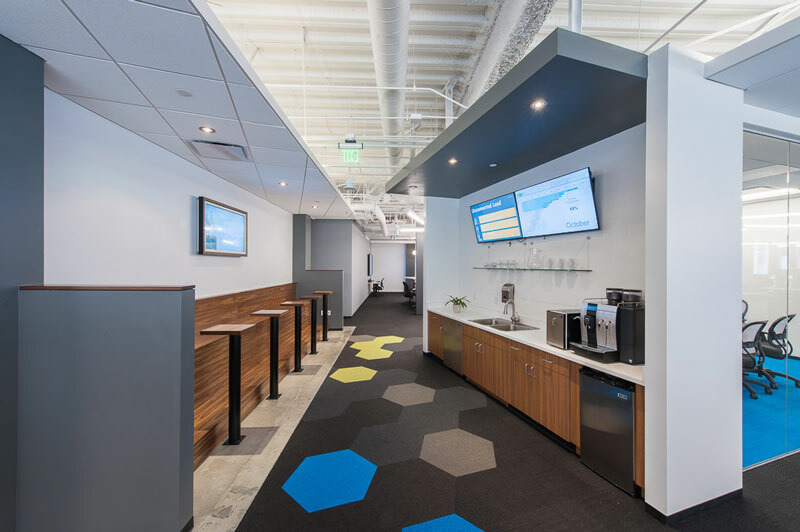 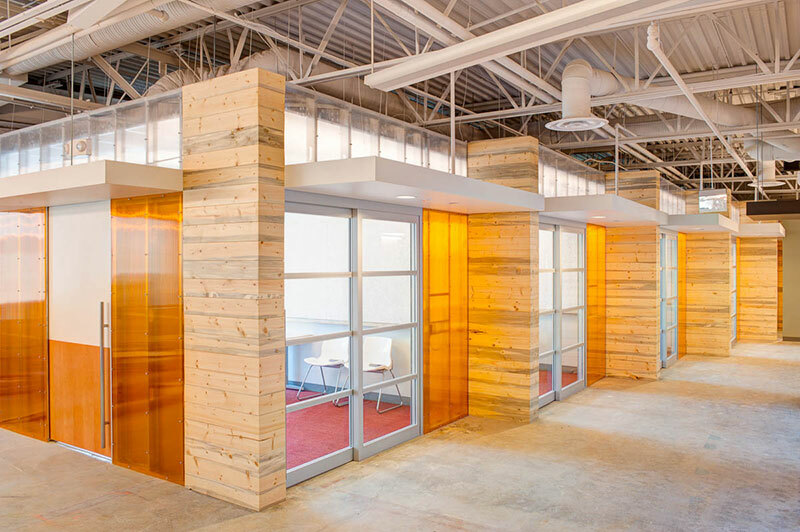 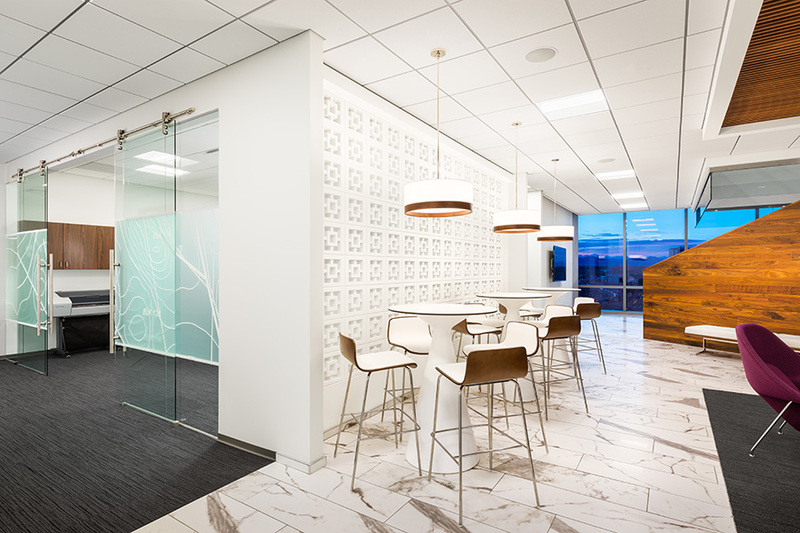 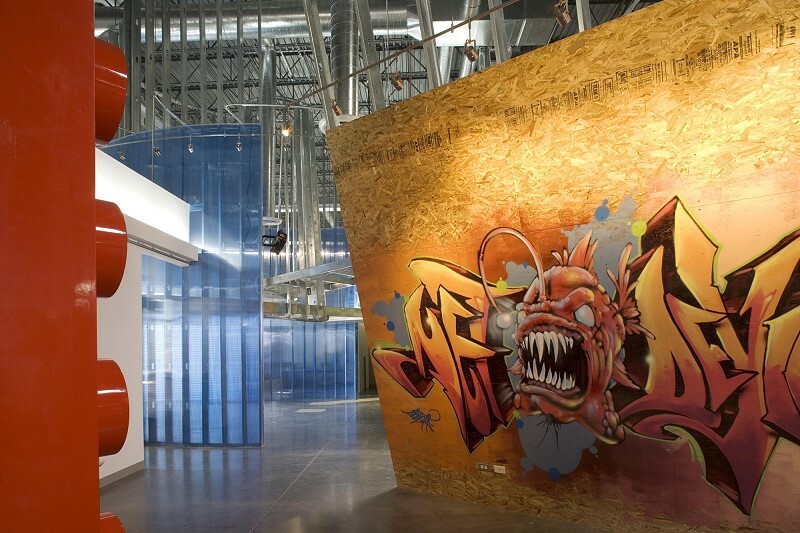 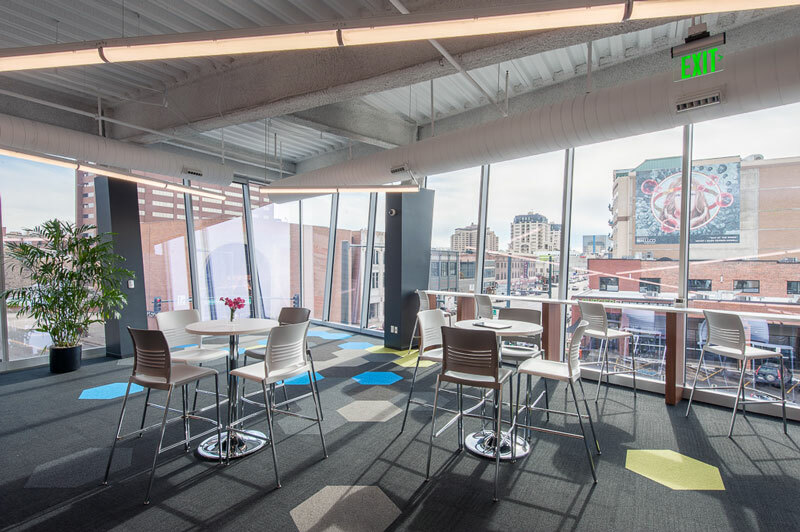 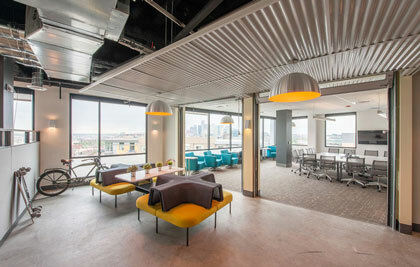 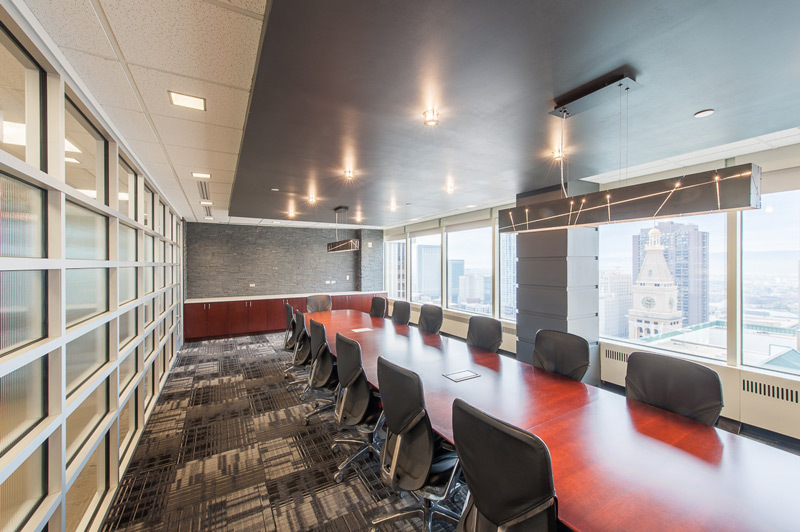 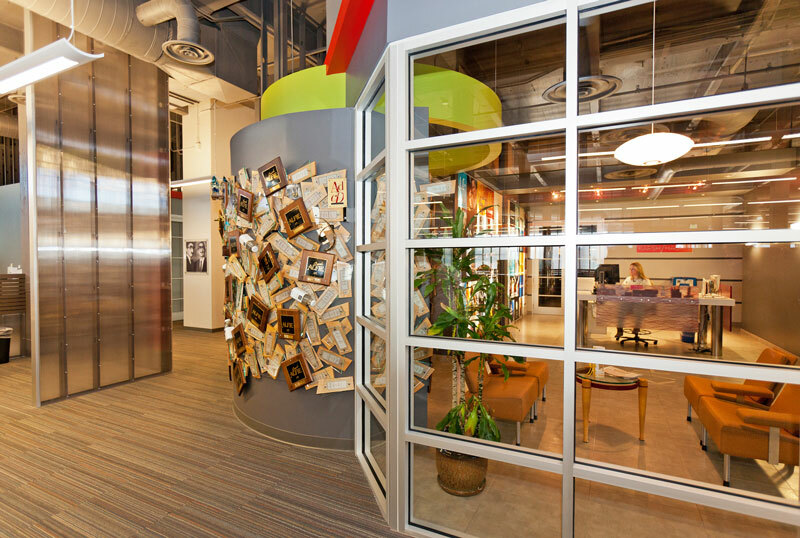 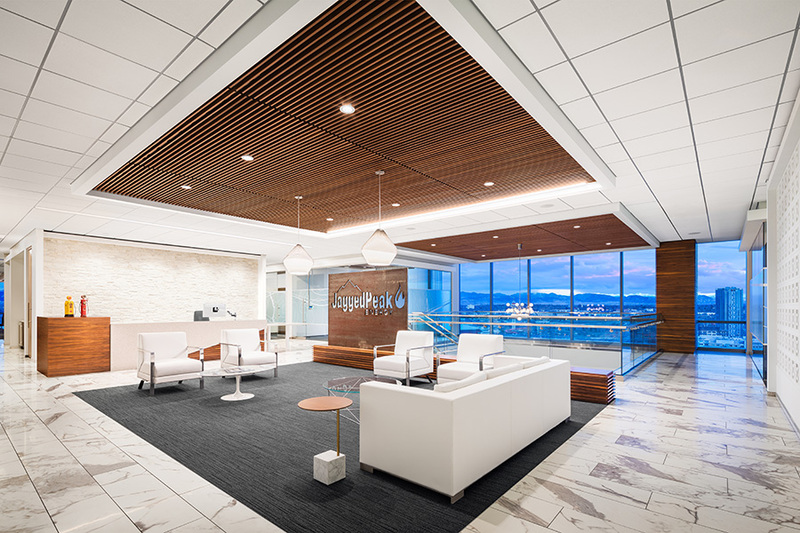 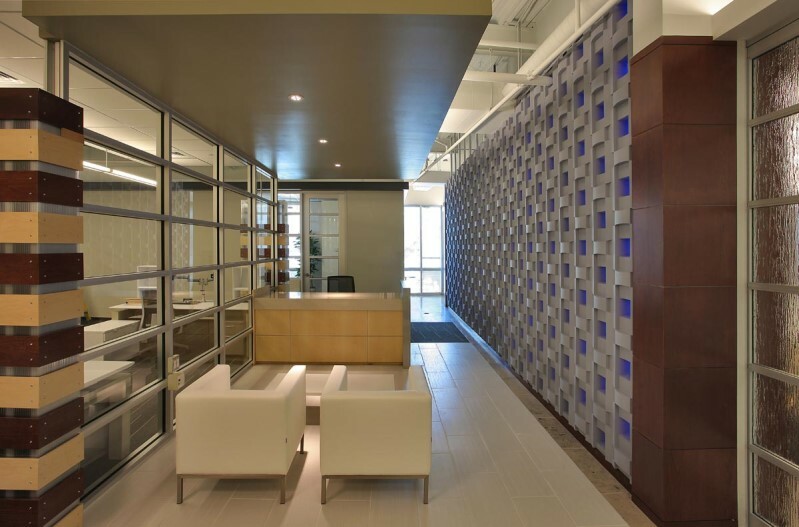 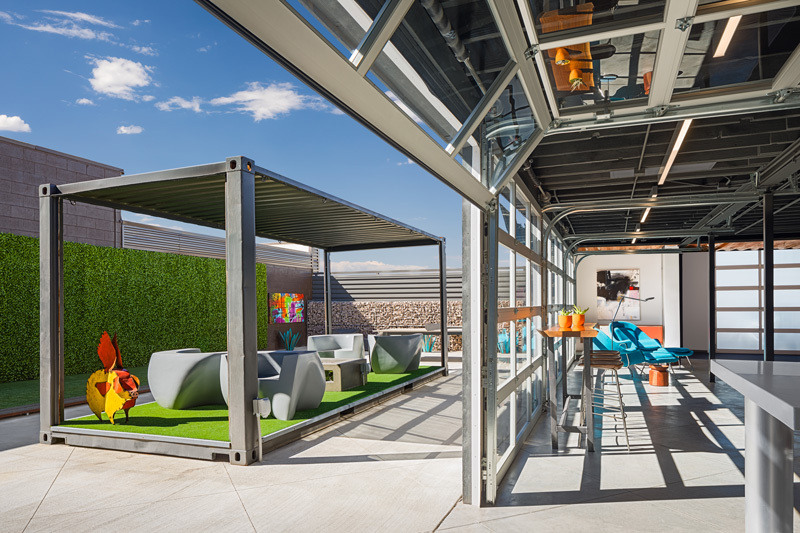 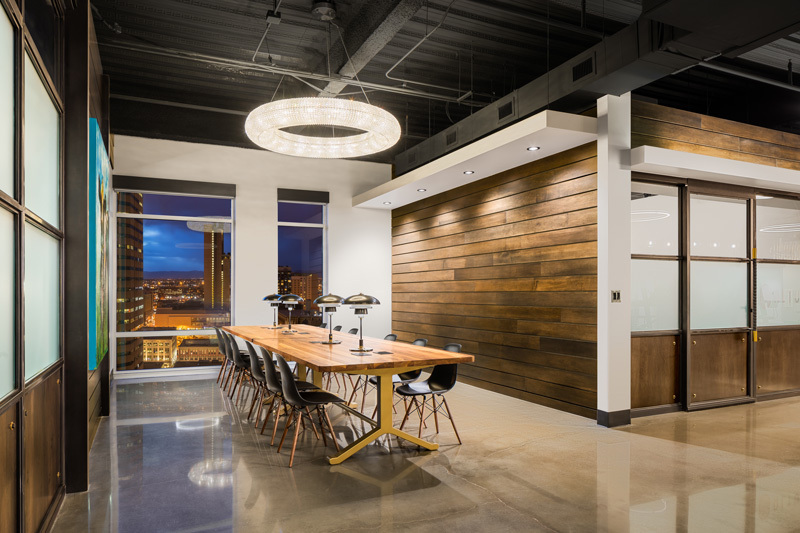 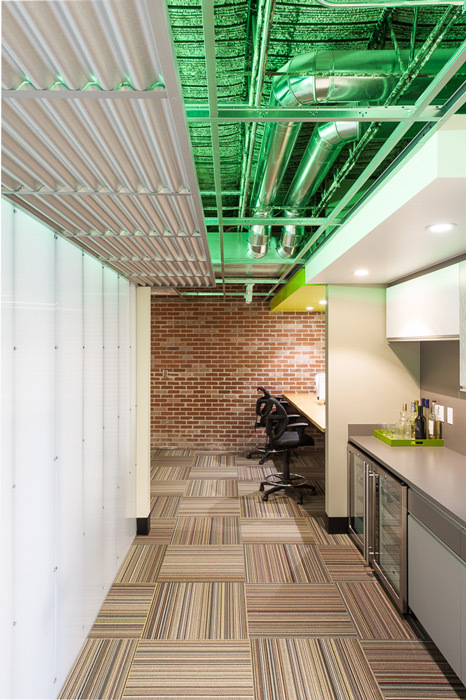 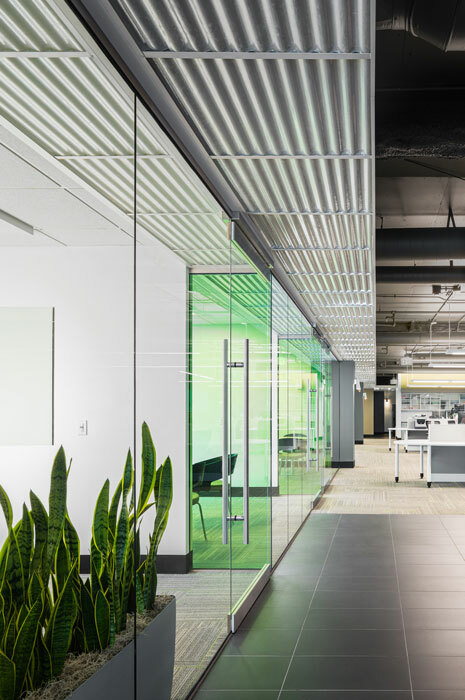 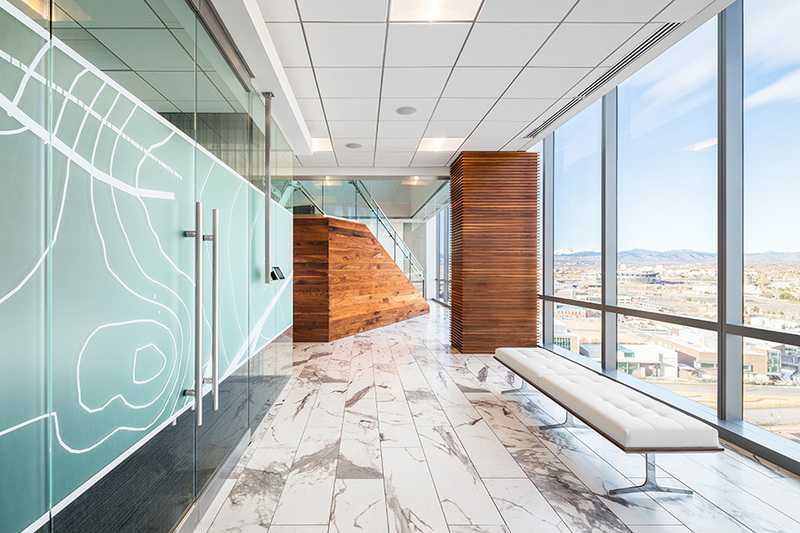 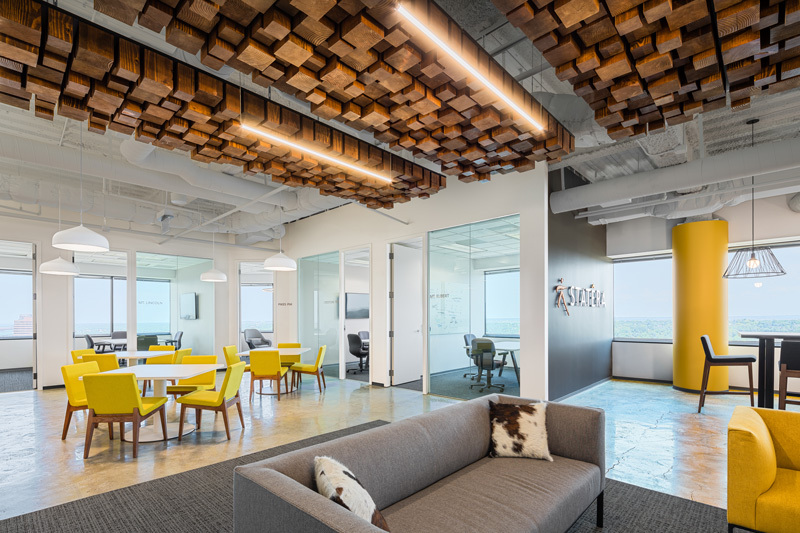 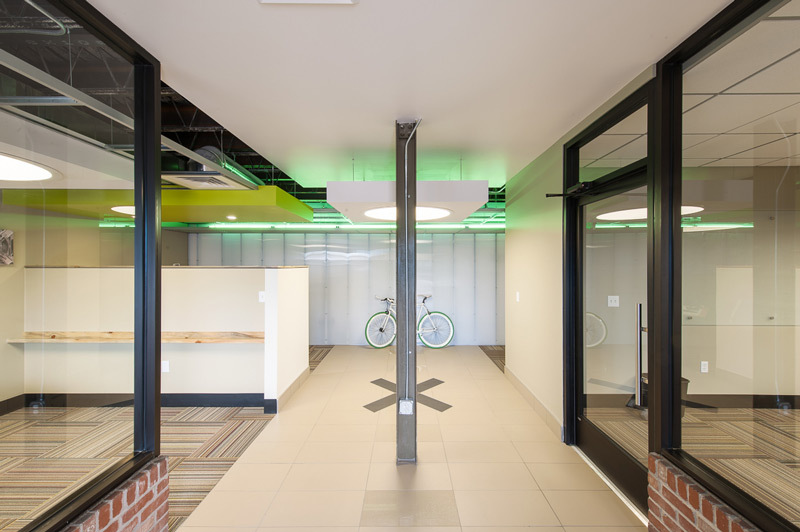 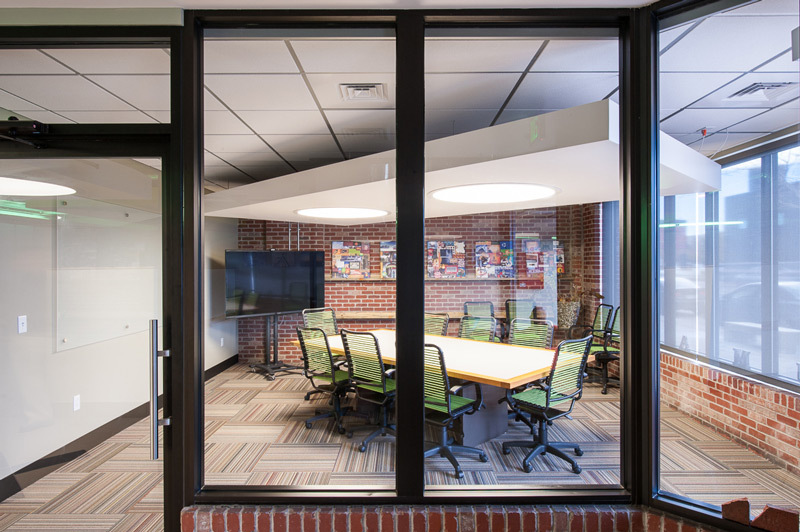 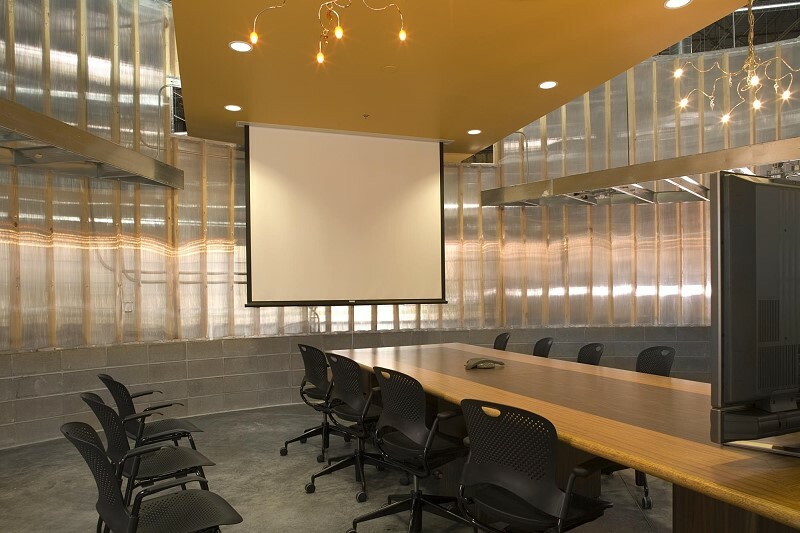 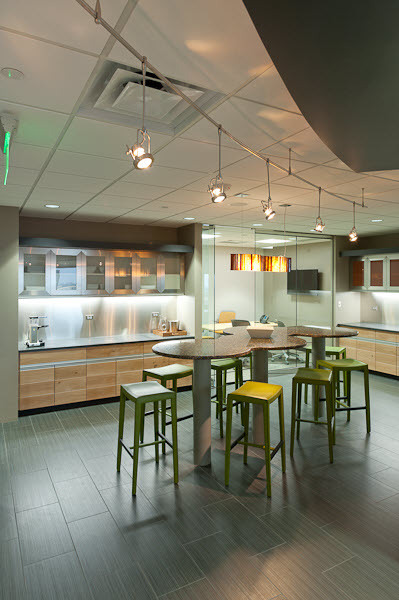 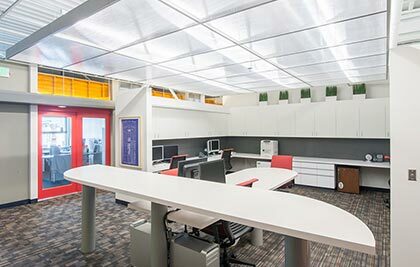 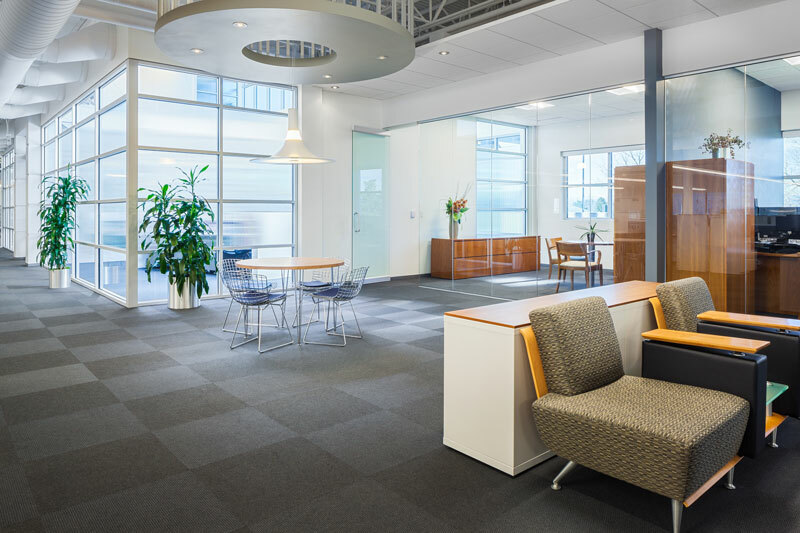 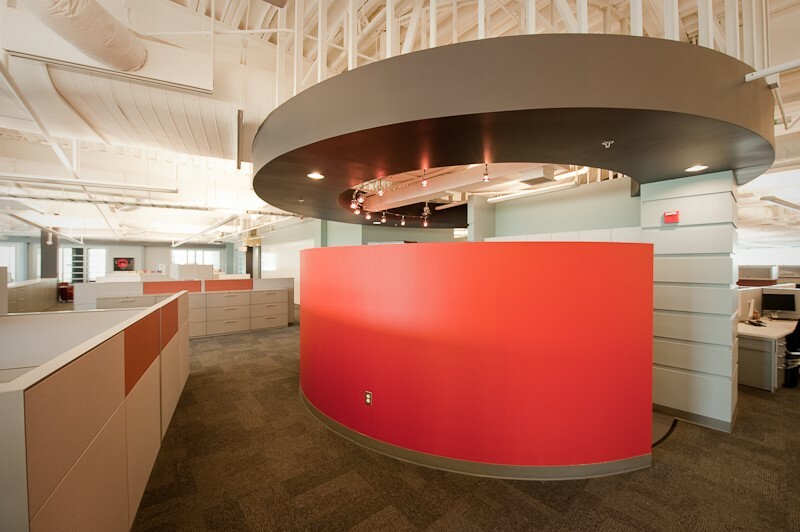 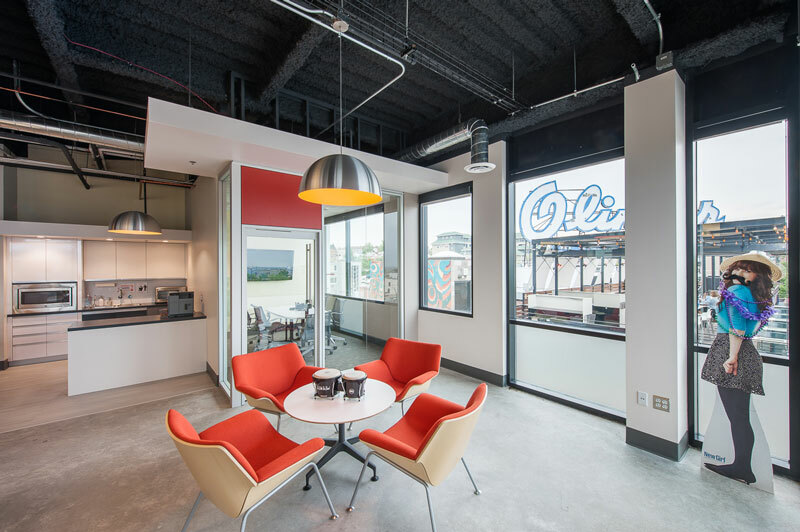 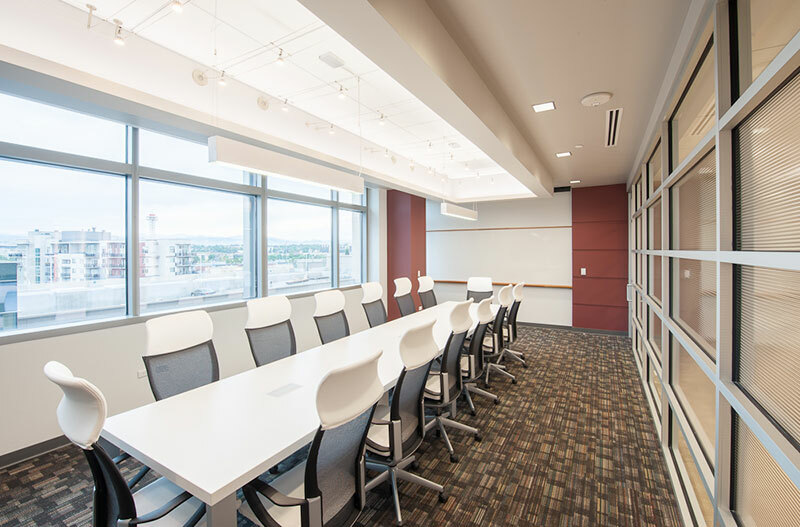 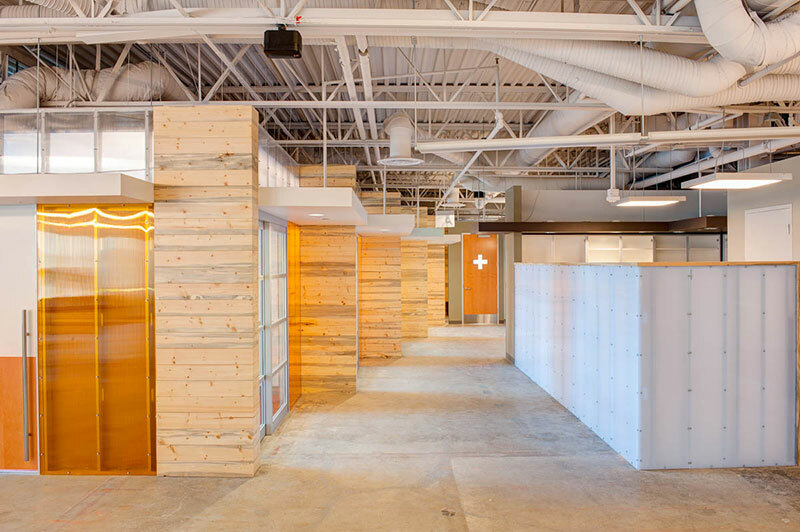 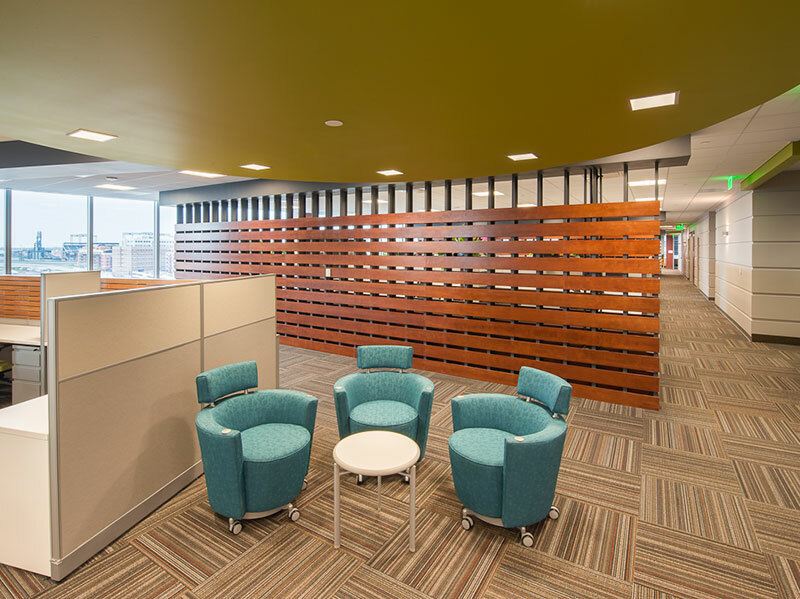 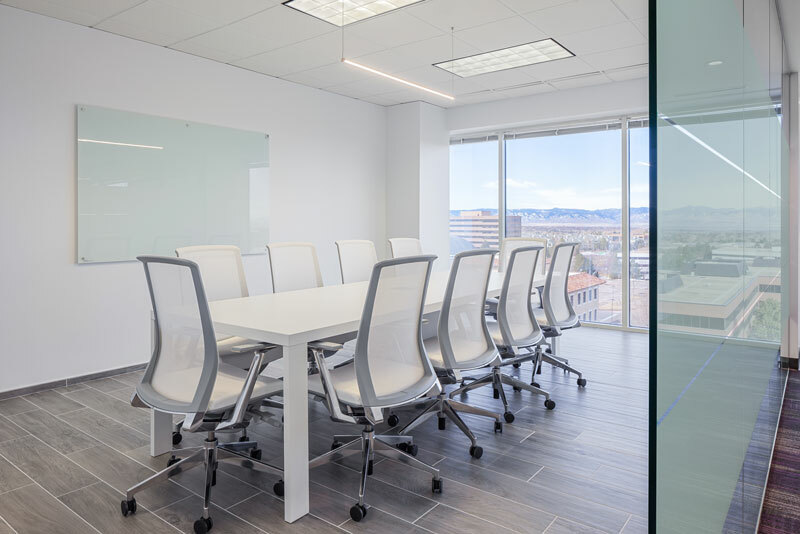 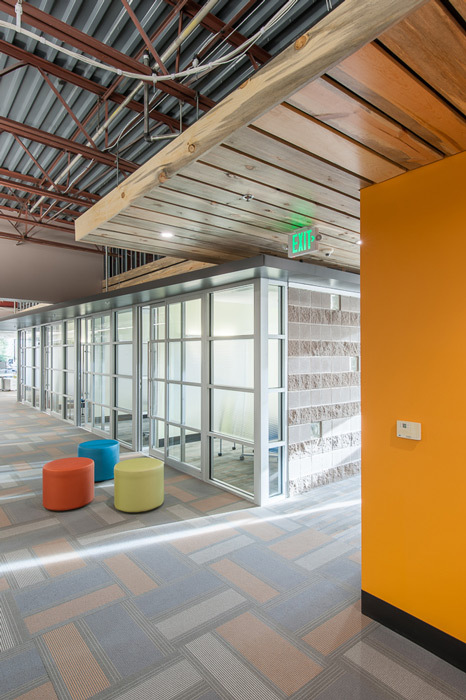 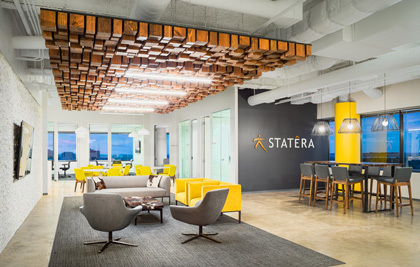 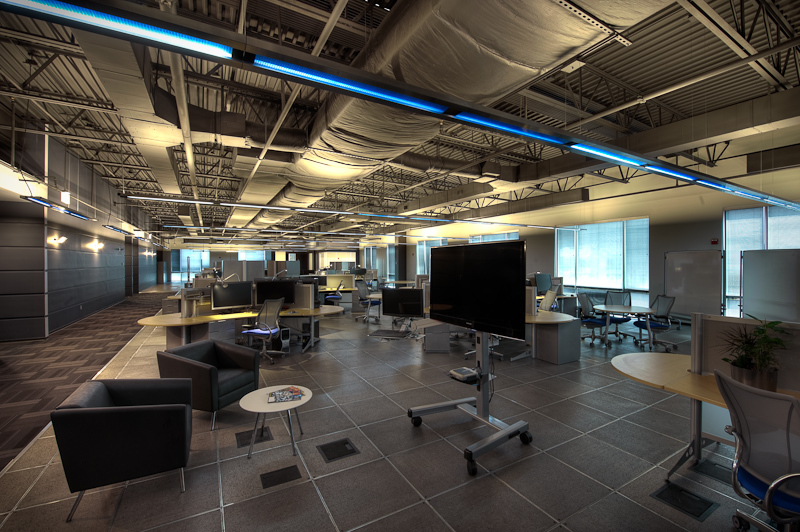 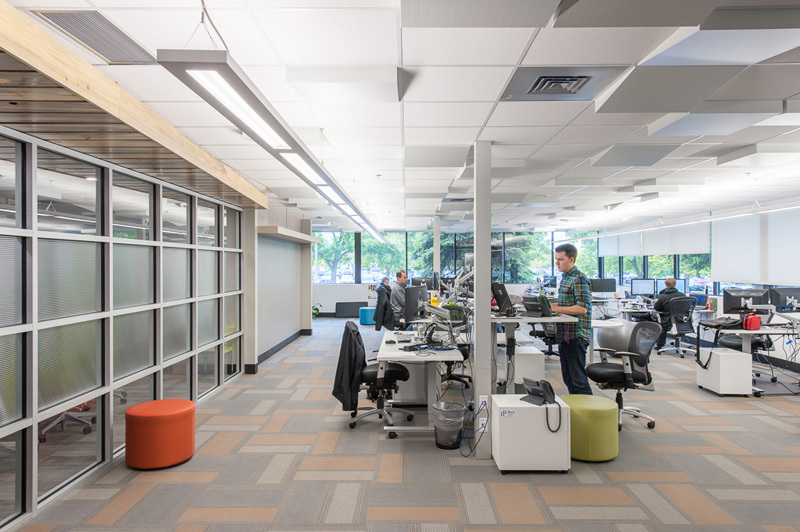 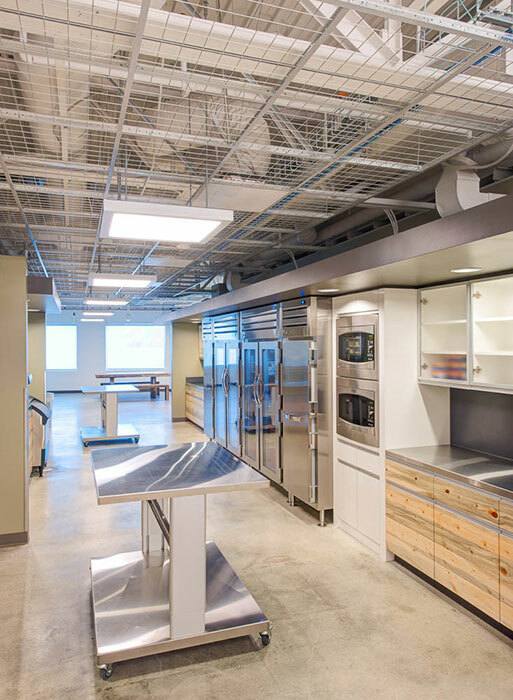 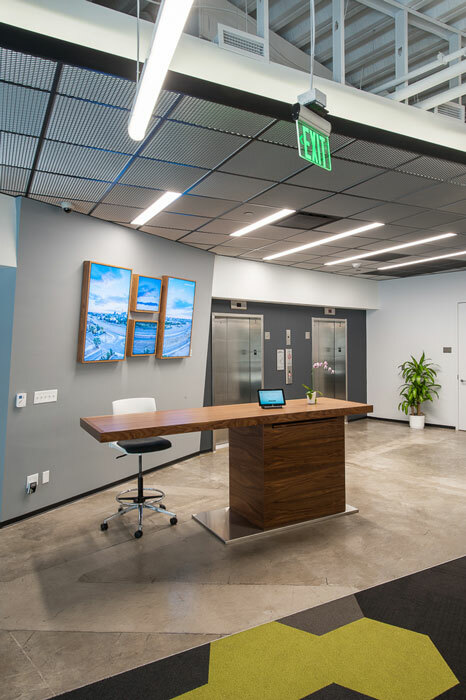 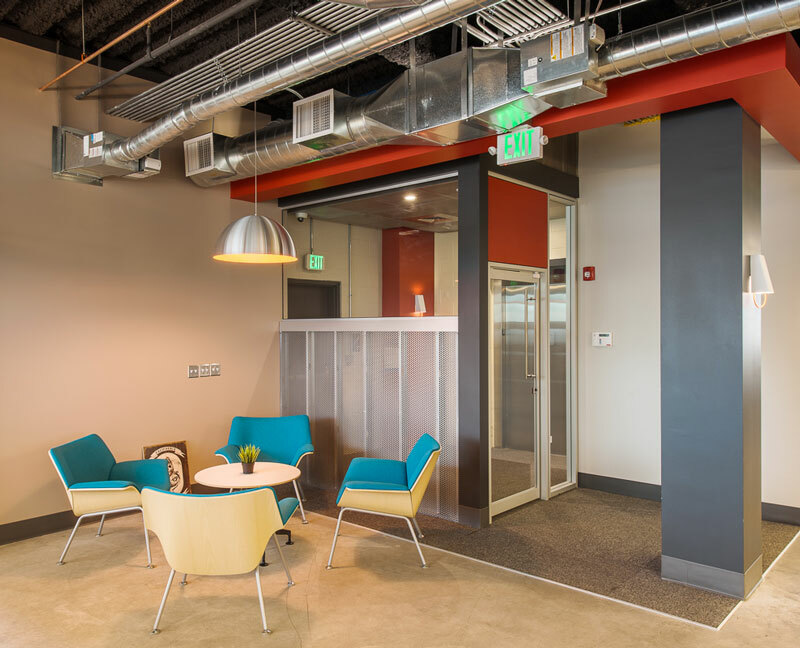 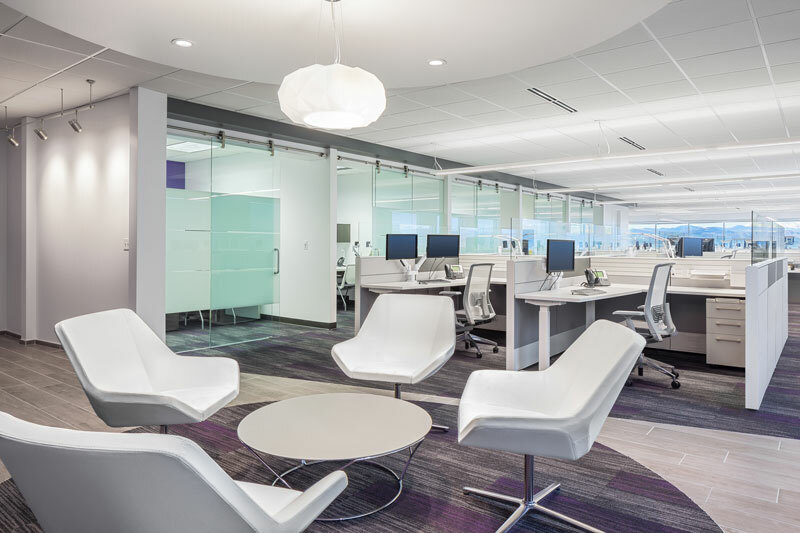 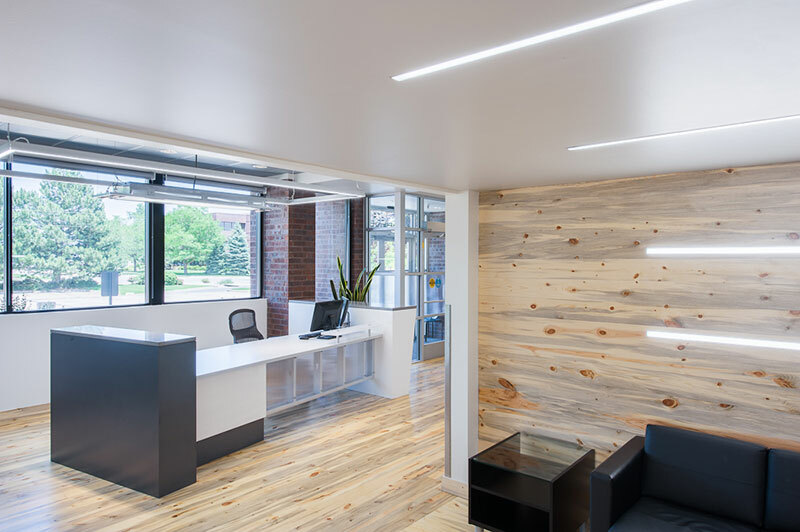 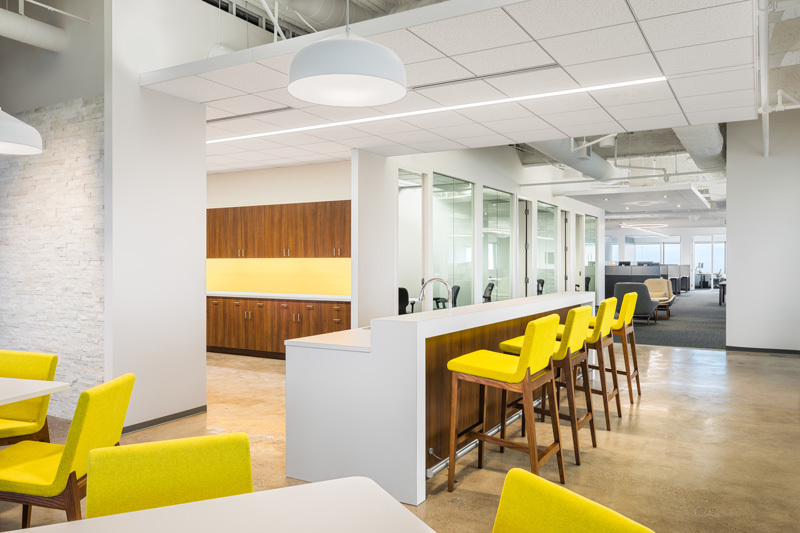 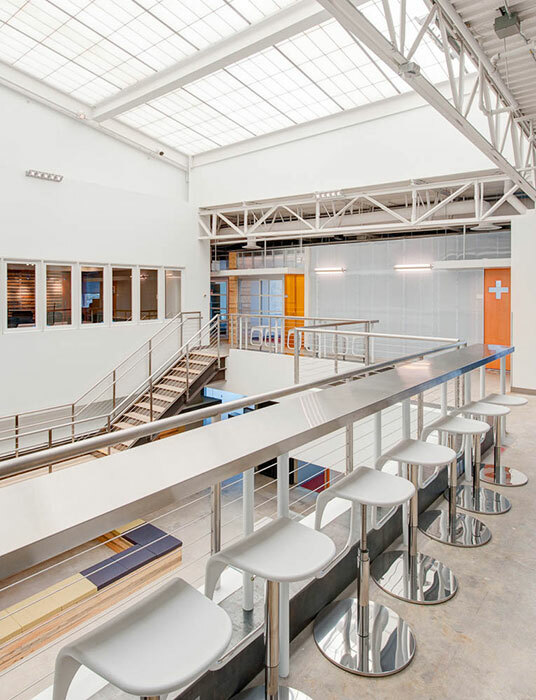 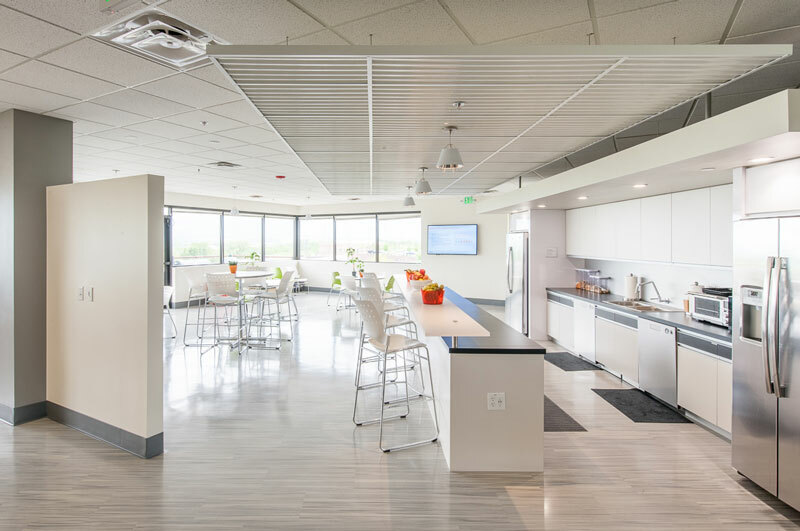 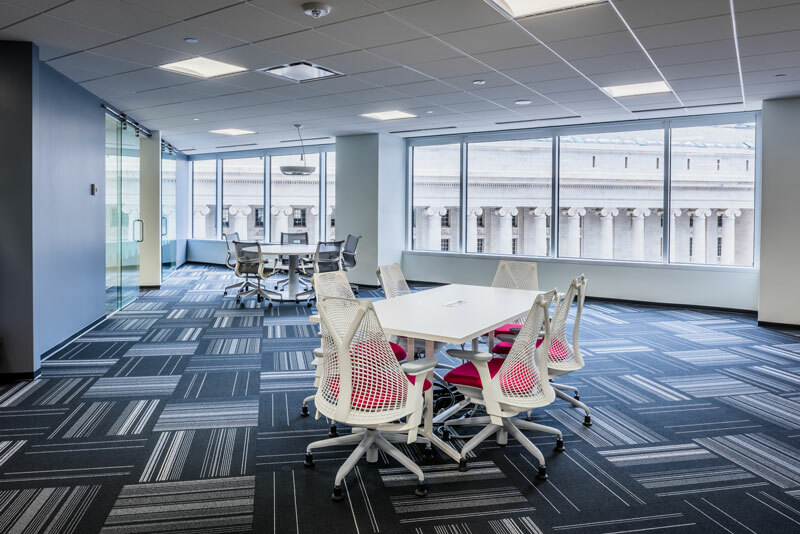 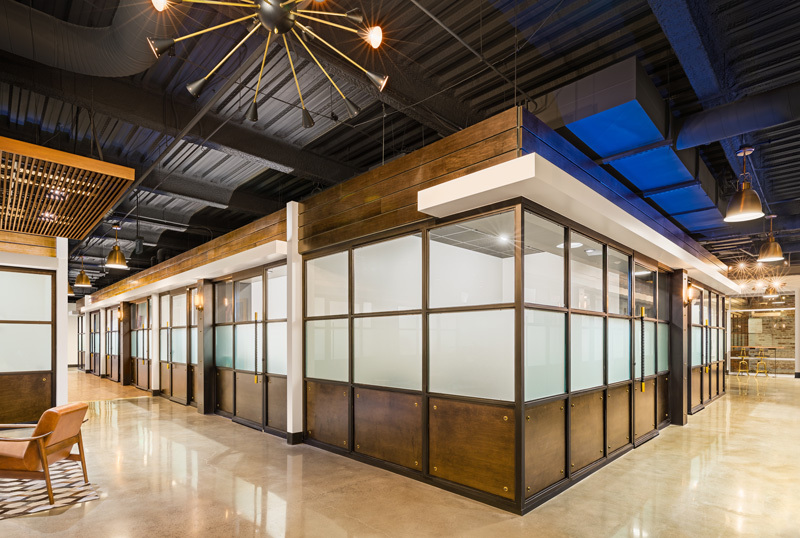 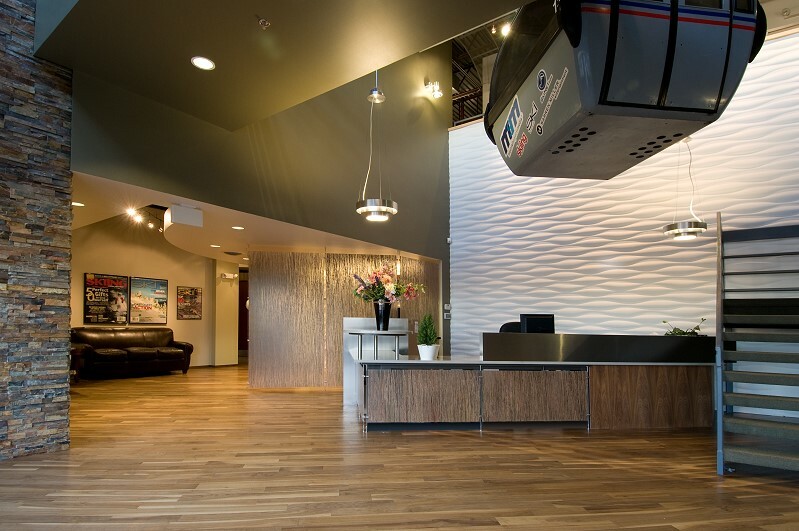 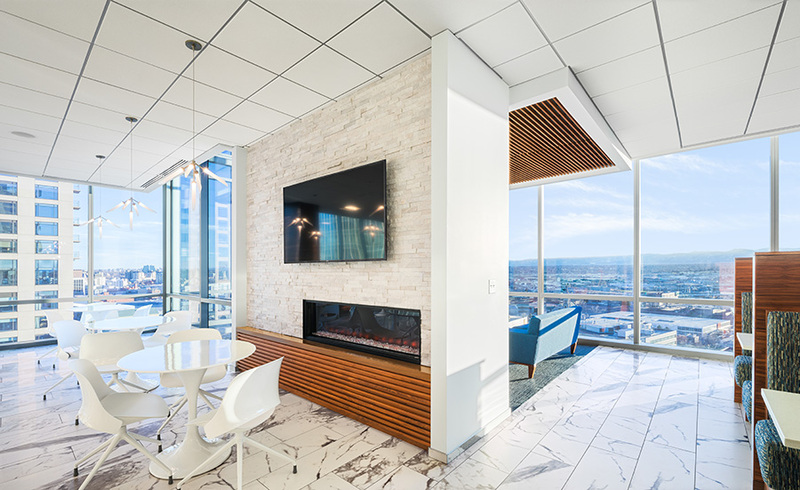 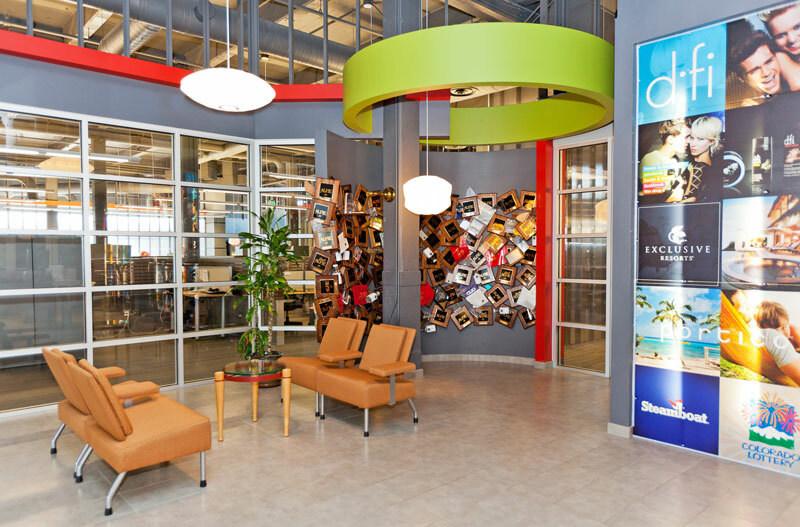 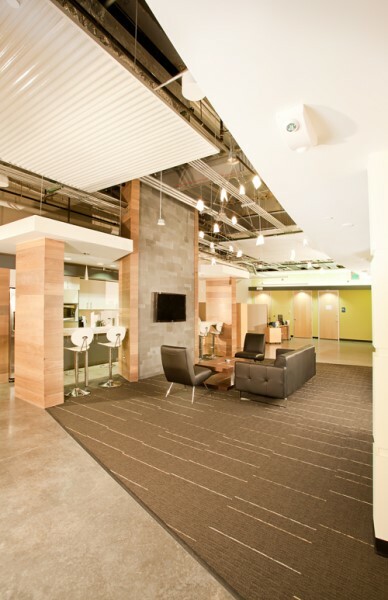 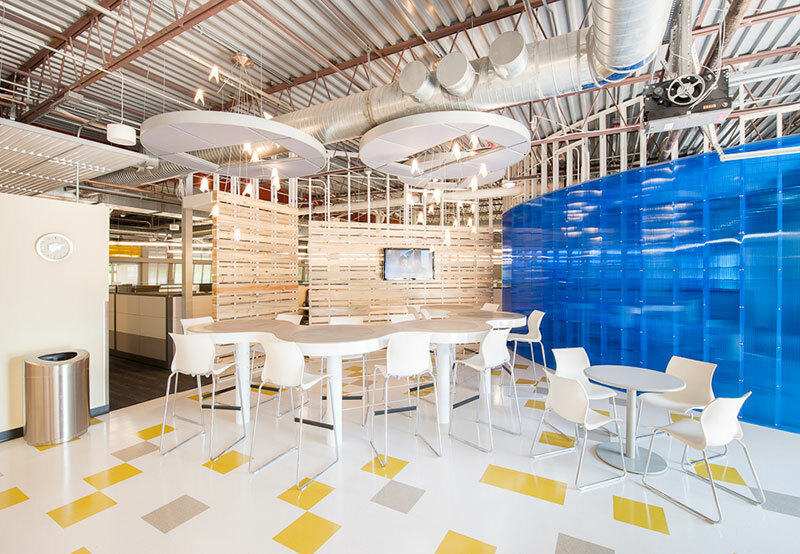 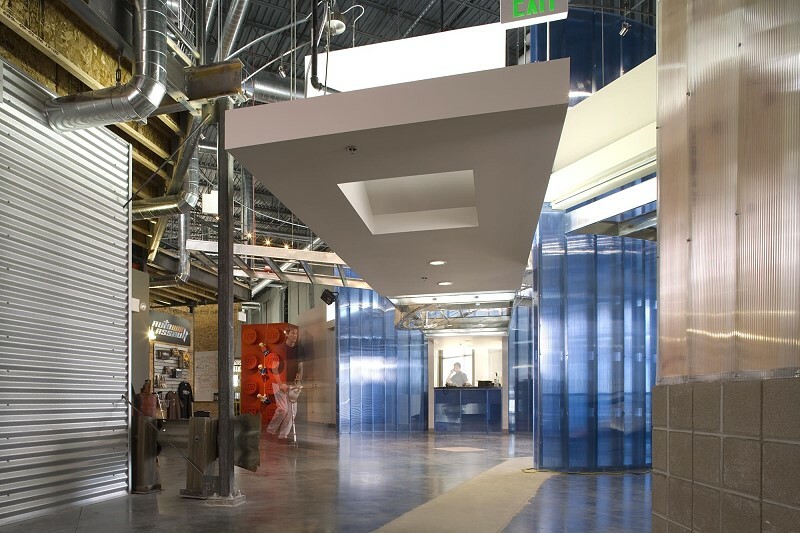 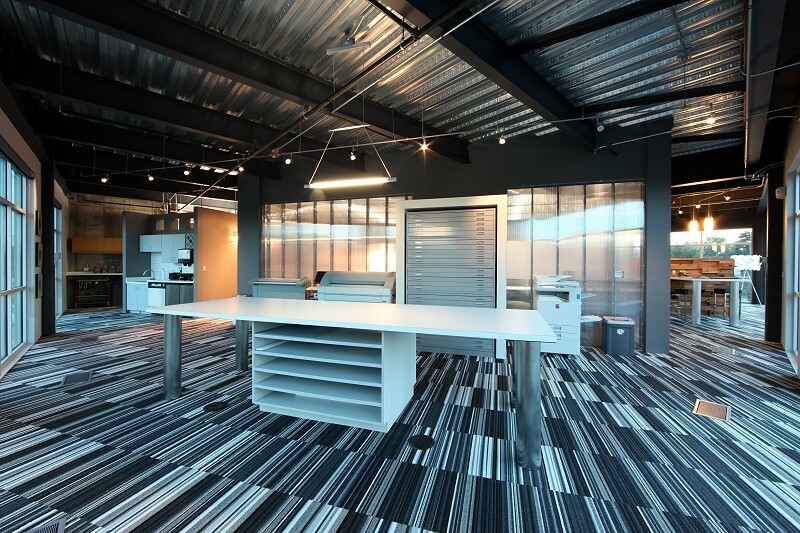 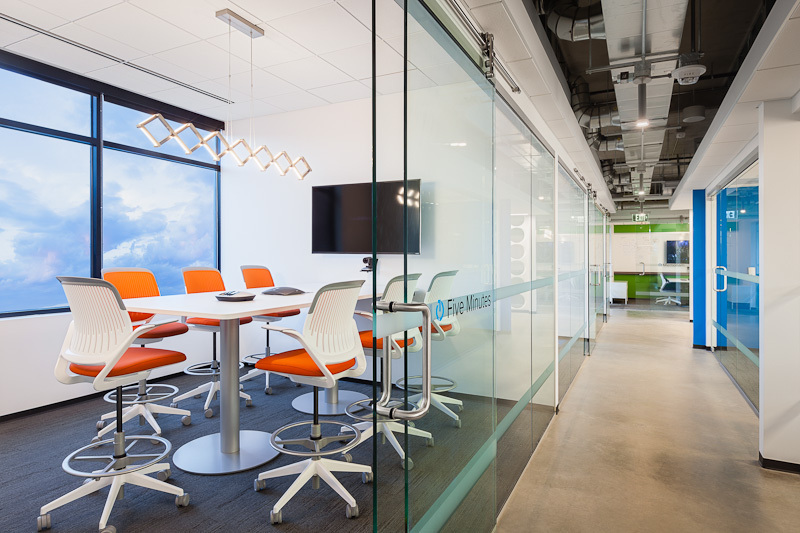 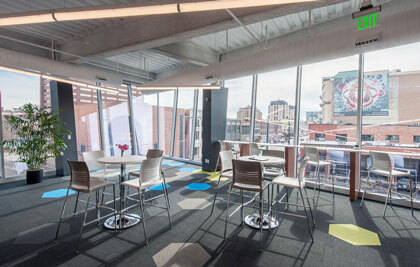 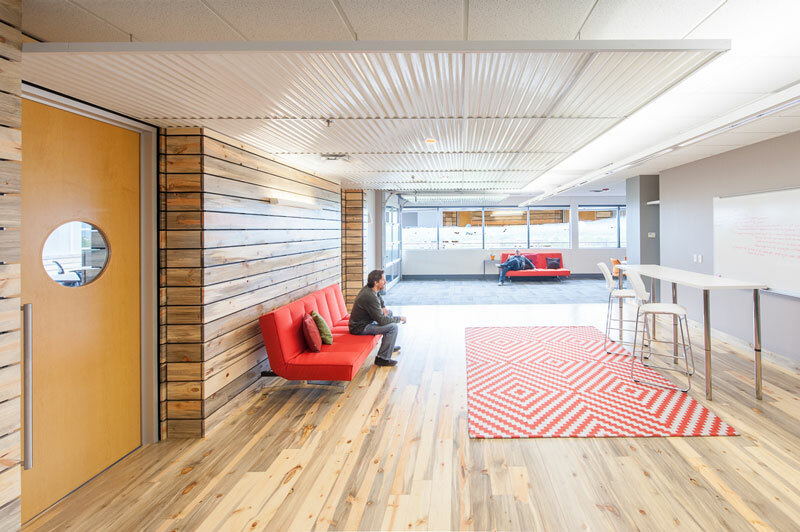 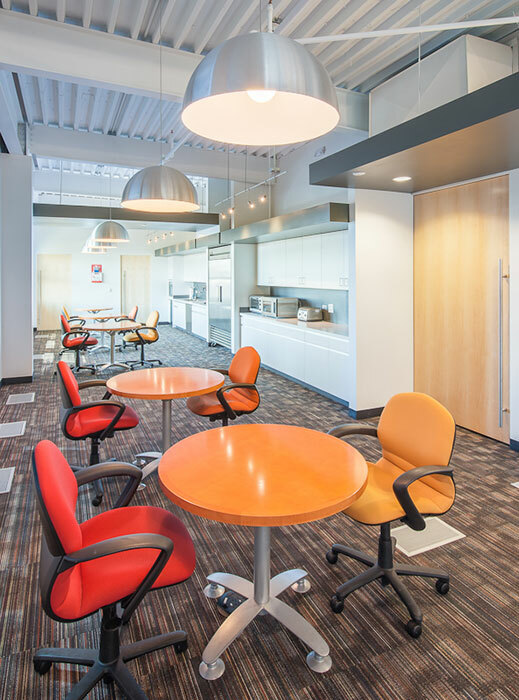 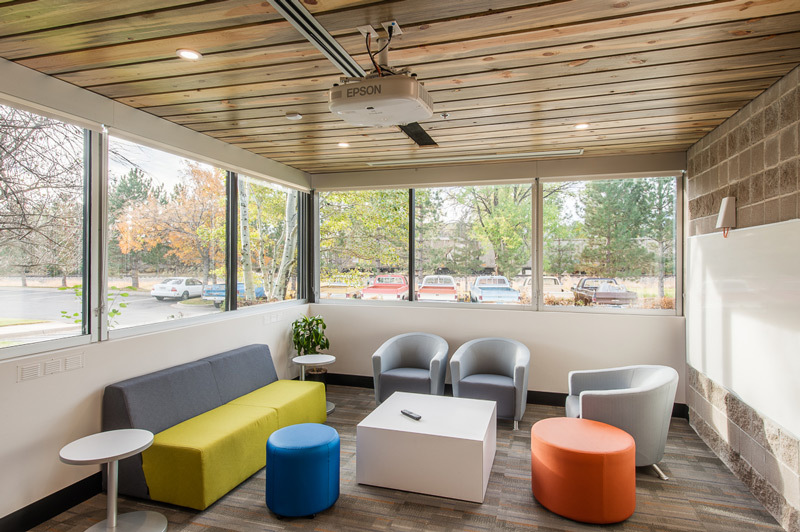 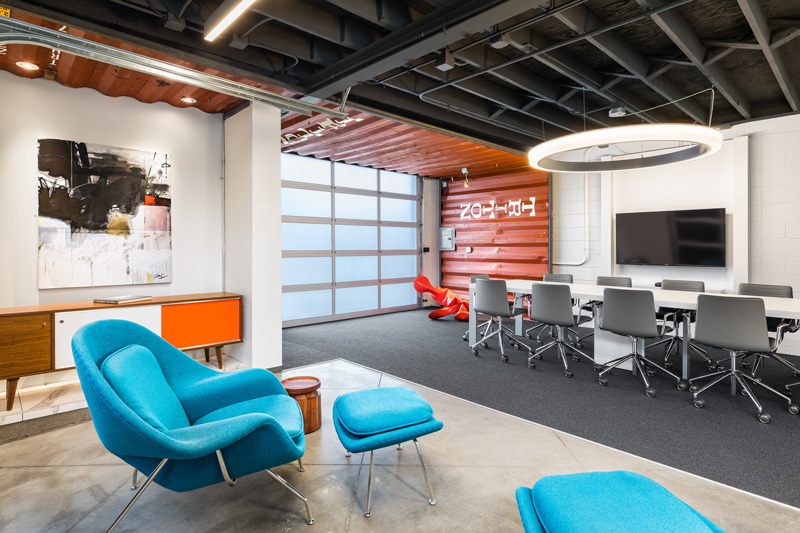 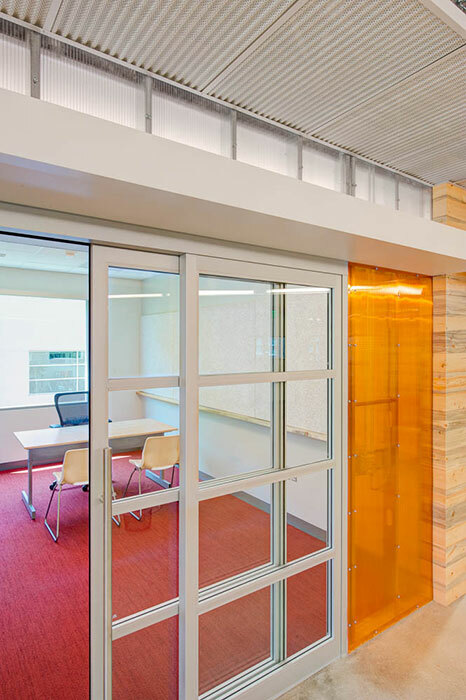 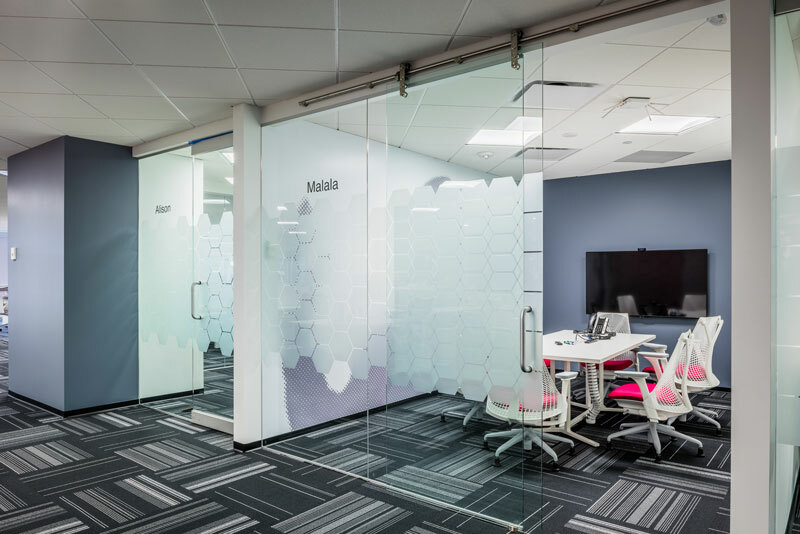 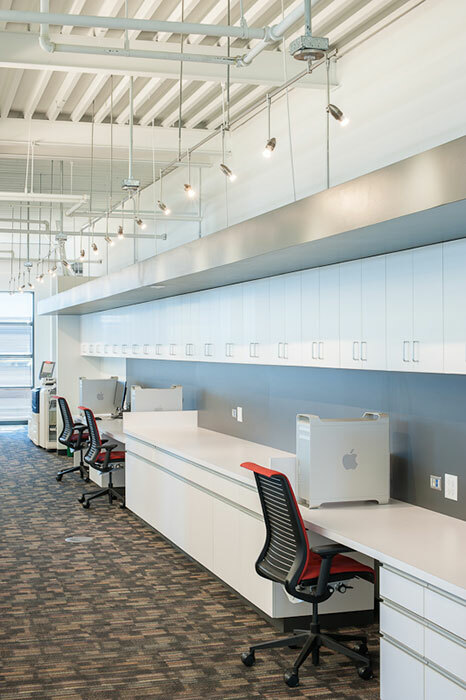 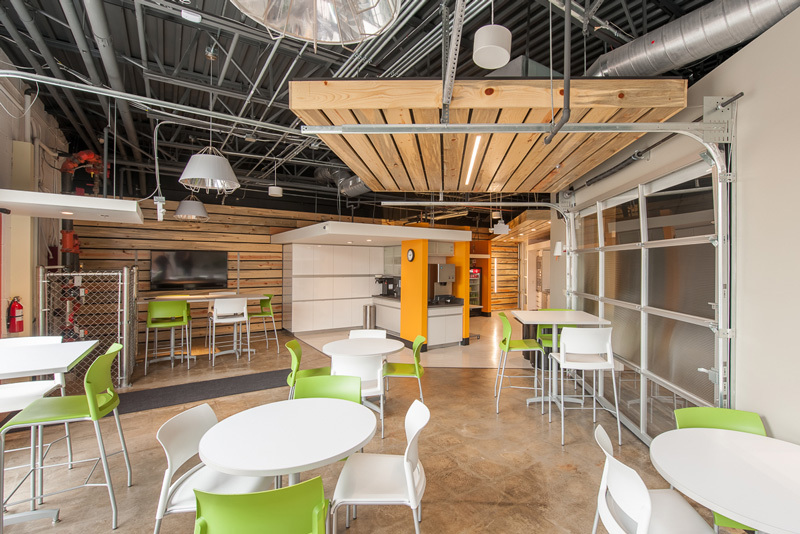 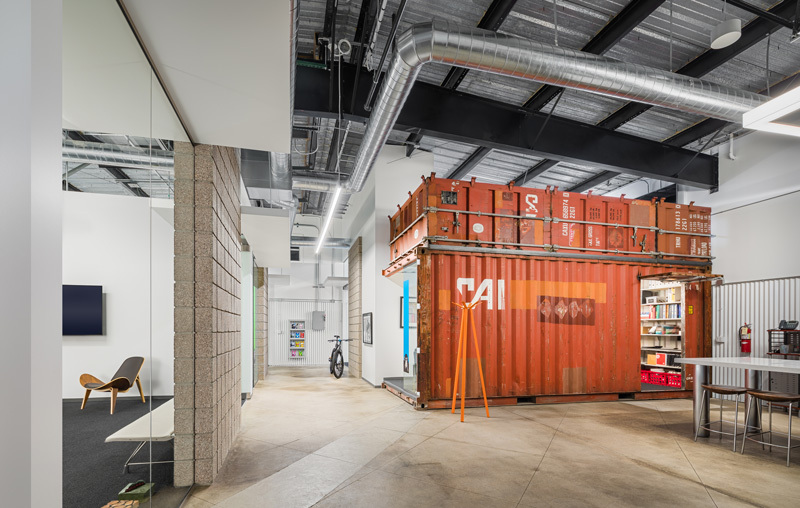 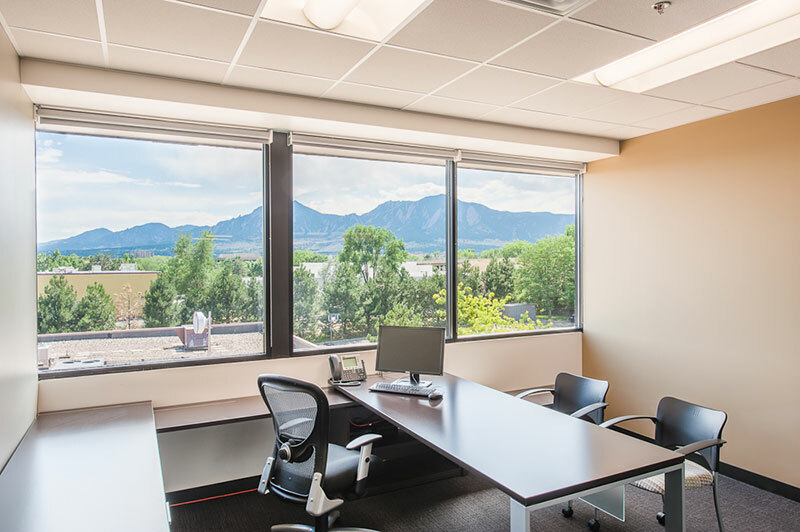 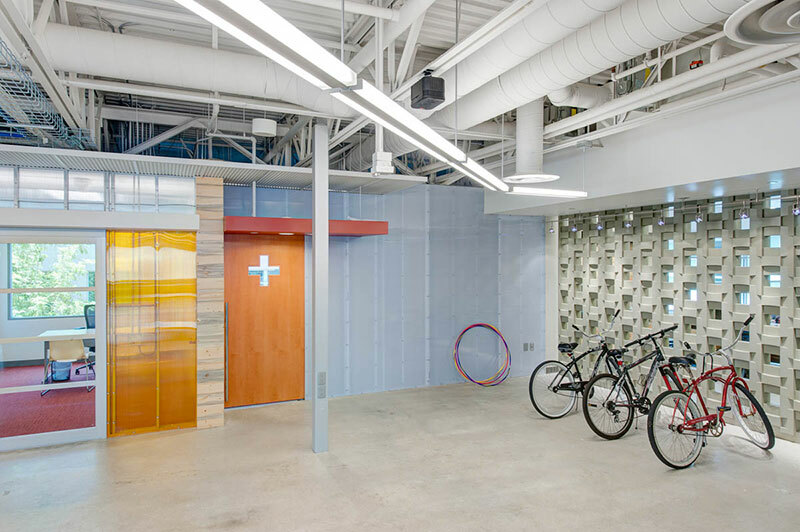 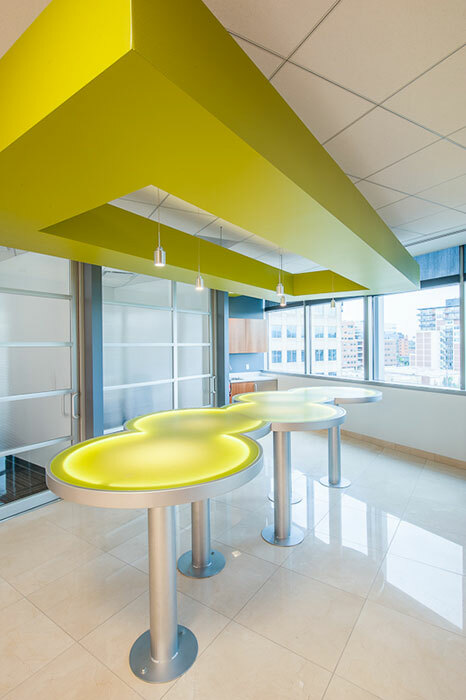 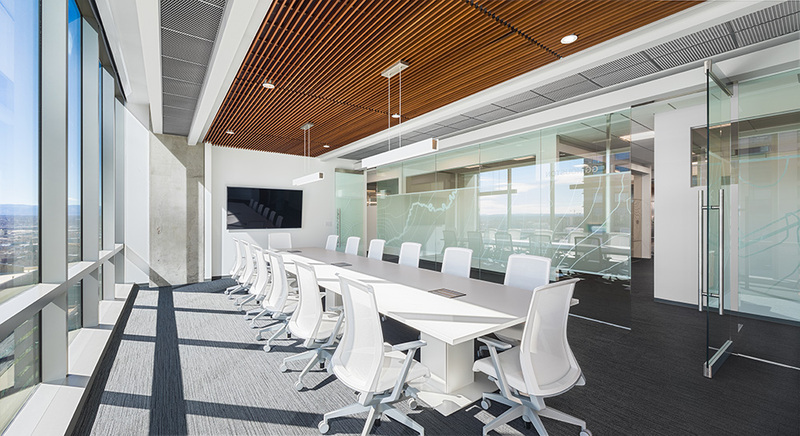 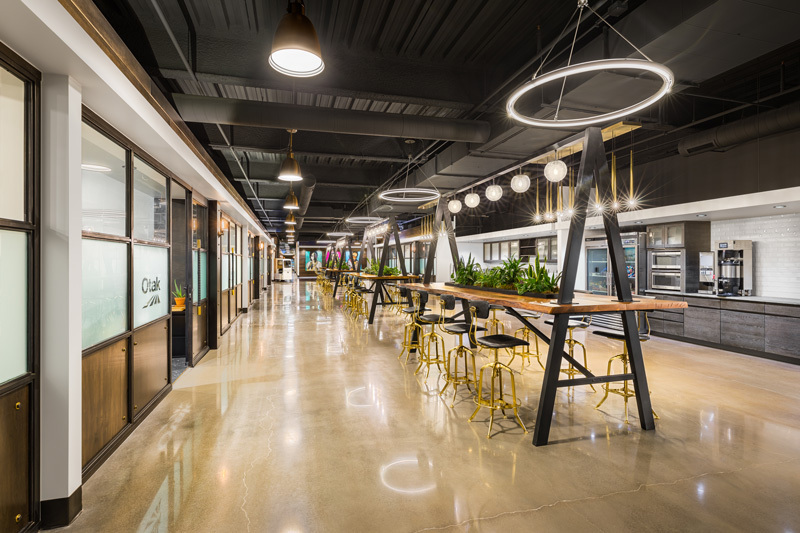 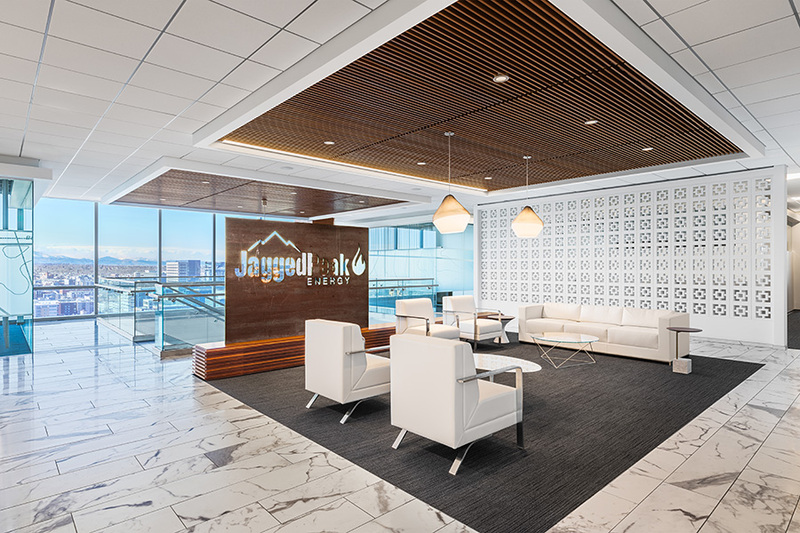 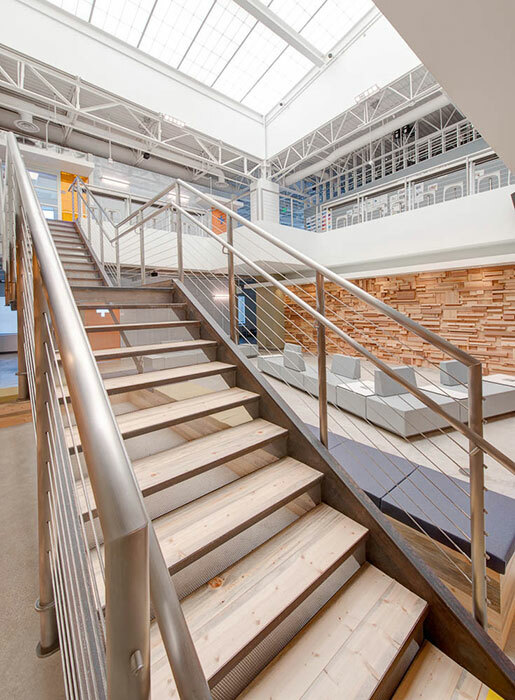 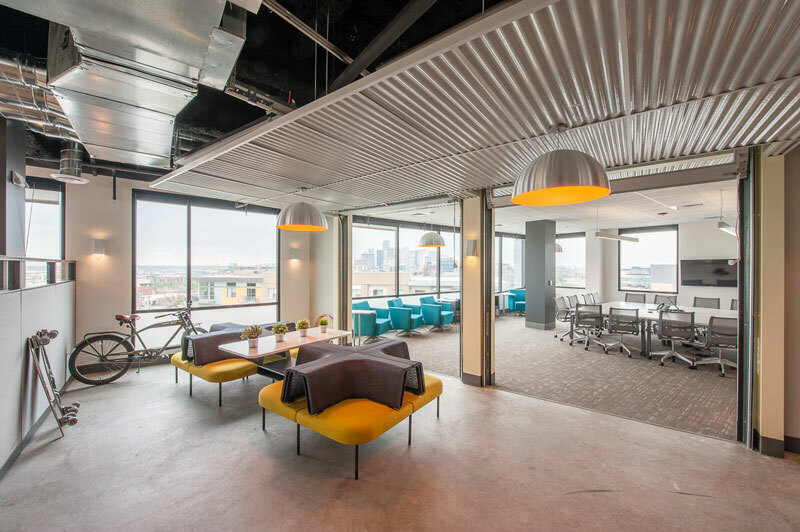 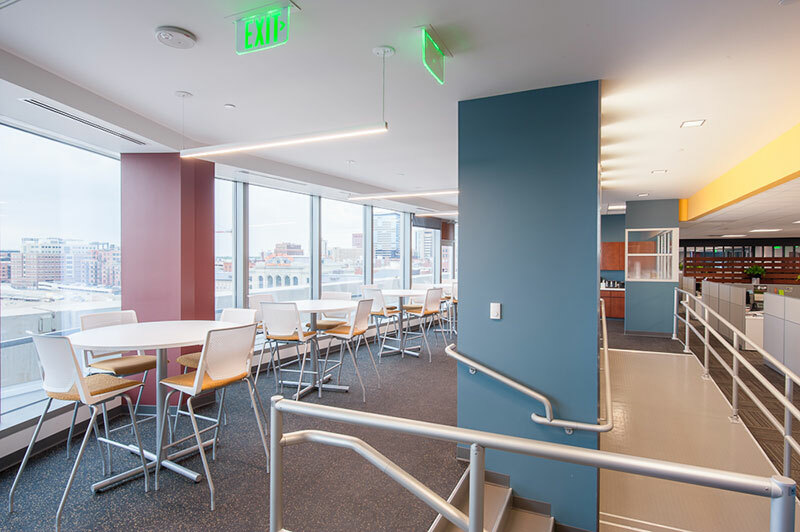 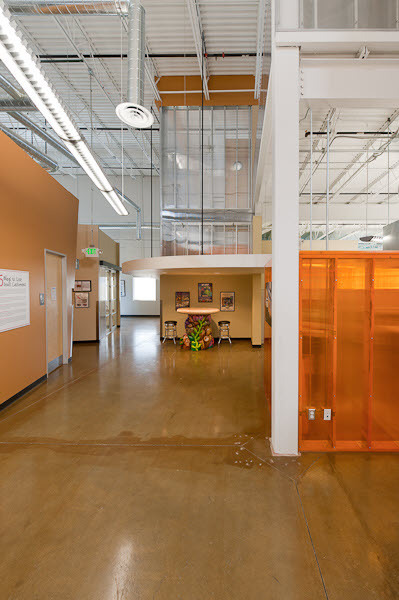 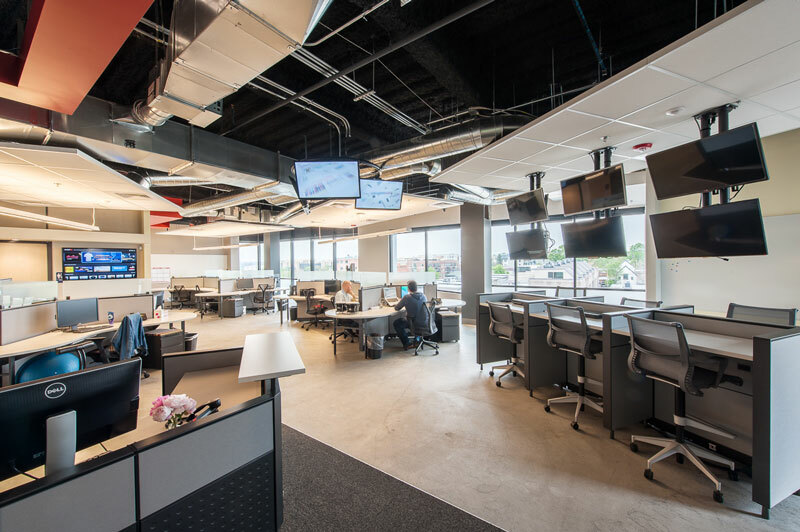 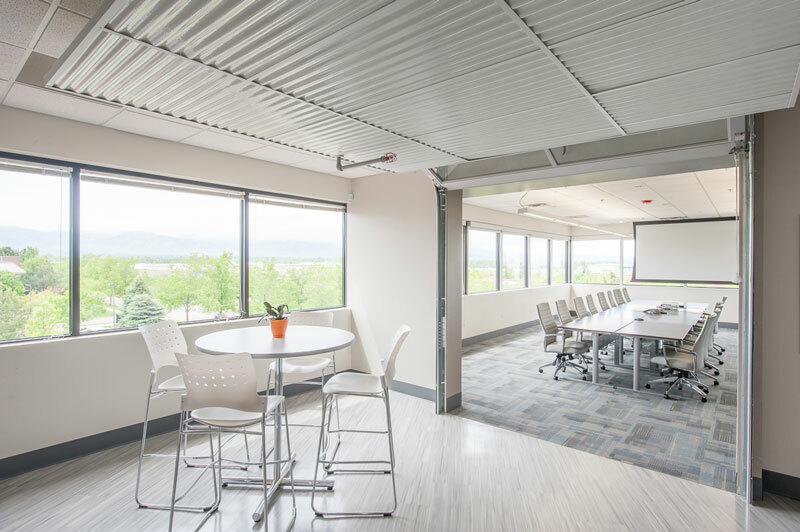 As Studio B2SJ's managing partner, Barber's concentration includes an intimate knowledge of the tenant representation / project management component of corporate office design to the national and metro denver tenant marketplace. 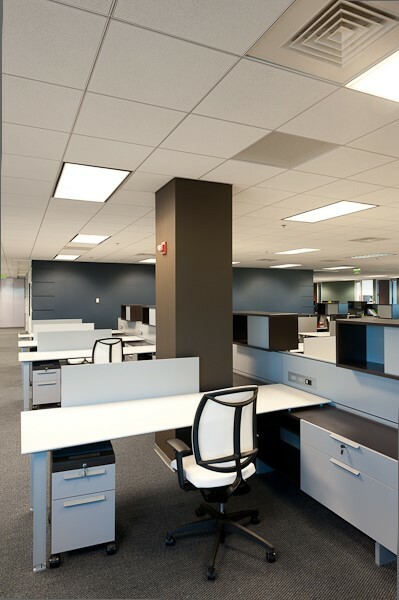 Providing nearly 20 years of firm management / leadership, new business development, fee and contract negotiation, design development, detail and finish selection, space planning and national construction / project management services, Barber offers a distinctive blend of proven project management, construction experience, comprehensive knowledge of real estate leasing transactions, and an established national market network. 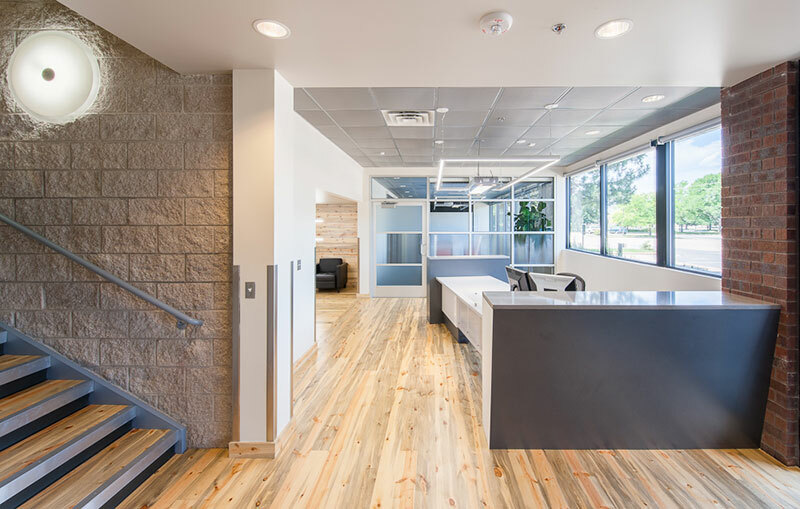 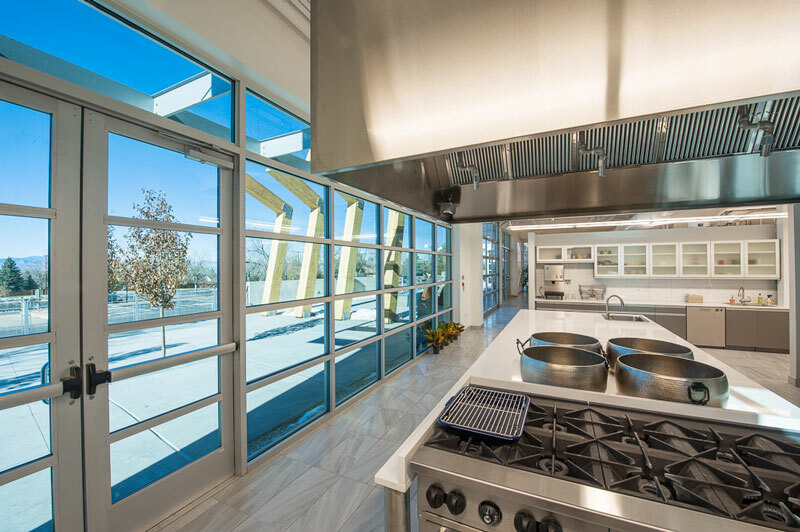 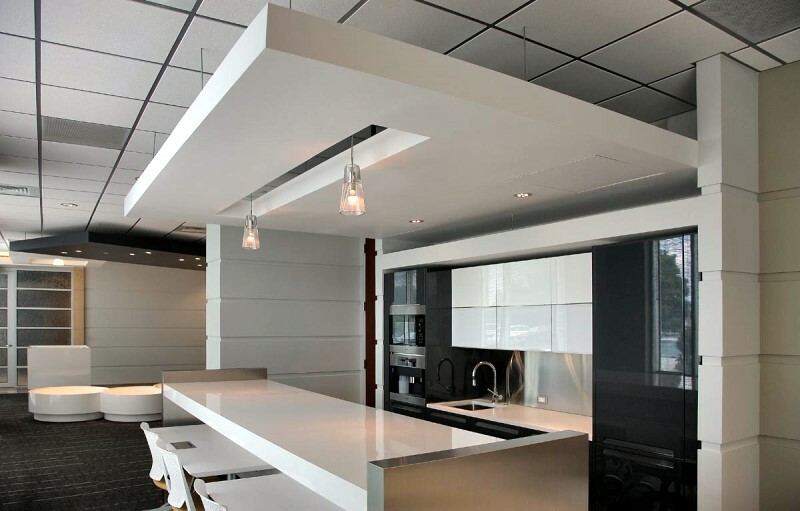 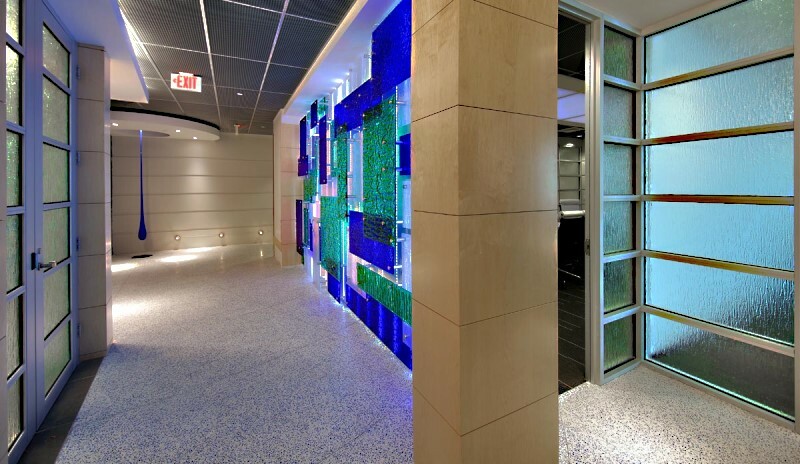 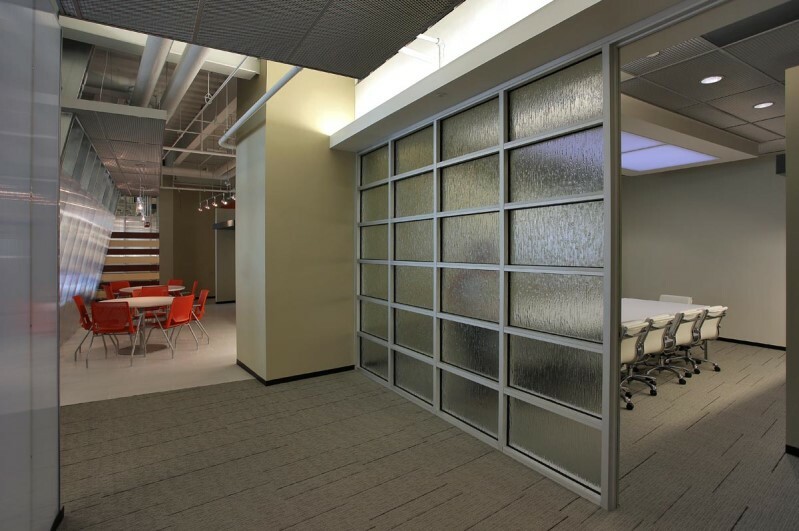 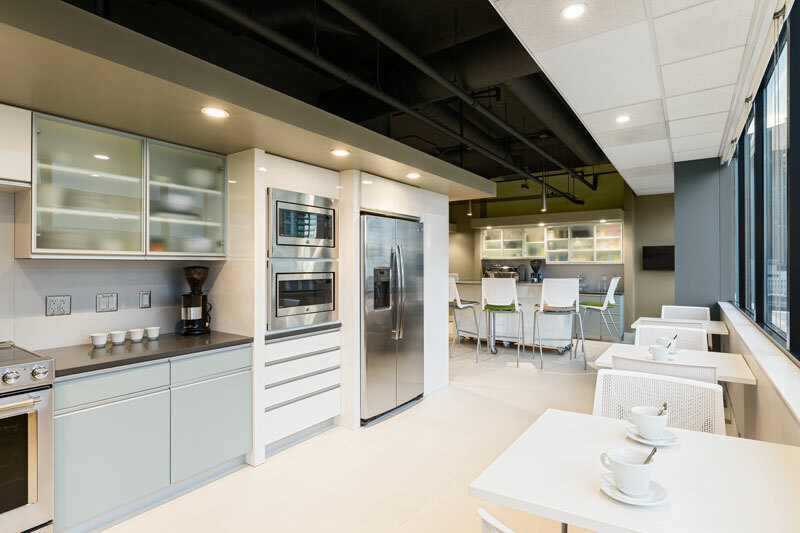 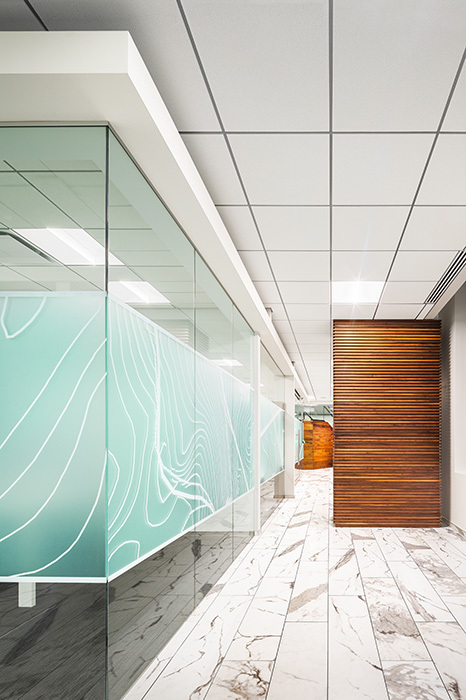 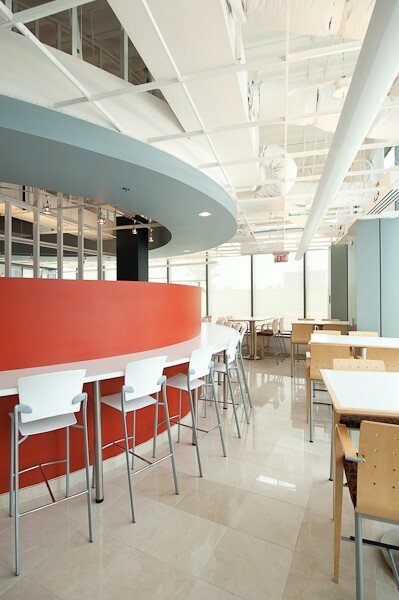 A licensed architect with over 20 years experience in numerous design disciplines, Barber offers comprehensive project design and management strength. 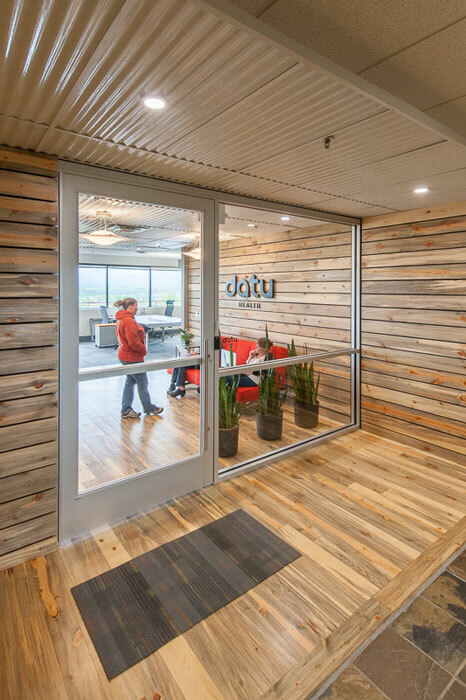 Dan graduated from the University of Nebraska and has owned and operated design and architecture firms in both Virginia and Wyoming. 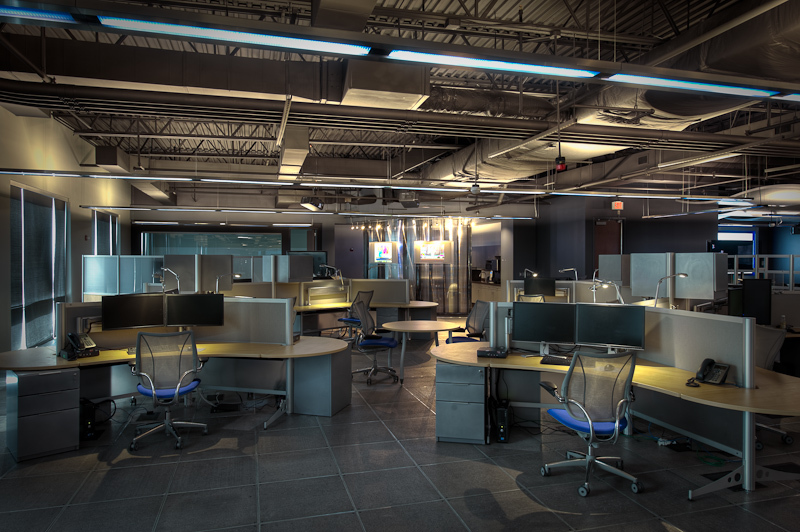 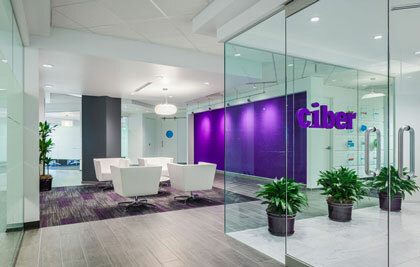 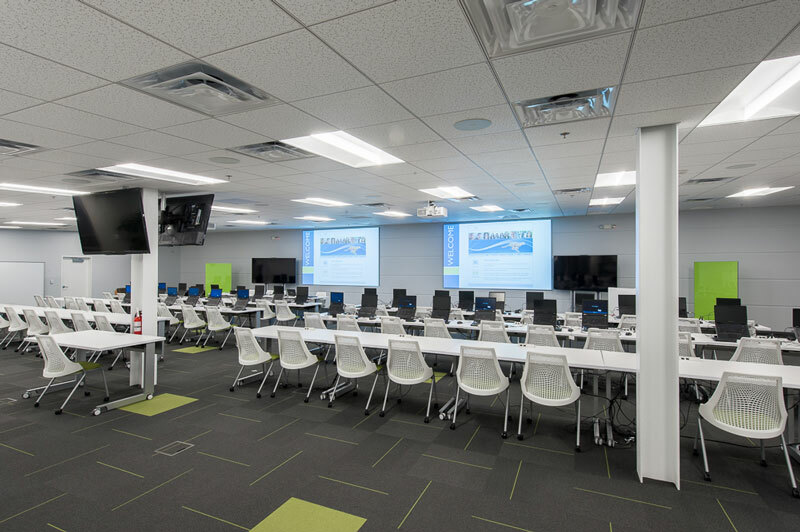 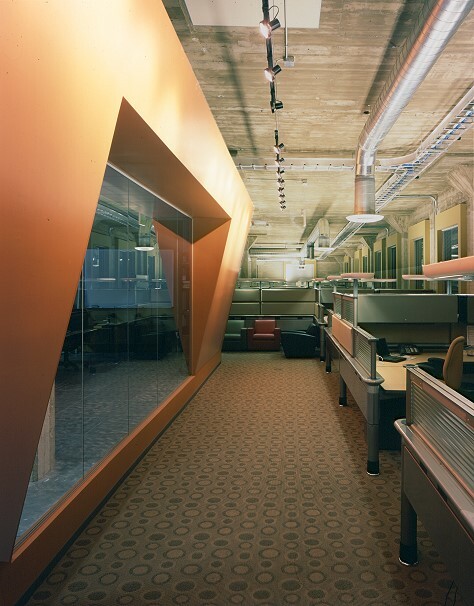 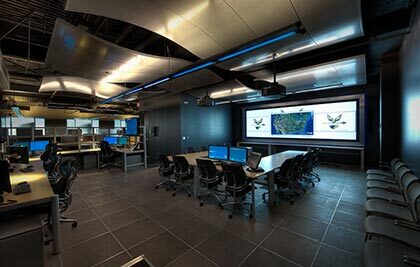 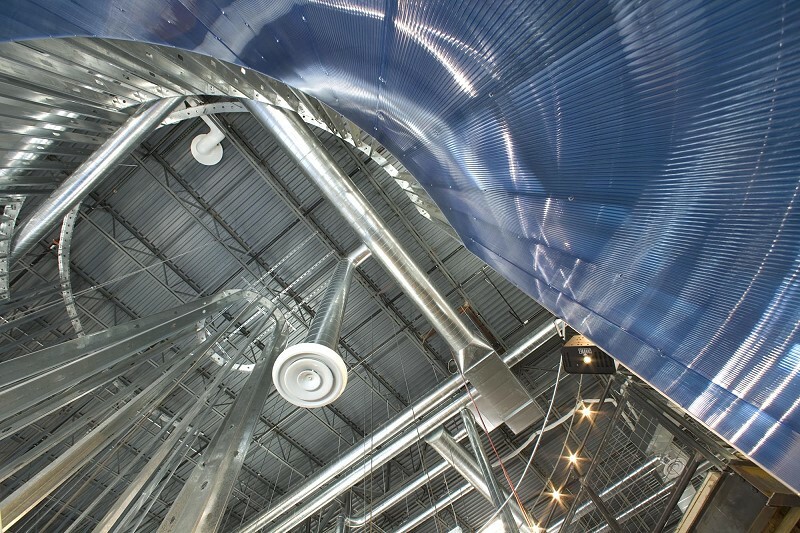 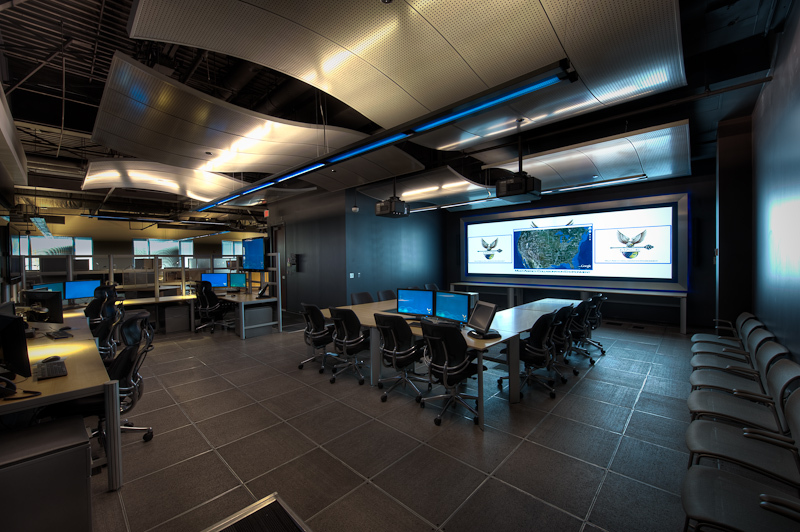 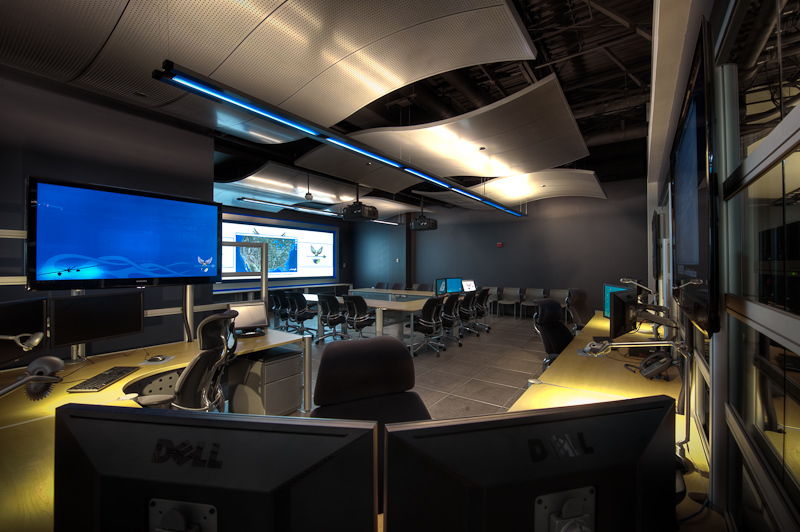 Barber's flexible applied skills include computer aided design, programming, space planning, bid negotiation and on-site construction administration. 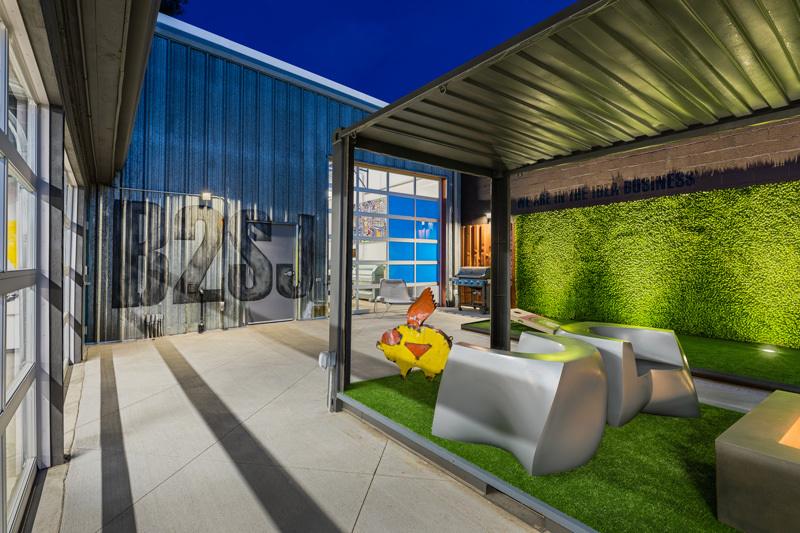 Jeff Snyder, Design Principal, is a strong asset to the Studio B2SJ team, as a talented design architect combining his vast experience with a strong sense of innovation and individual style. 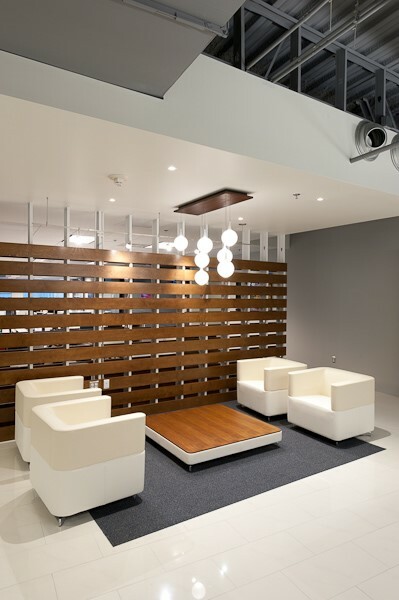 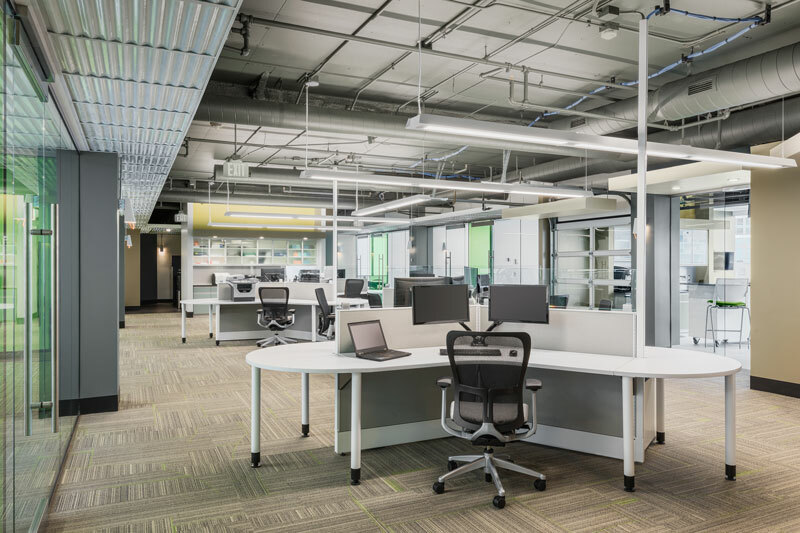 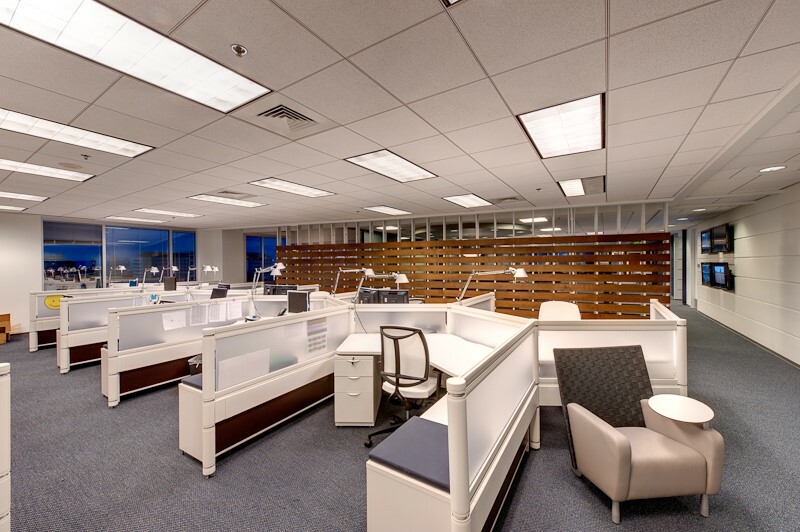 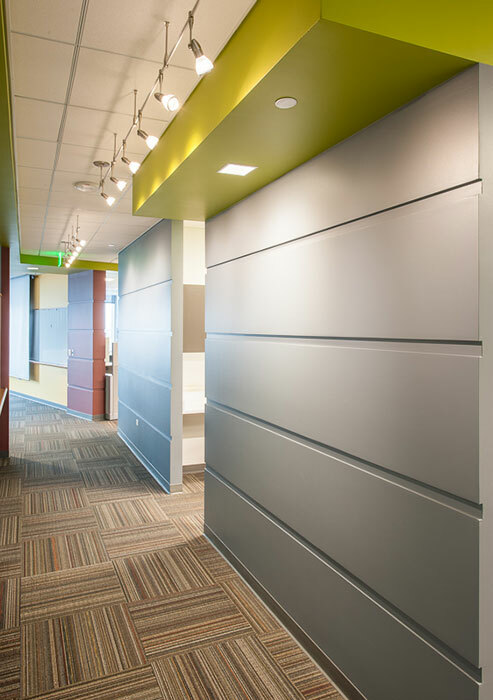 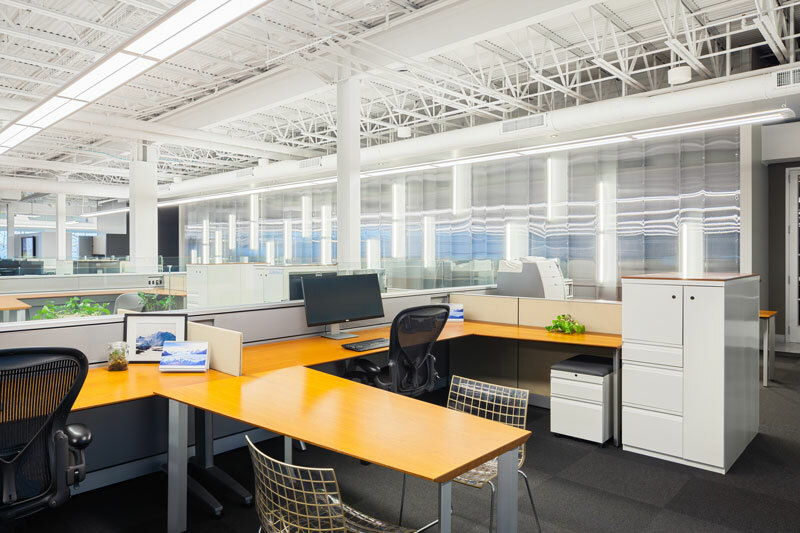 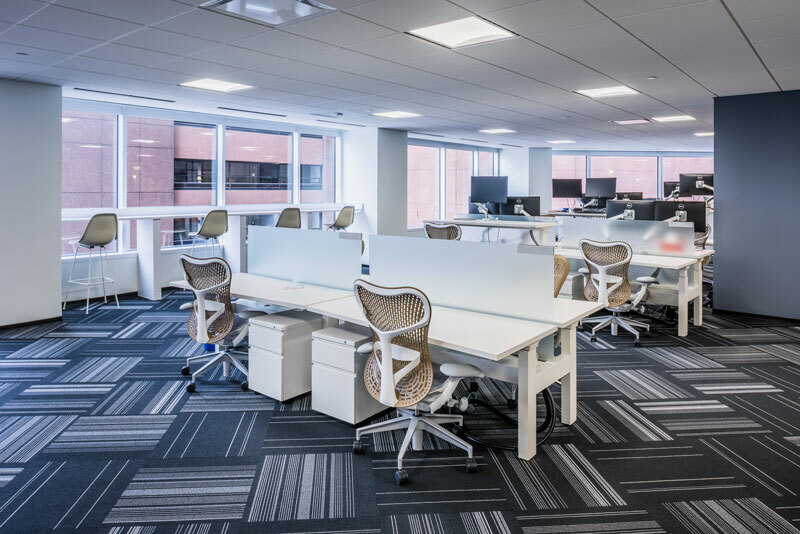 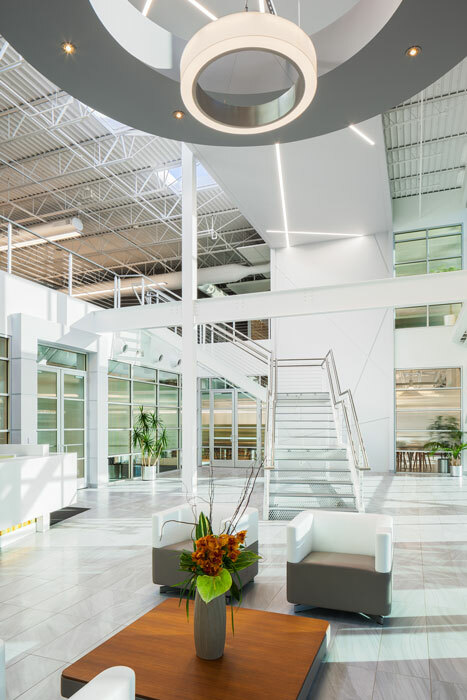 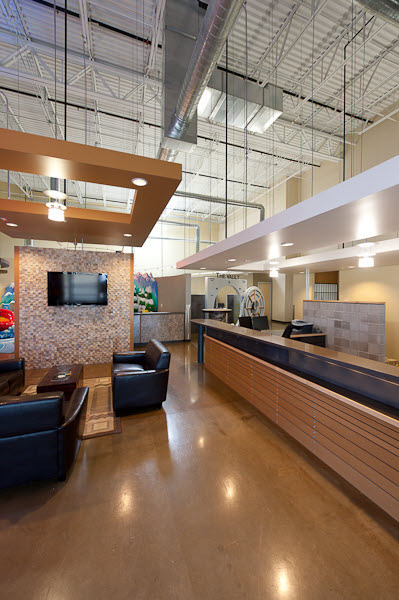 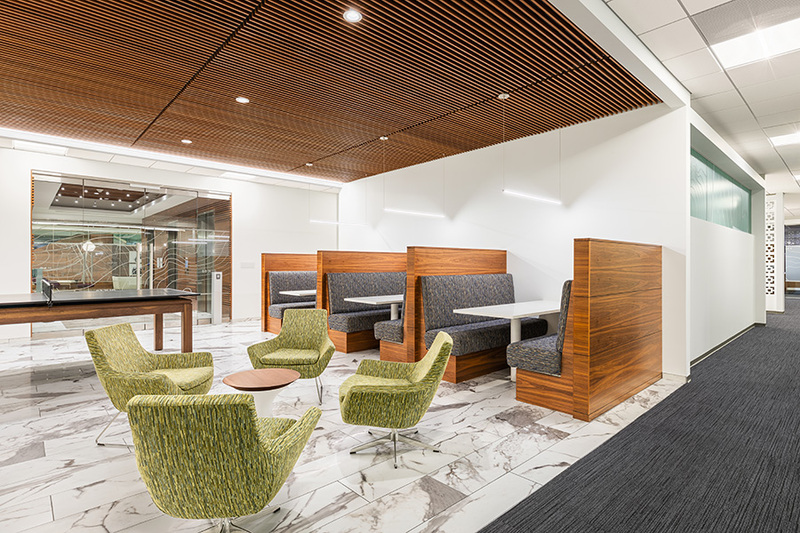 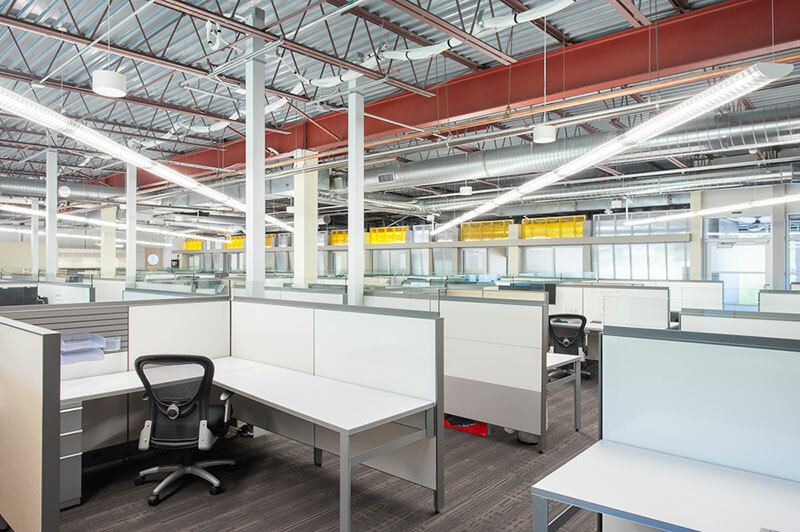 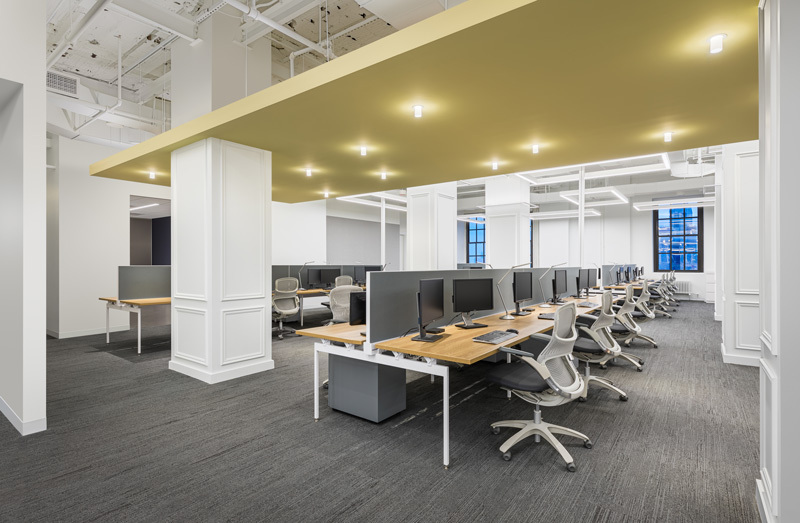 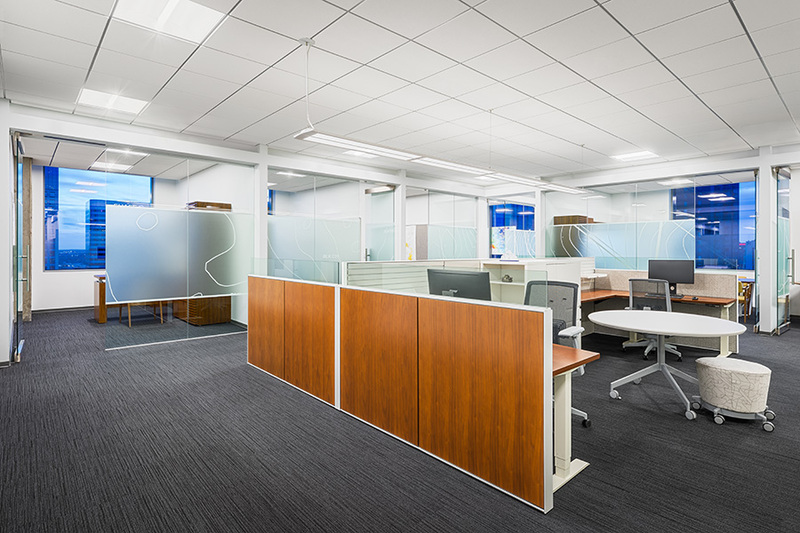 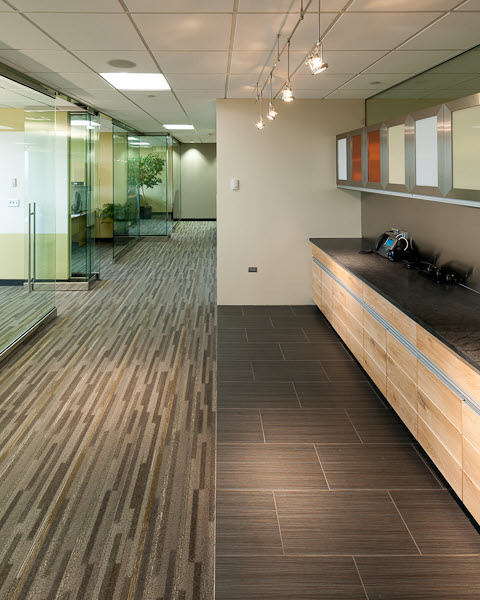 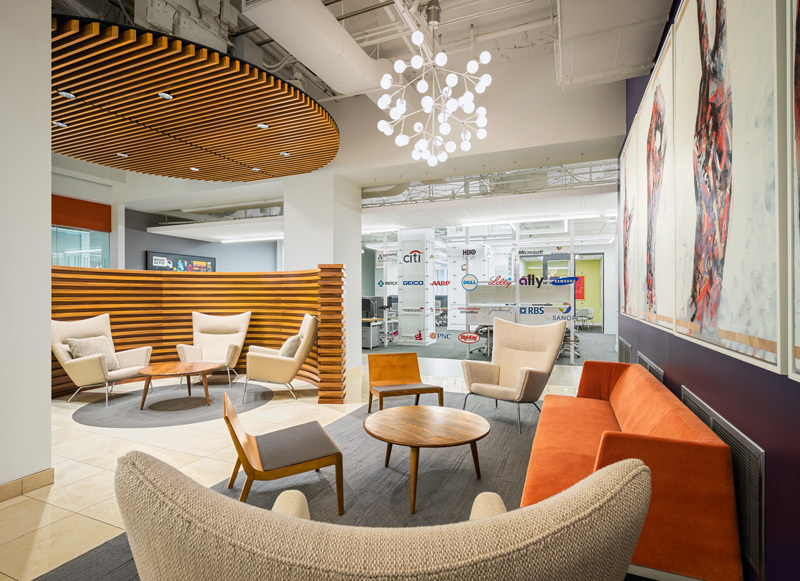 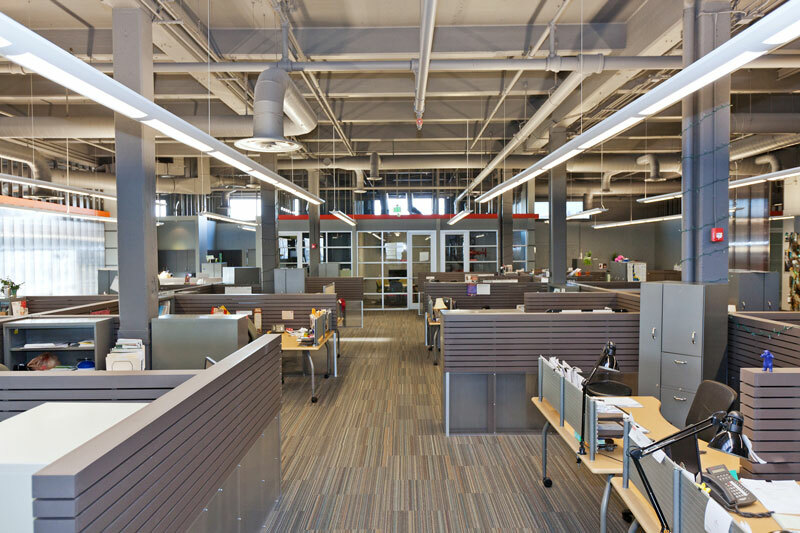 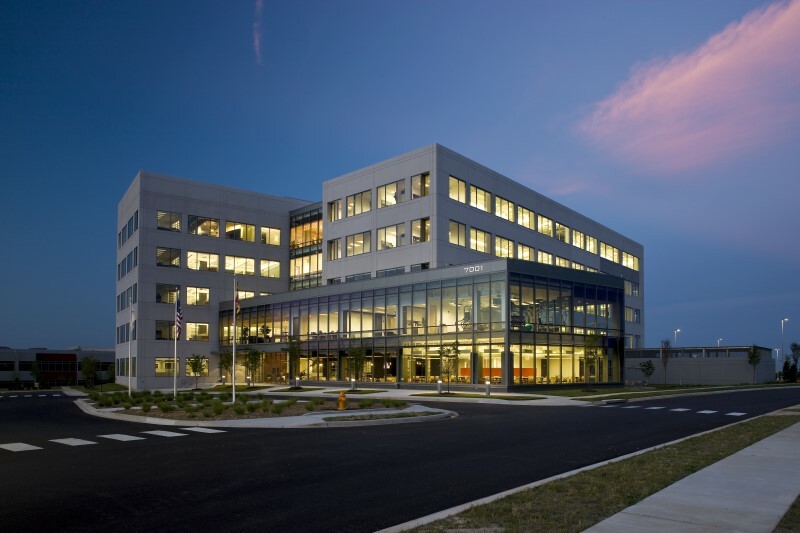 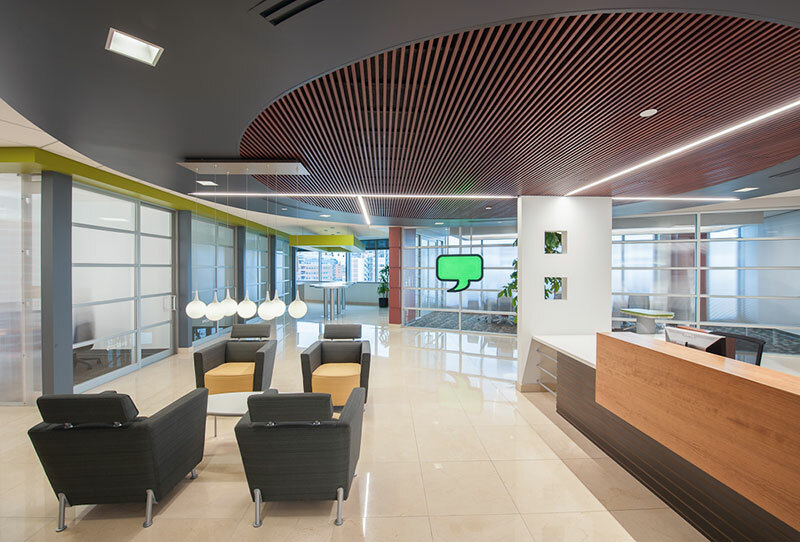 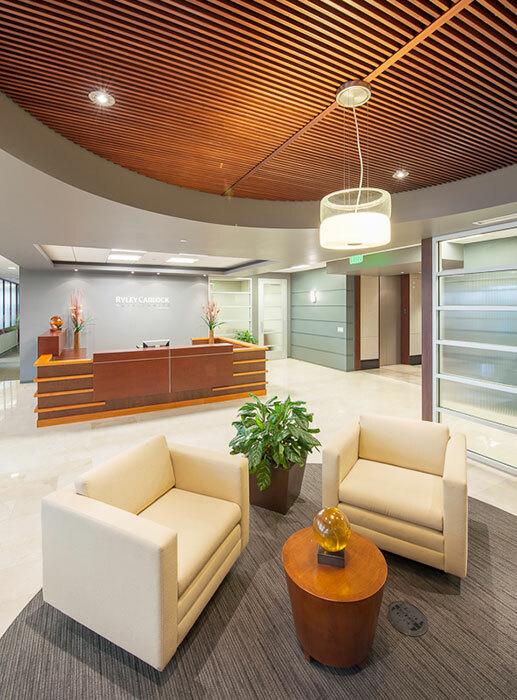 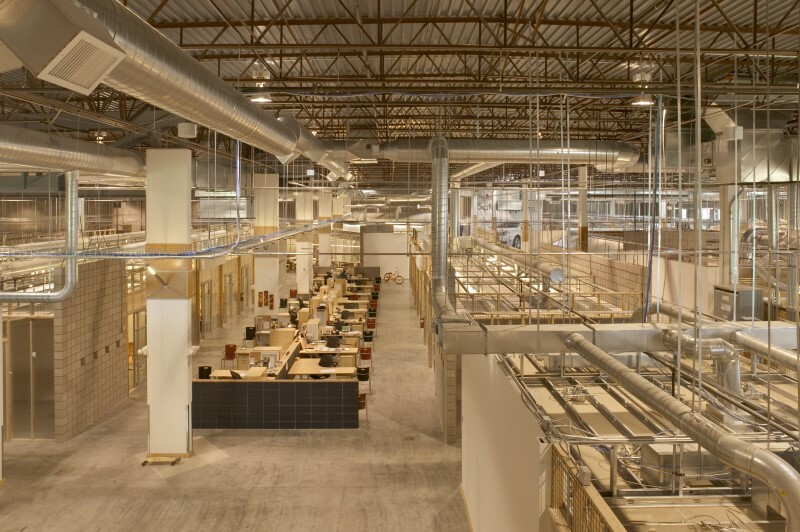 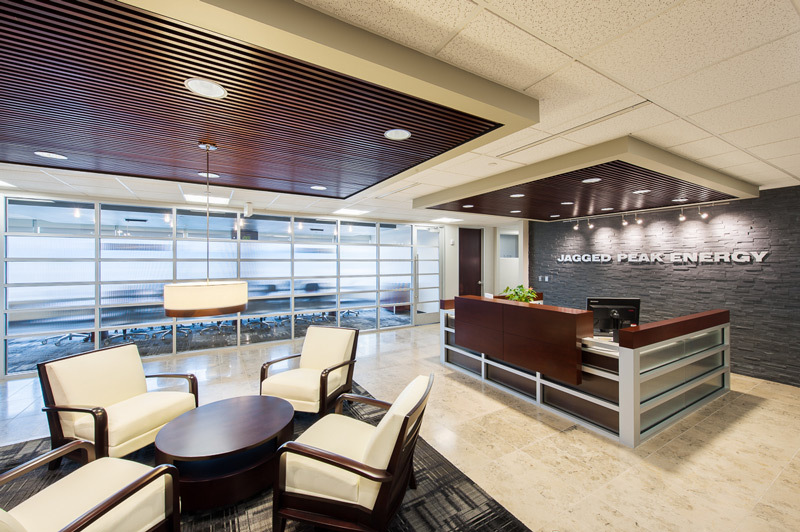 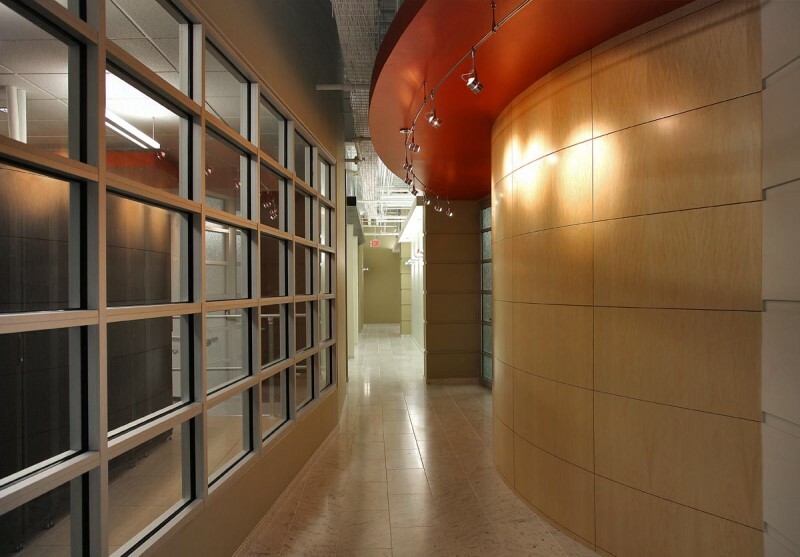 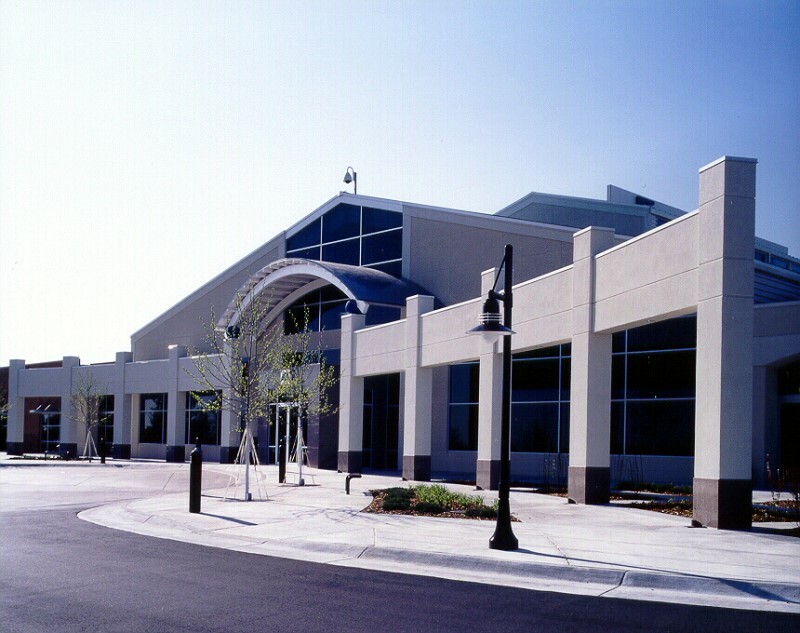 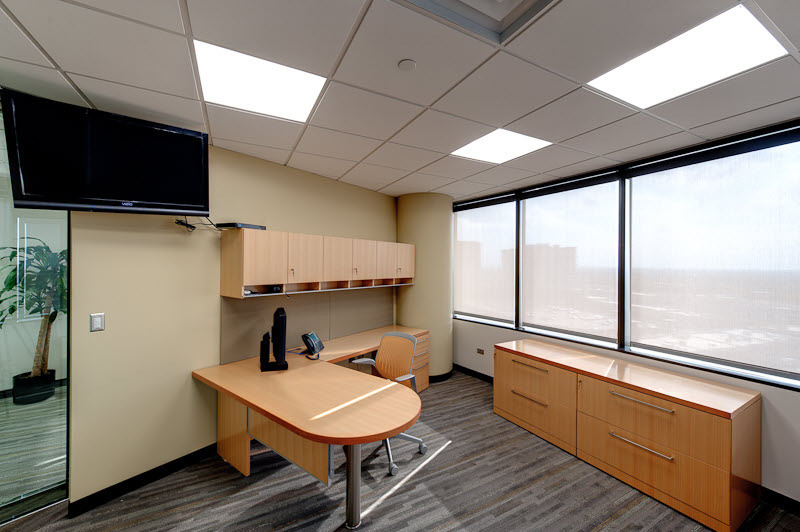 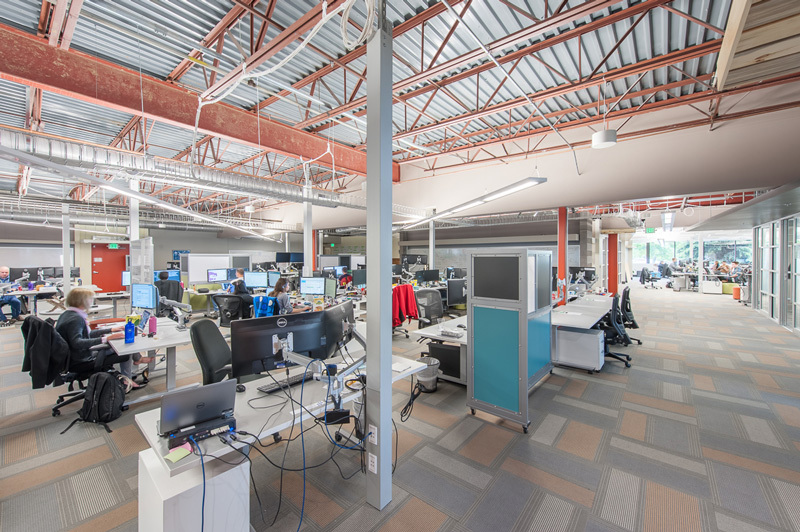 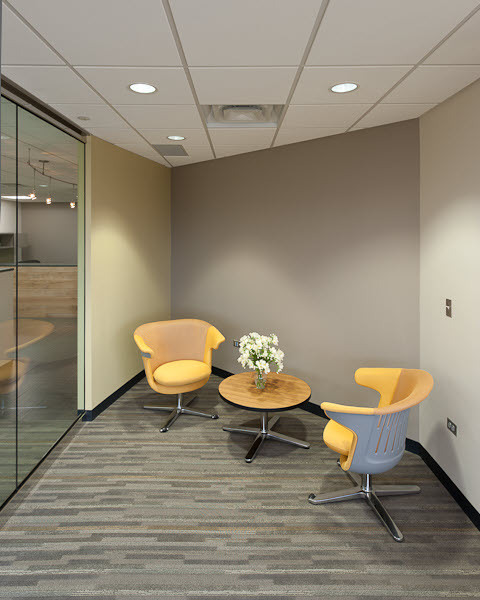 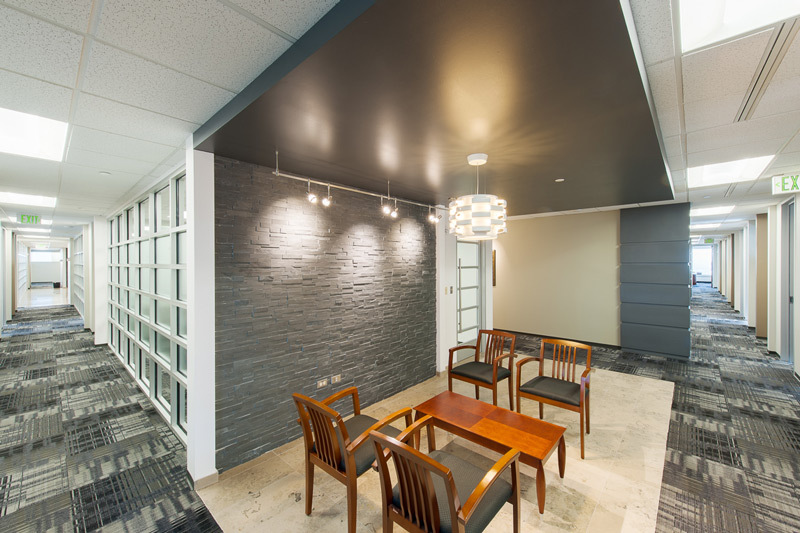 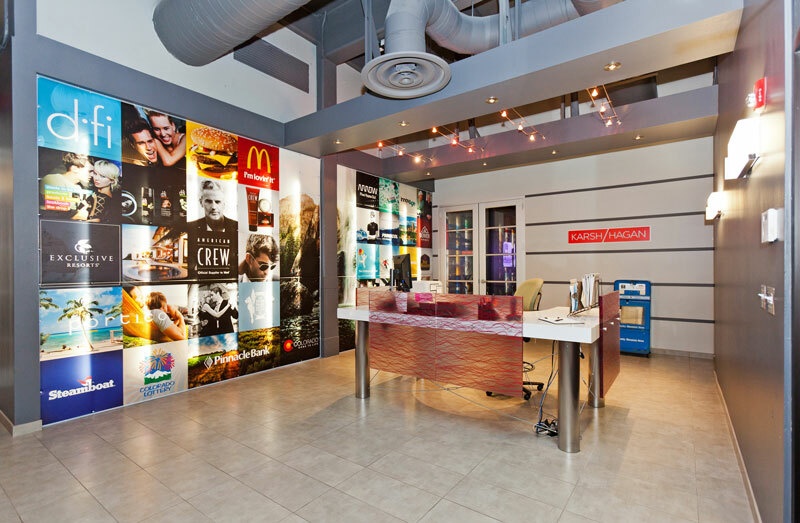 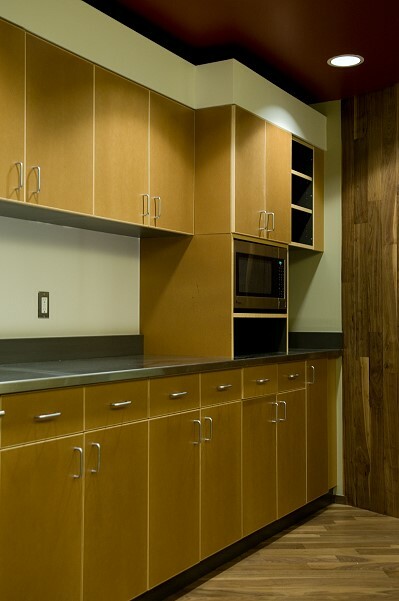 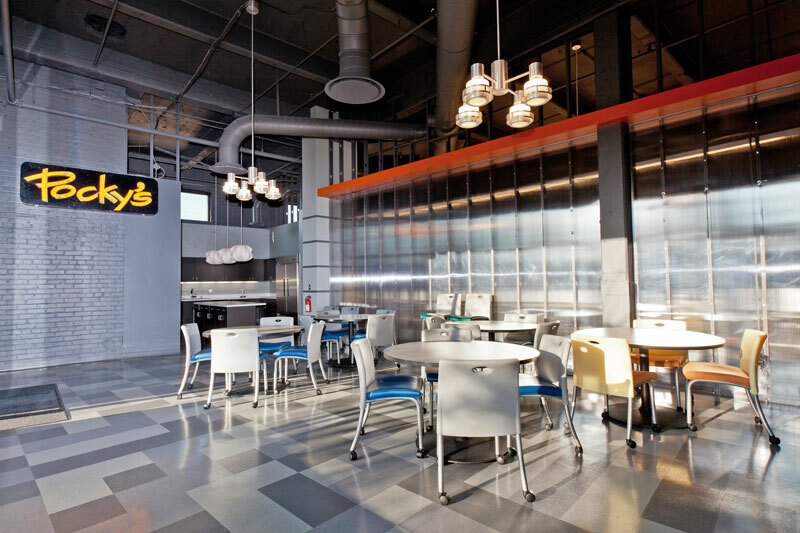 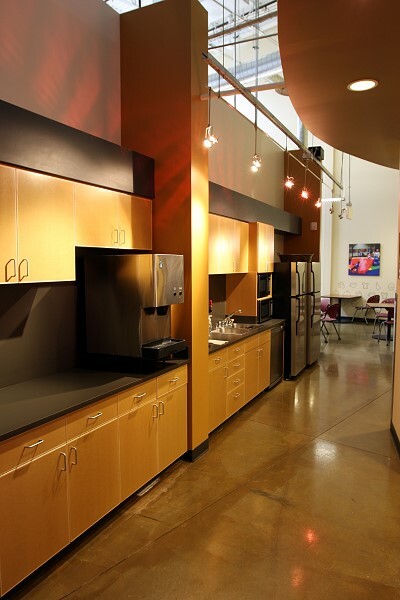 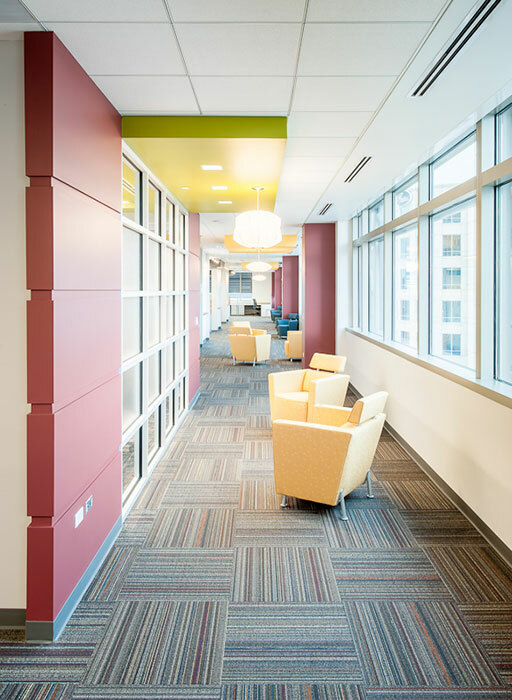 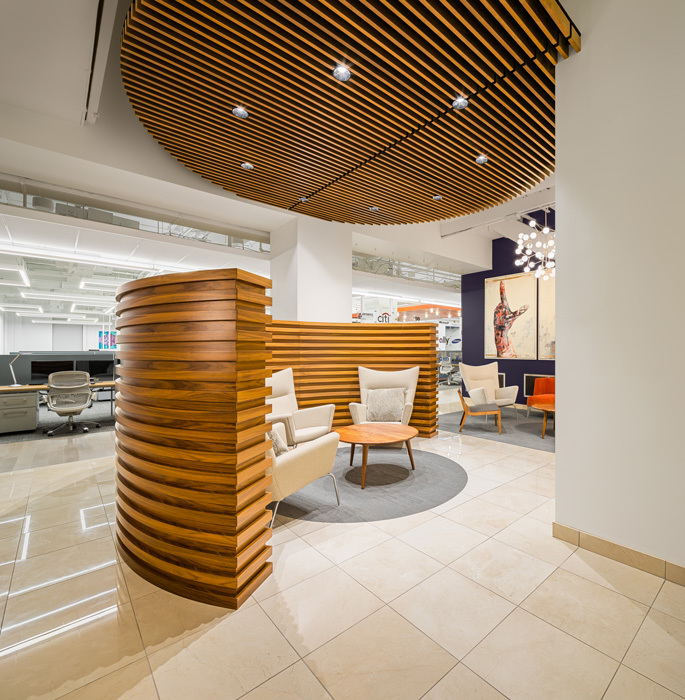 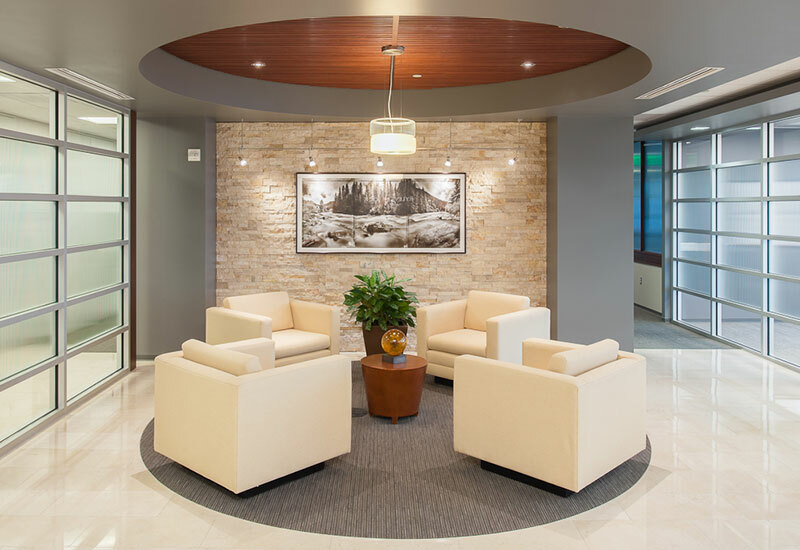 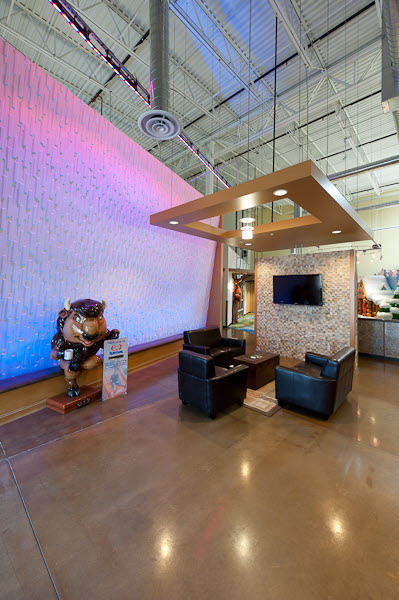 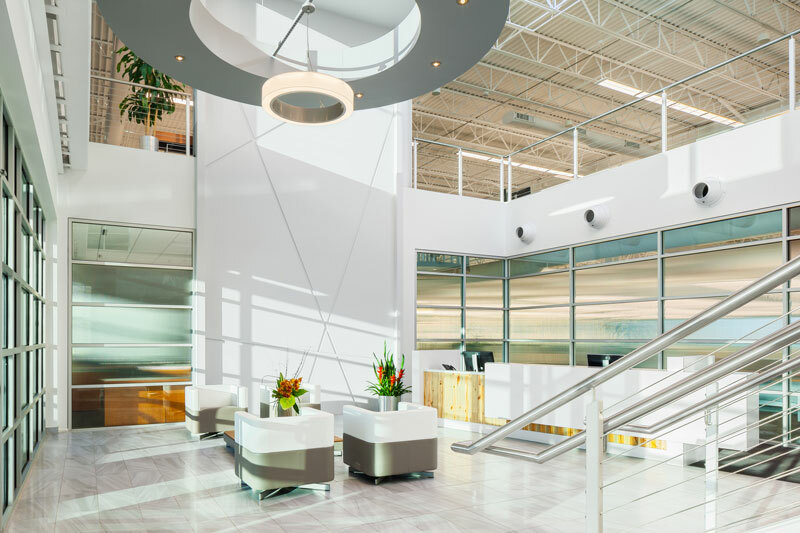 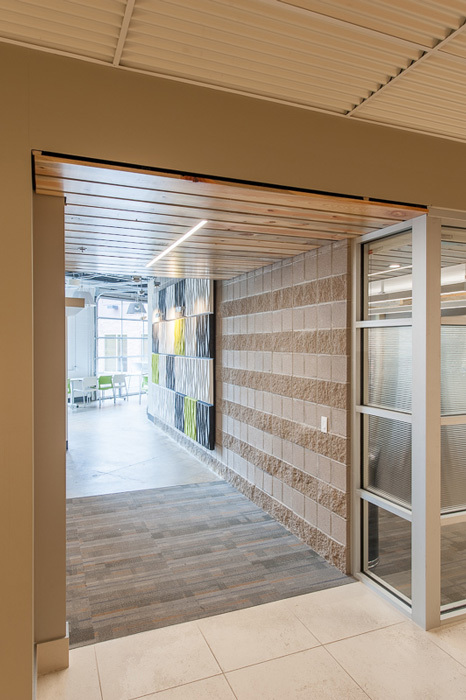 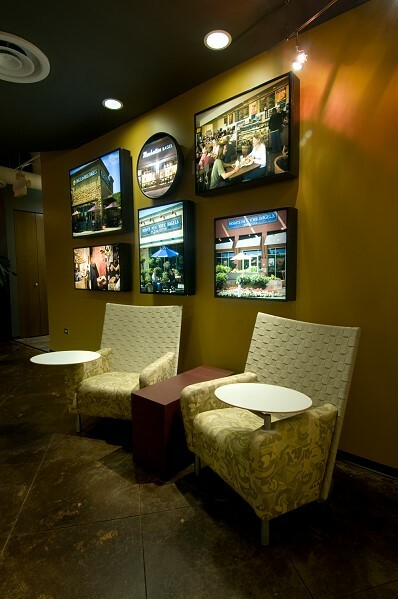 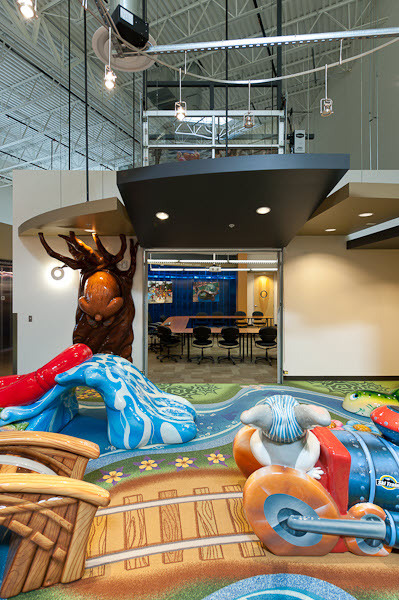 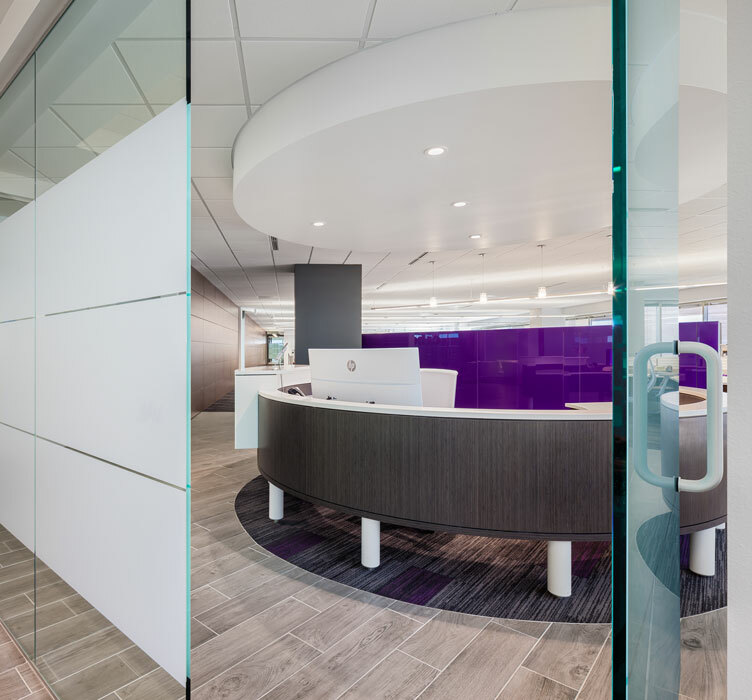 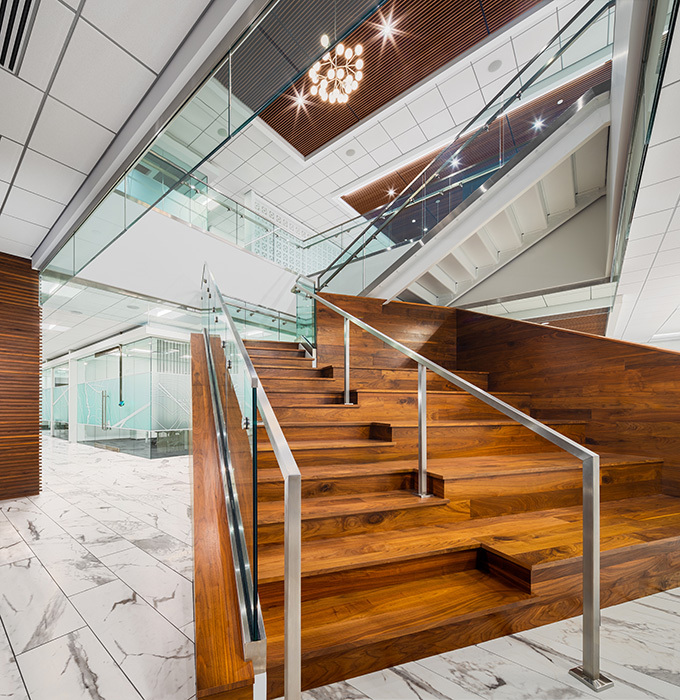 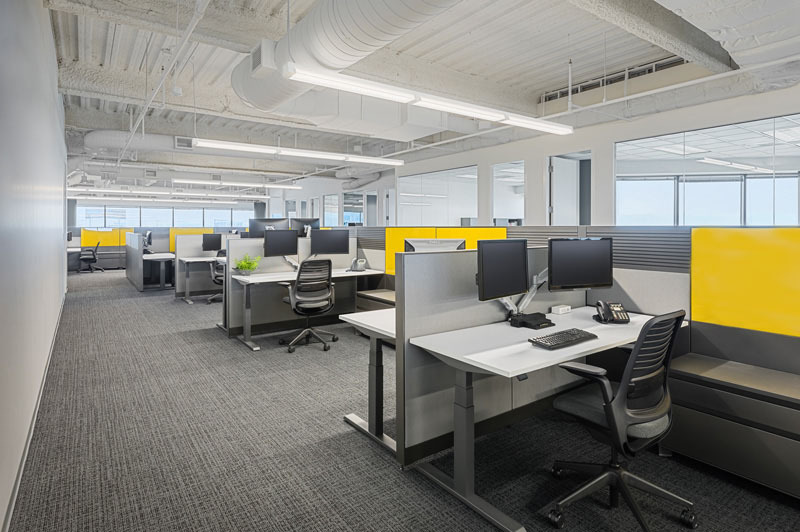 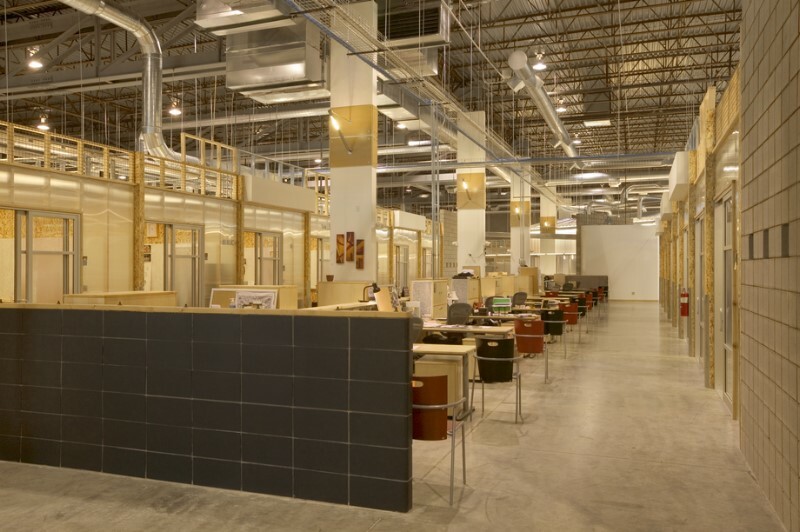 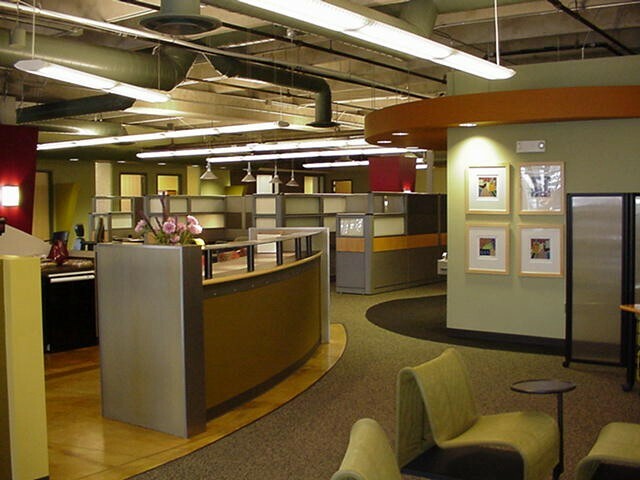 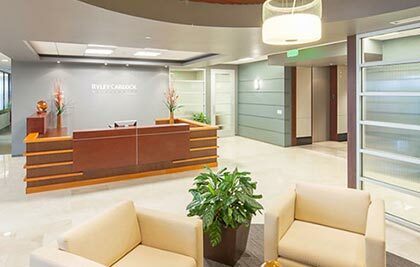 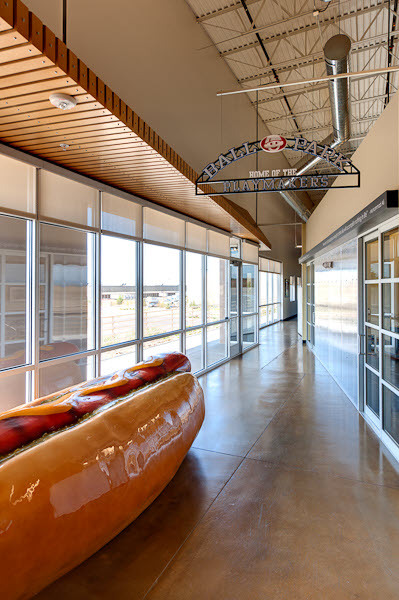 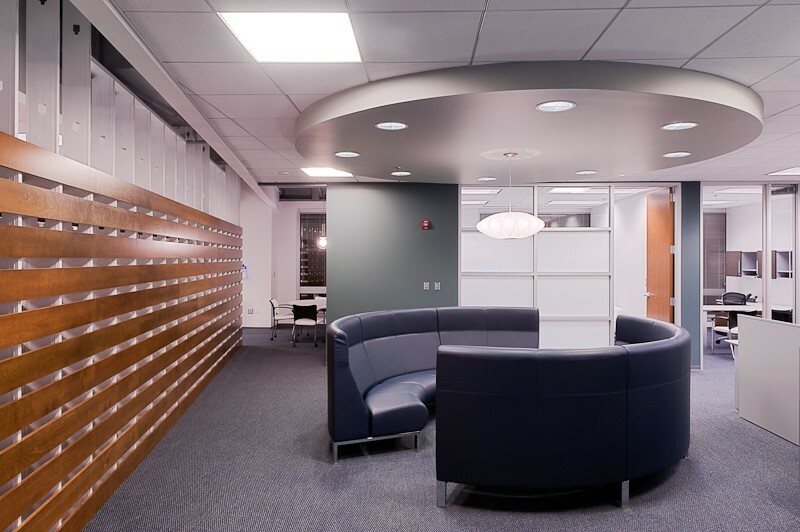 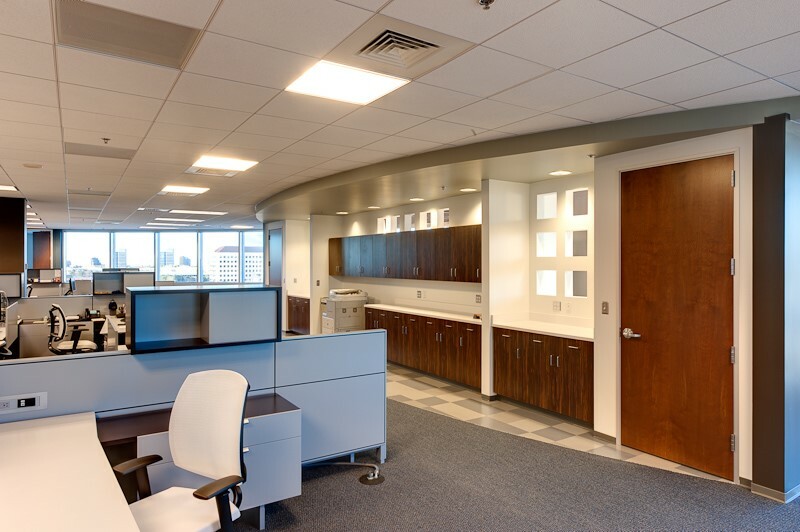 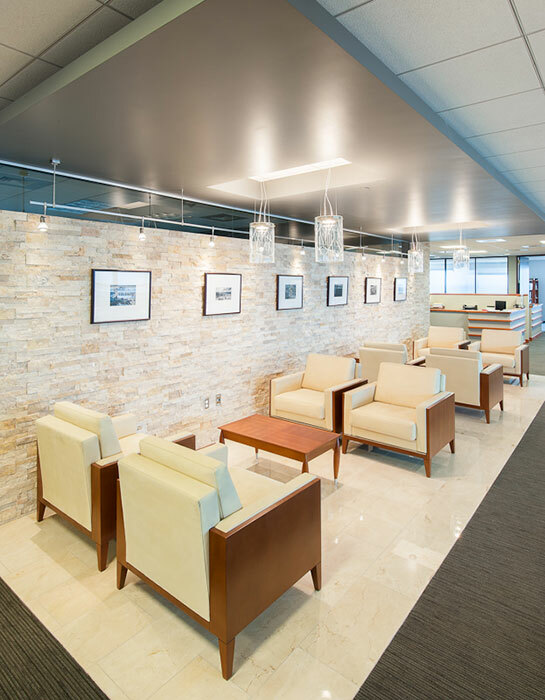 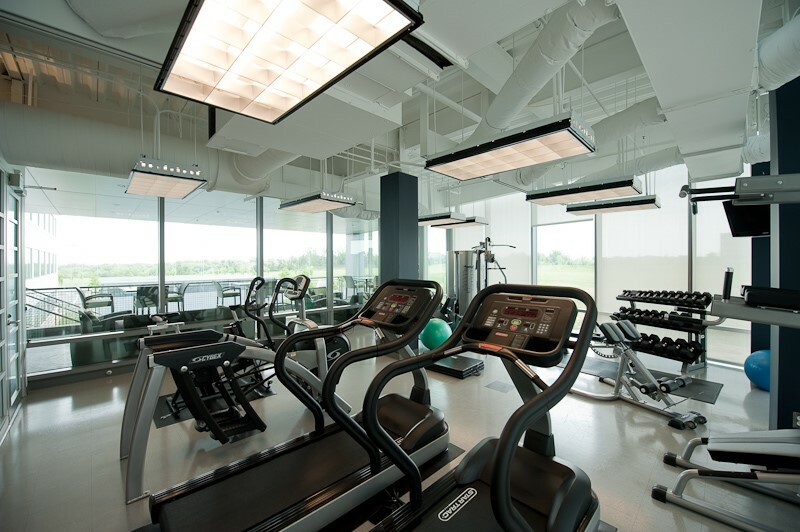 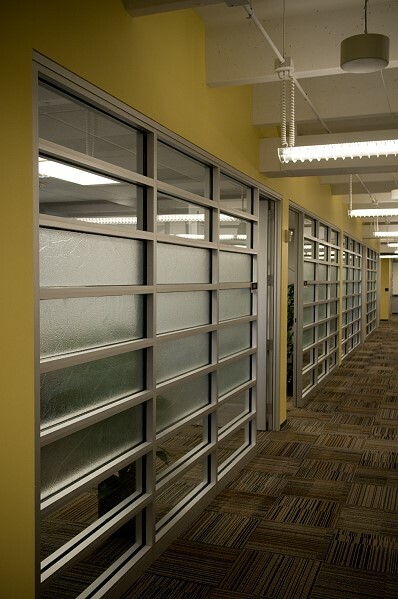 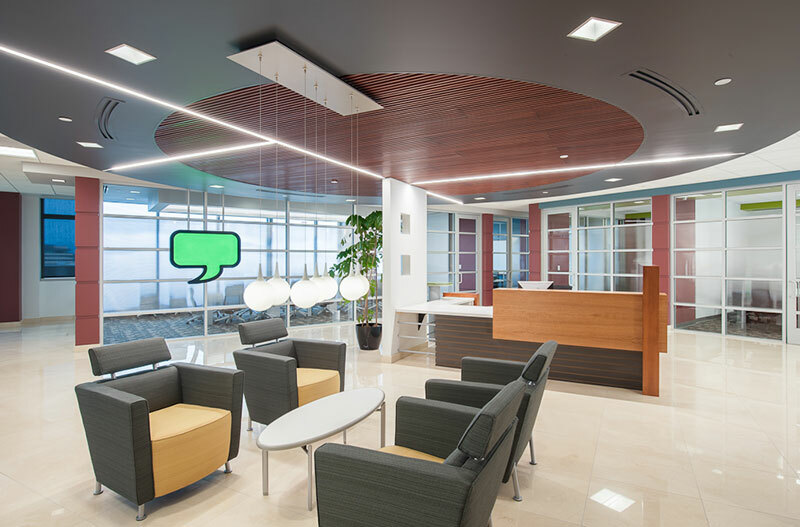 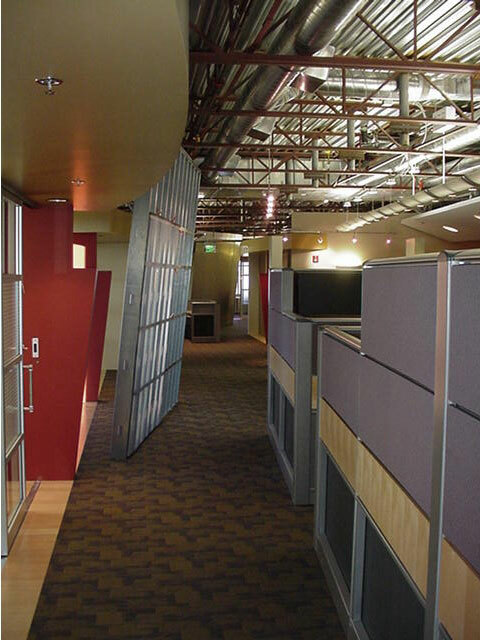 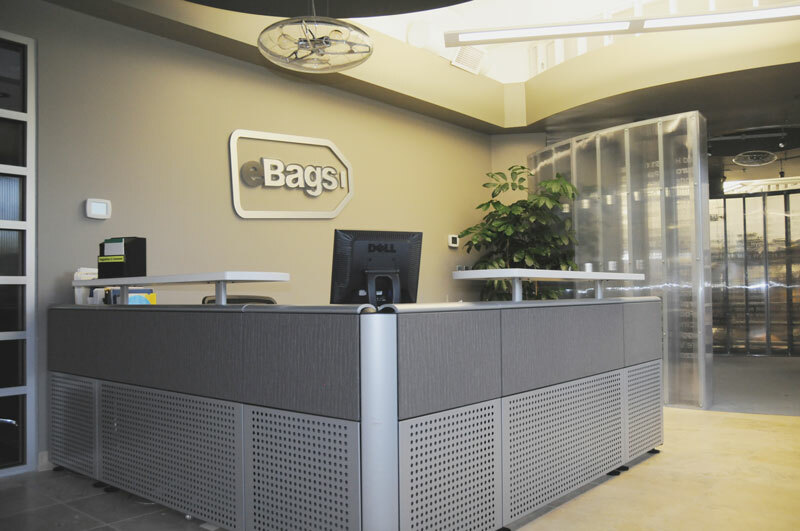 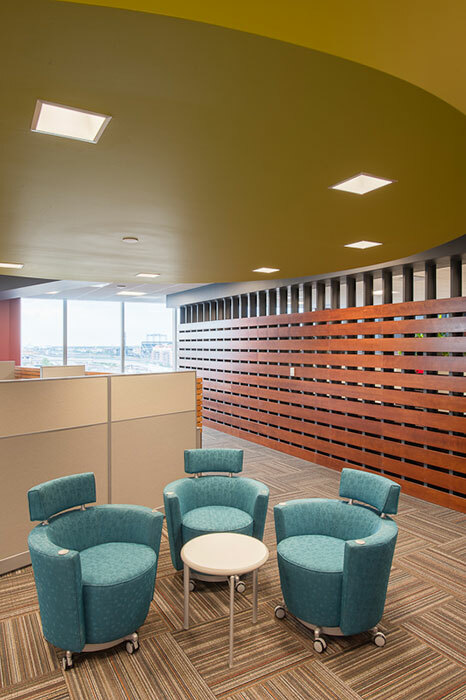 Snyder focuses on complete tenant services, including commercial and retail space planning, interior architecture, facilities planning, construction monitoring, and project management. 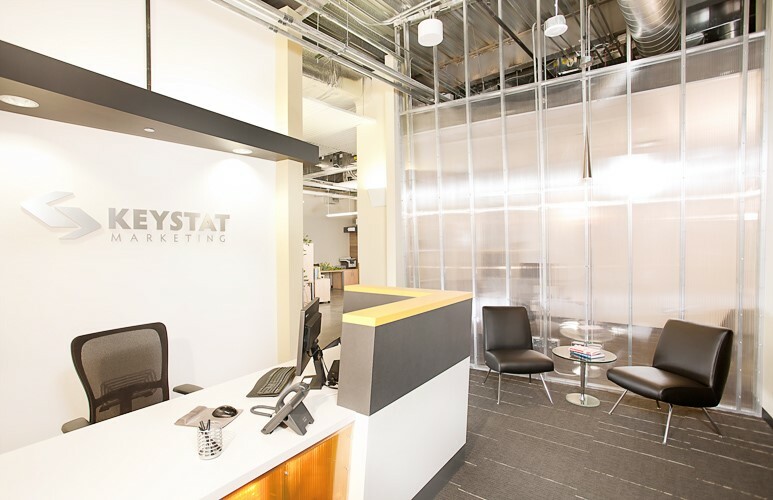 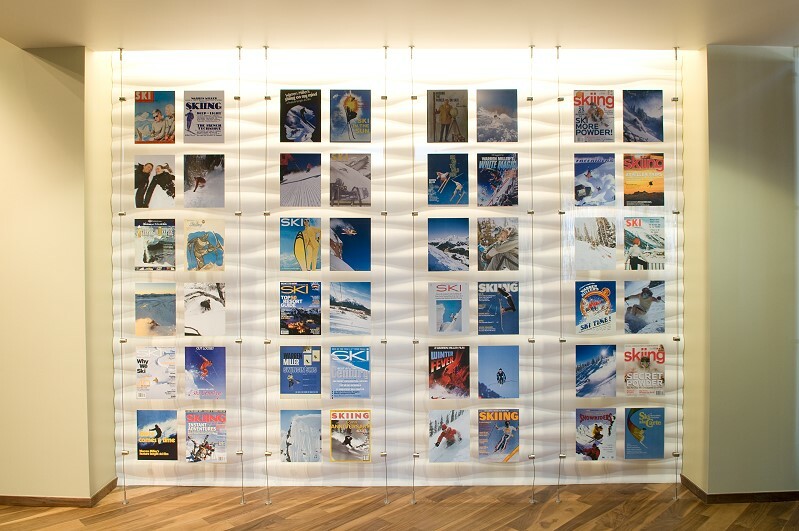 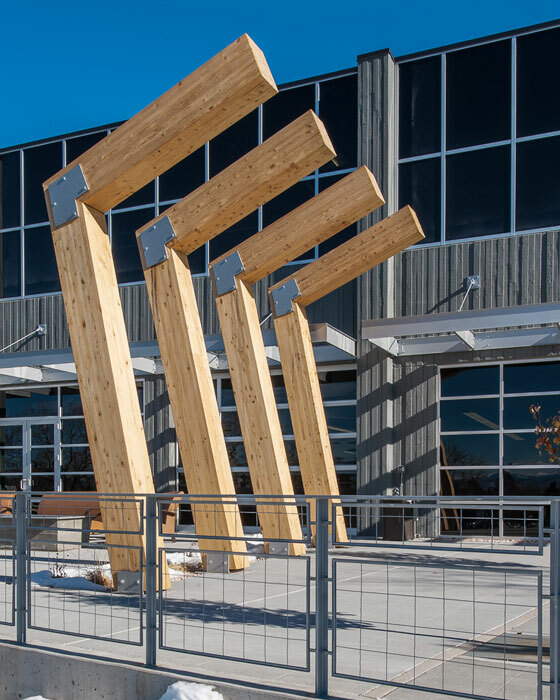 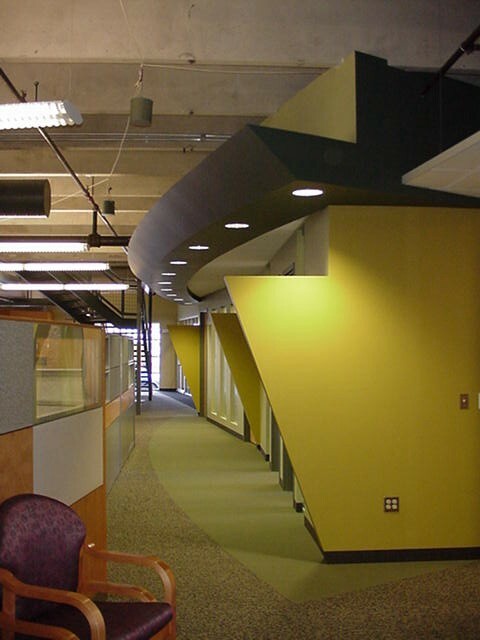 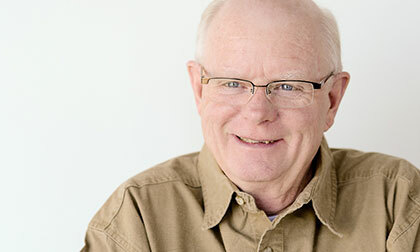 Snyder's formal education includes montana state university's school of architecture as well as bringing over 30 years of related project experience to the team. 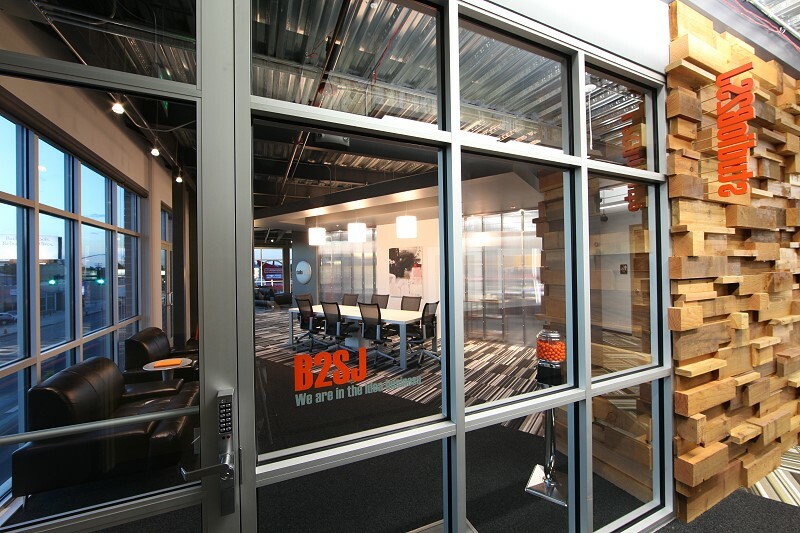 He has been with Studio B2SJ since its 1996 inception. 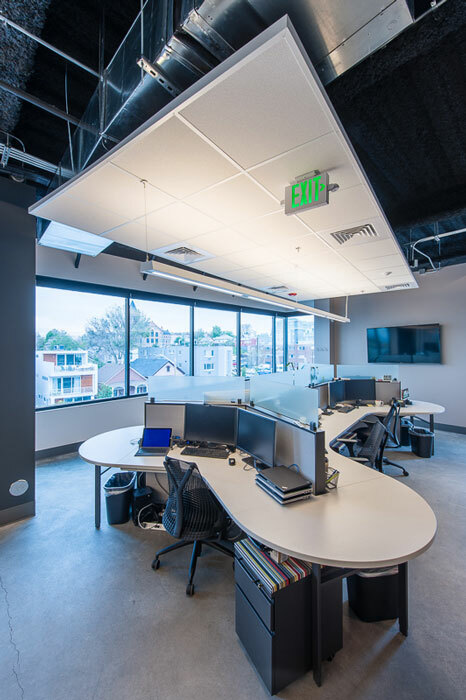 As the technical and production partner, Jones is responsible for all aspects of Studio B2SJ's custom CAD platform and network administration. 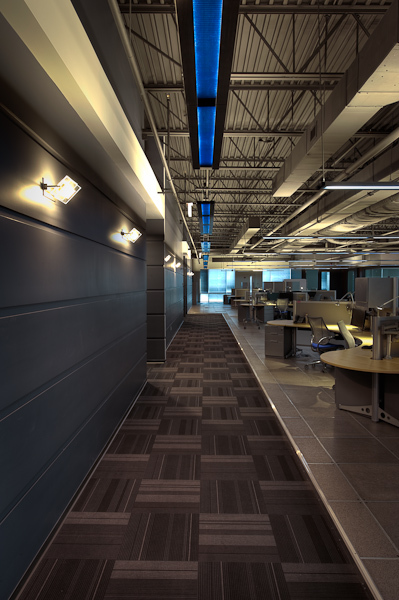 Jones brings over 20 years of computer-aided-design experience to the firm, including both structural and architectural disciplines. 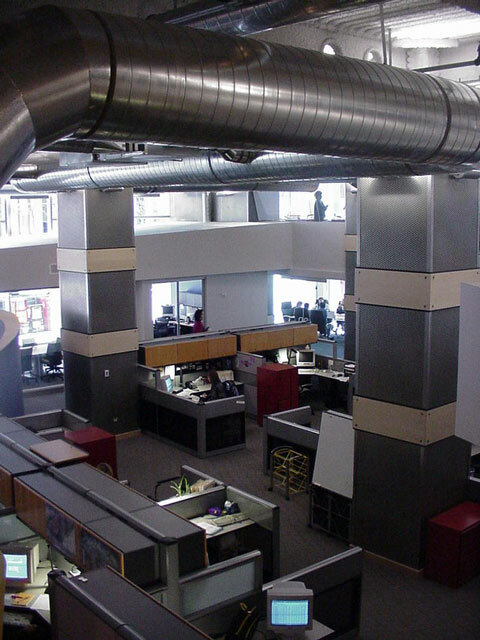 He develops and maintains all formats and standards for B2SJ's electronic media, while managing the company network and computer systems. 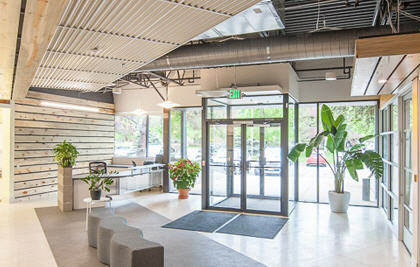 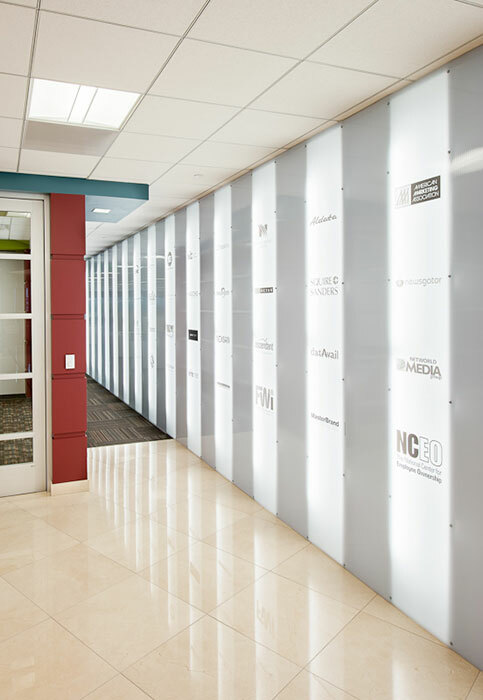 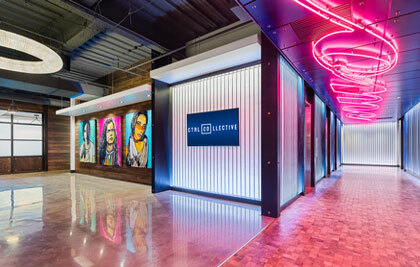 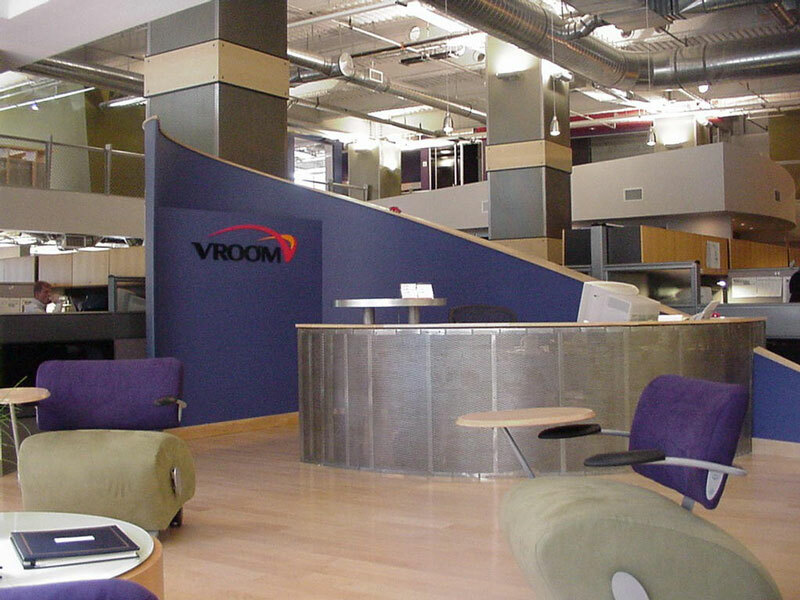 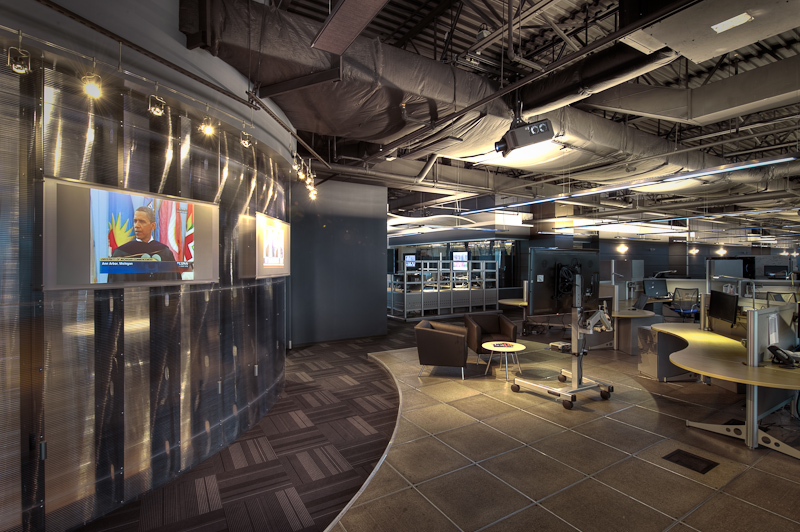 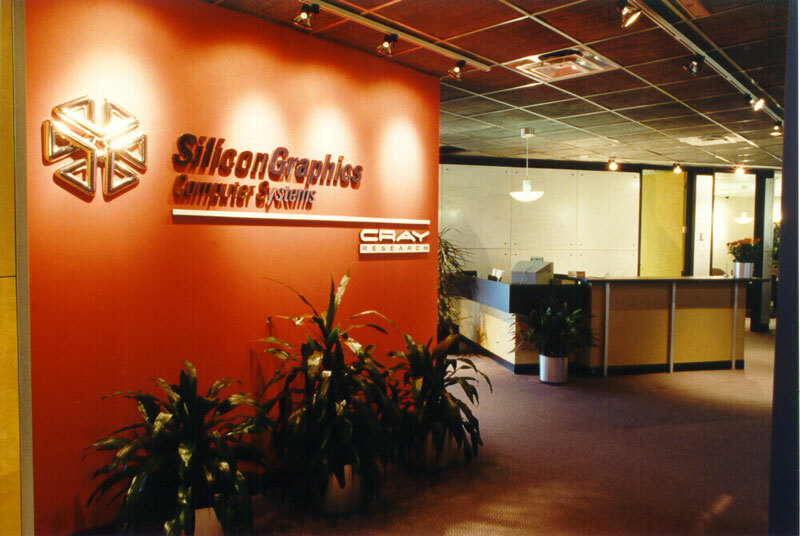 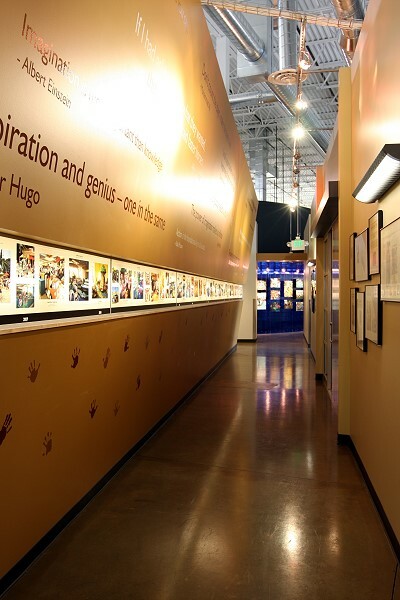 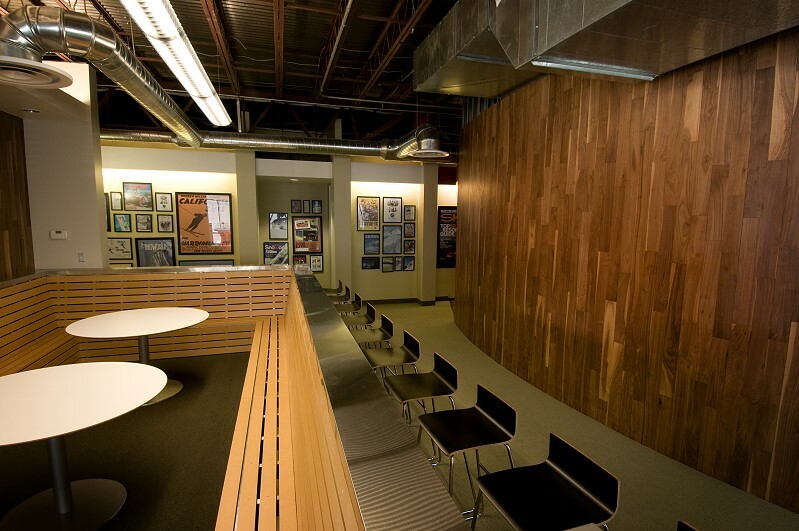 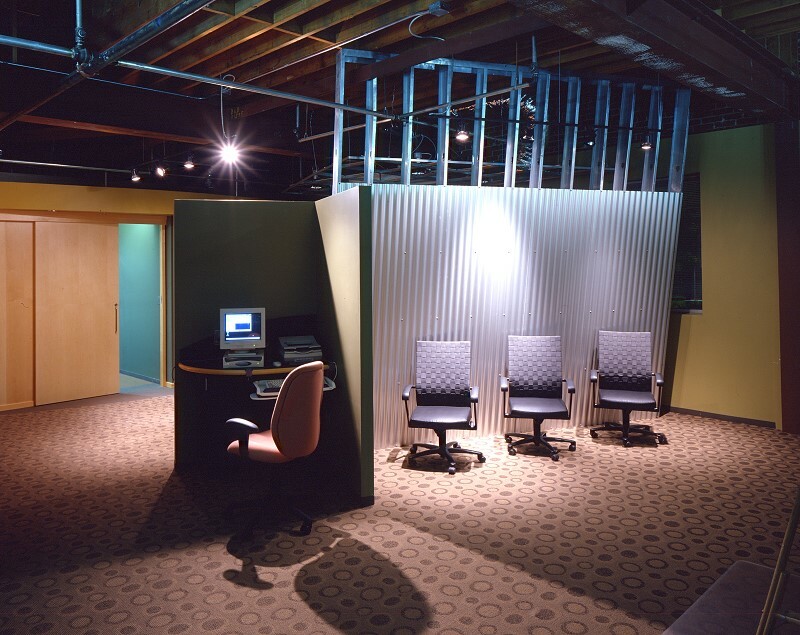 With additional experience in graphic illustration, web design, and computer programming, Jones also produces and manages all web media for Studio B2SJ. 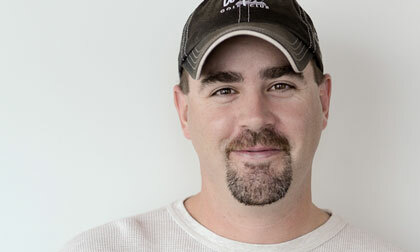 Derek is a strong asset to the team, with an unwavering energy and desire to complete the task at hand as quickly and efficiently as possible. 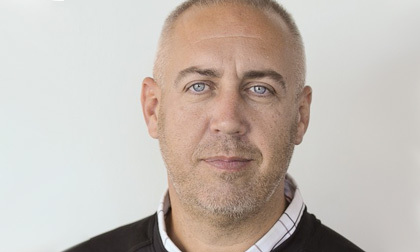 Providing over 12 years of experience; Derek has worked in large scale organizations as well as the boutique scale and applies his aptitude and common sense to supporting the entire team at B2SJ. 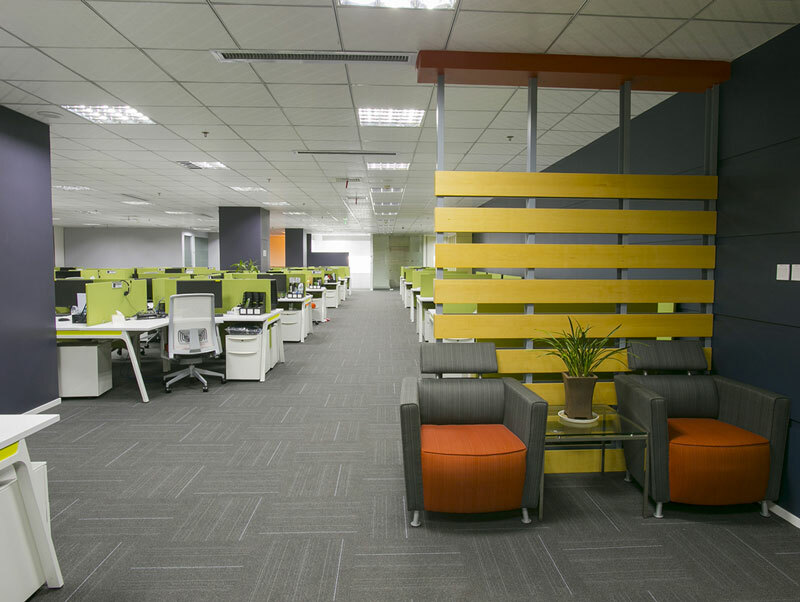 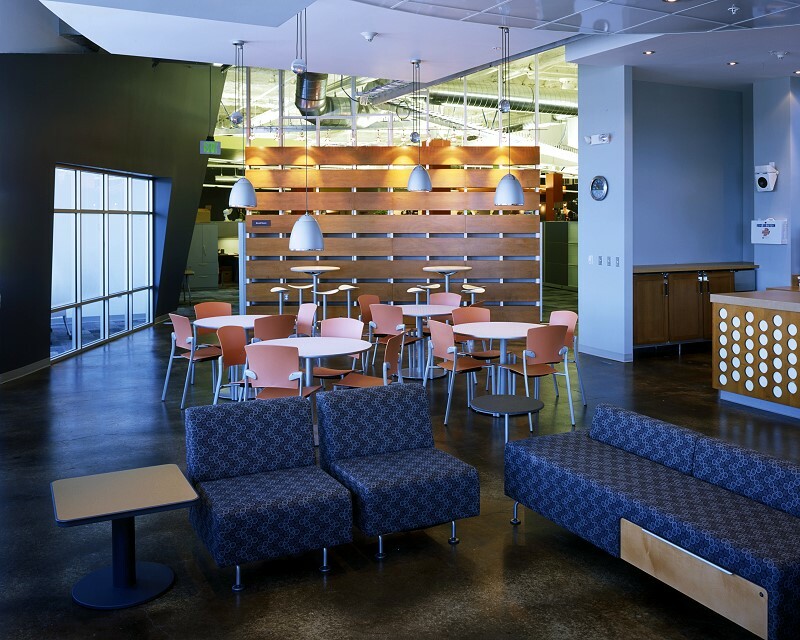 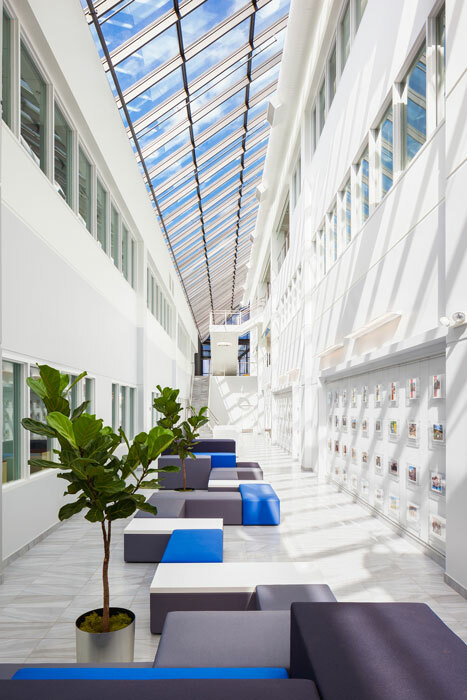 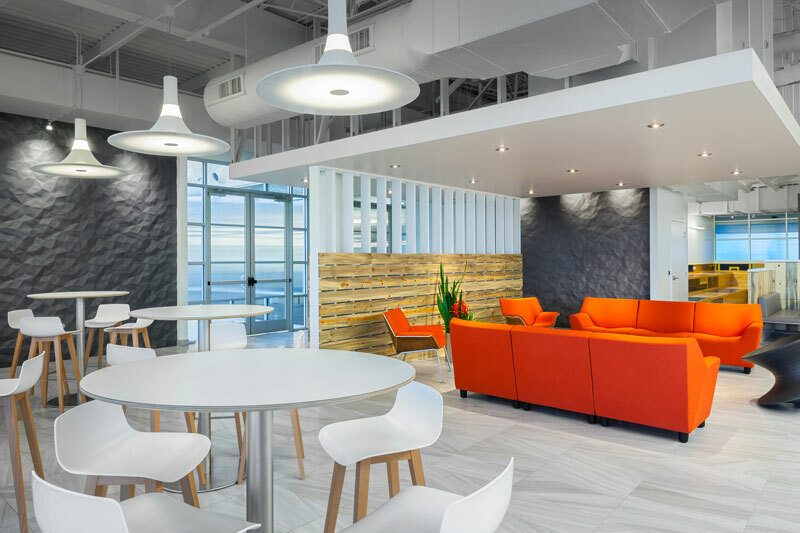 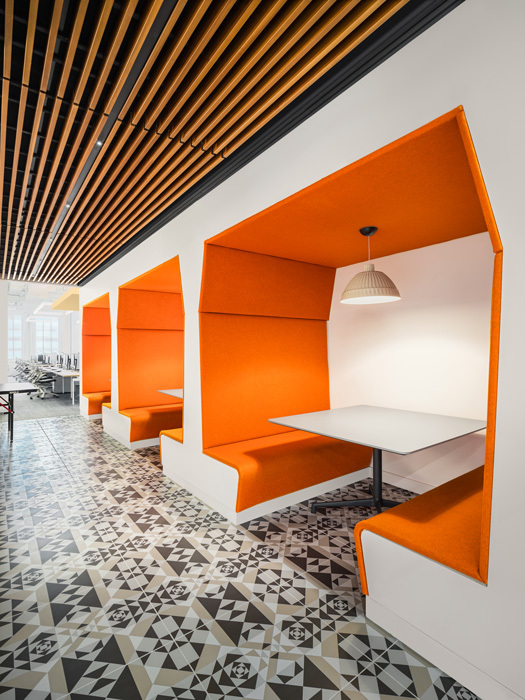 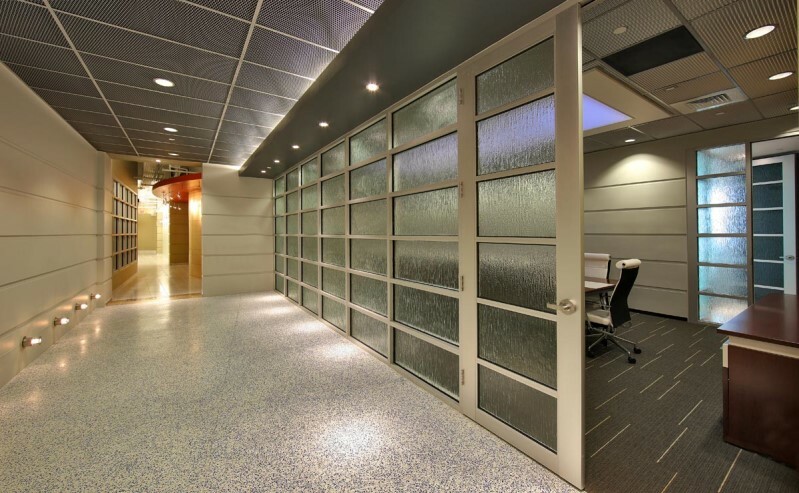 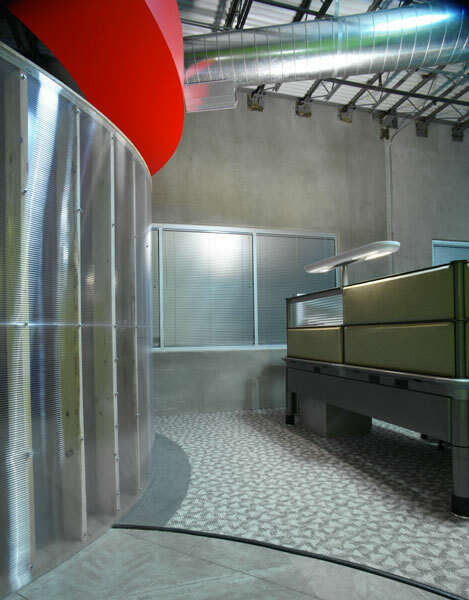 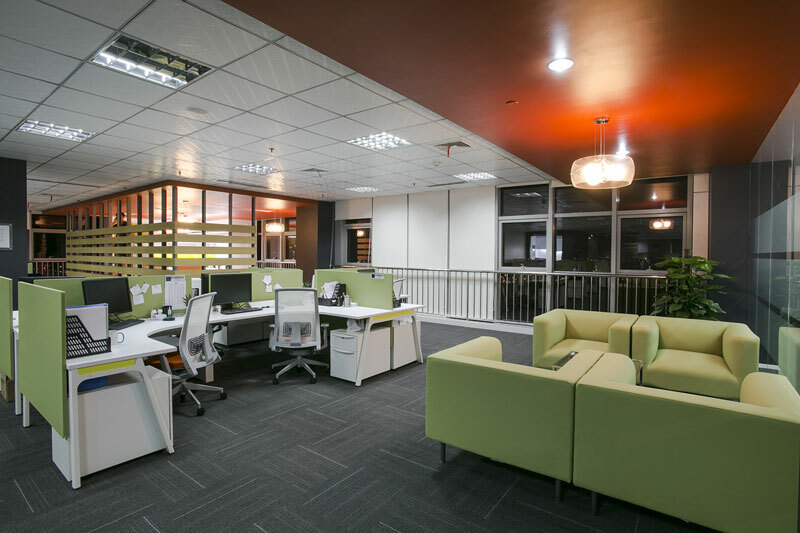 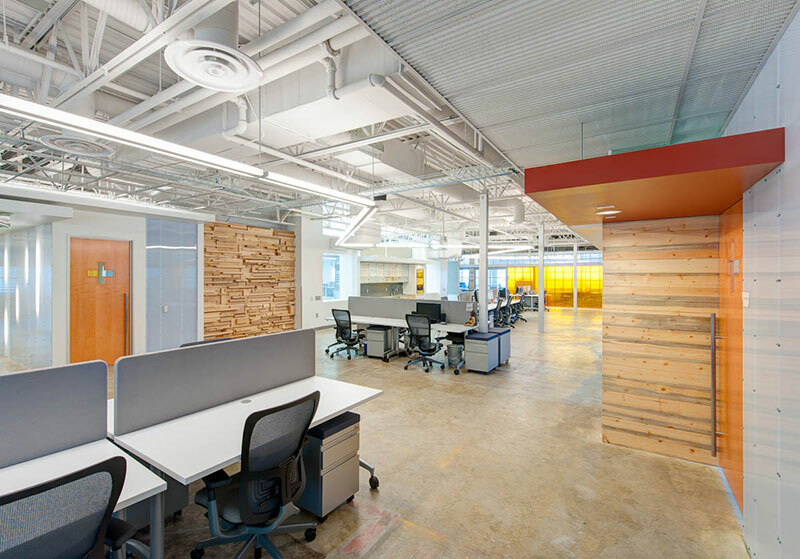 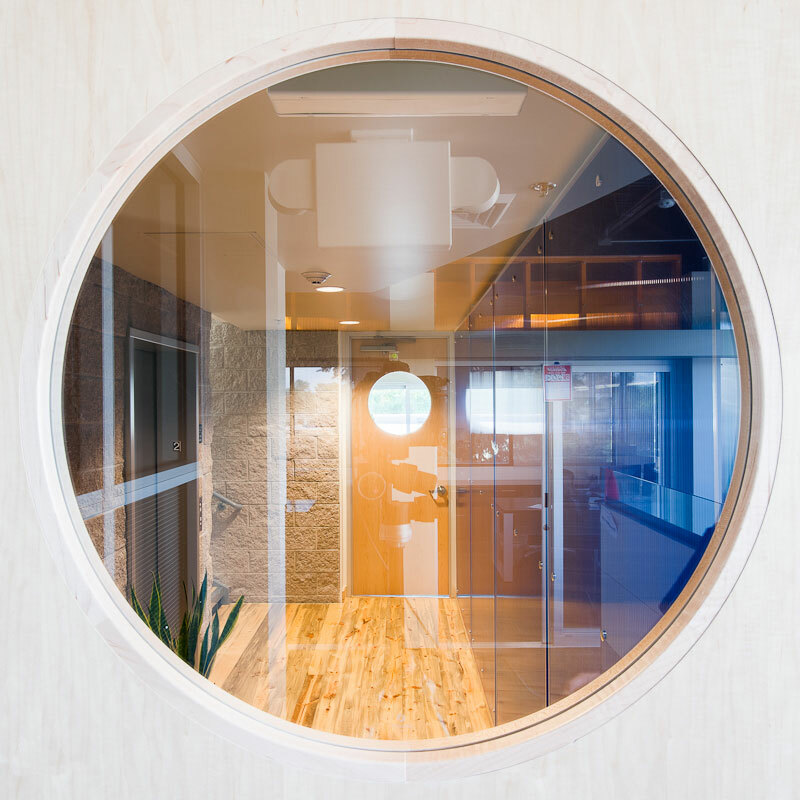 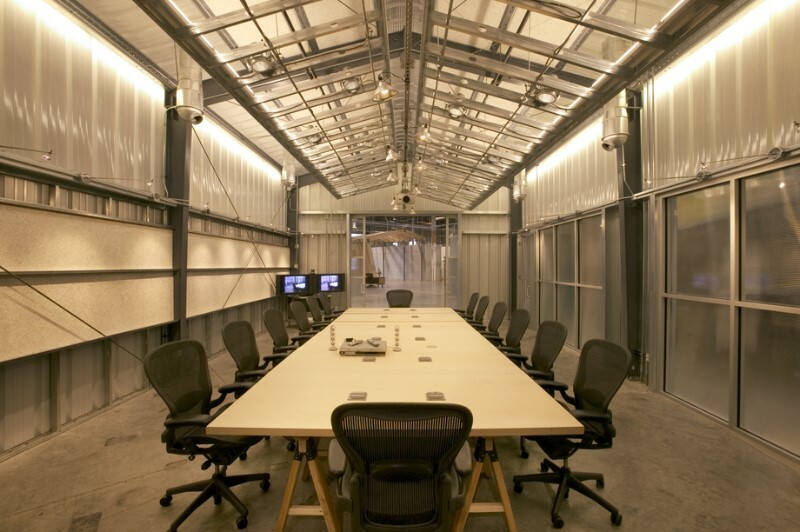 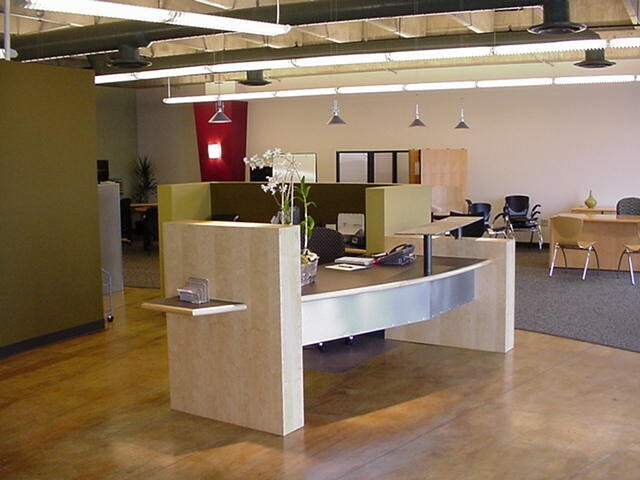 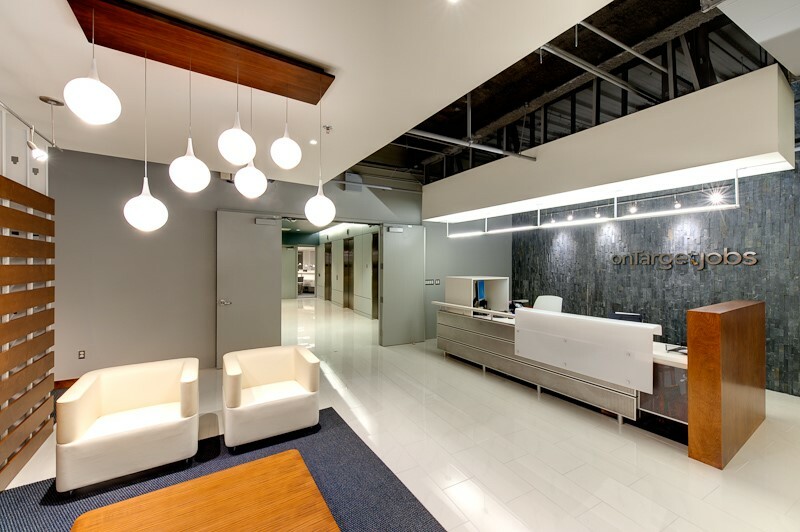 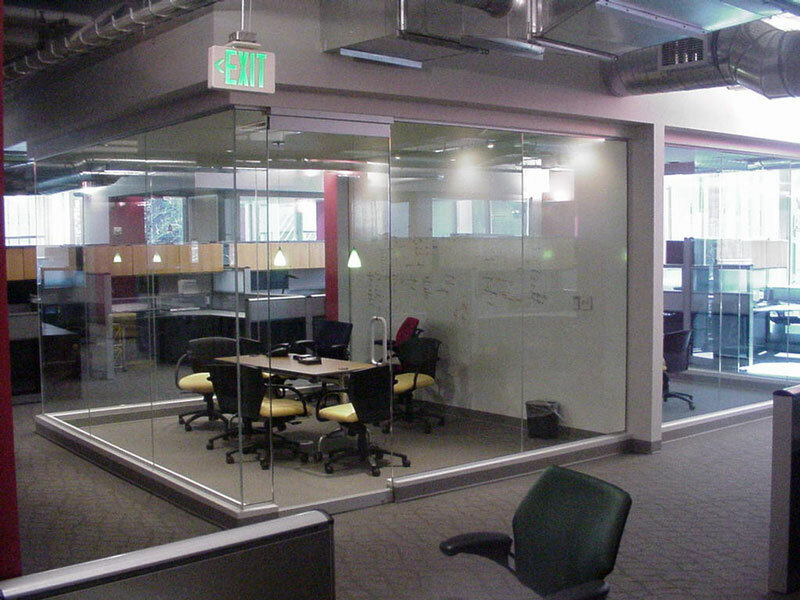 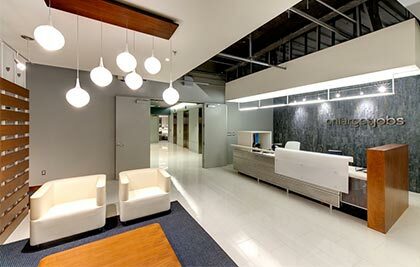 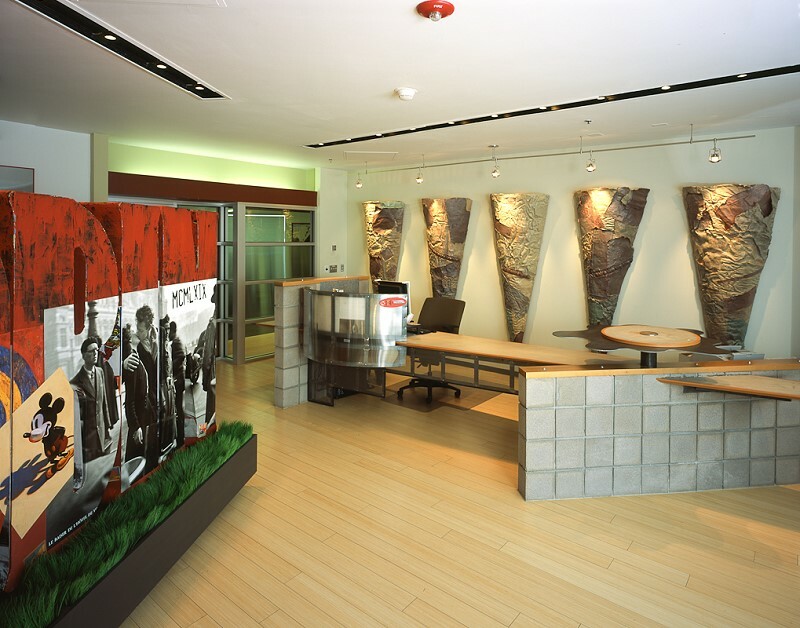 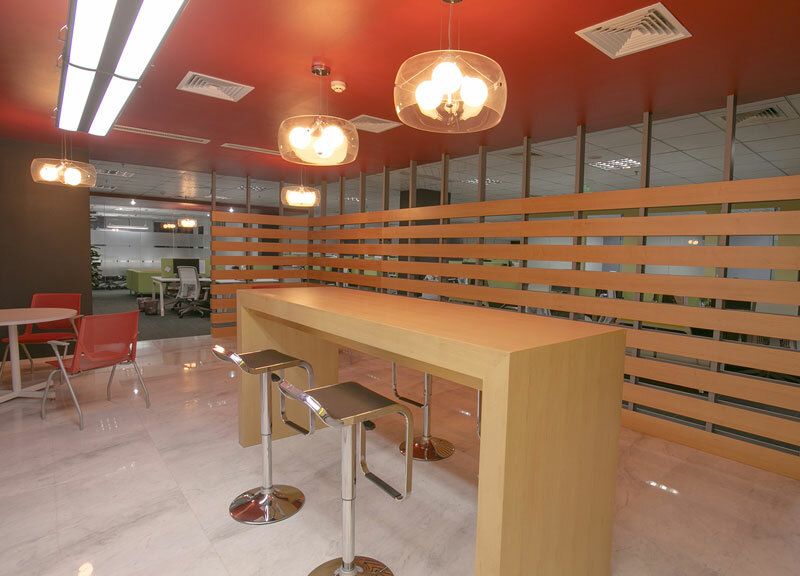 Studio B2SJ is a multi discipline architecture and design firm offering a full complement of progressive business oriented services from base building architecture, corporate interiors to facilities consulting and beyond. 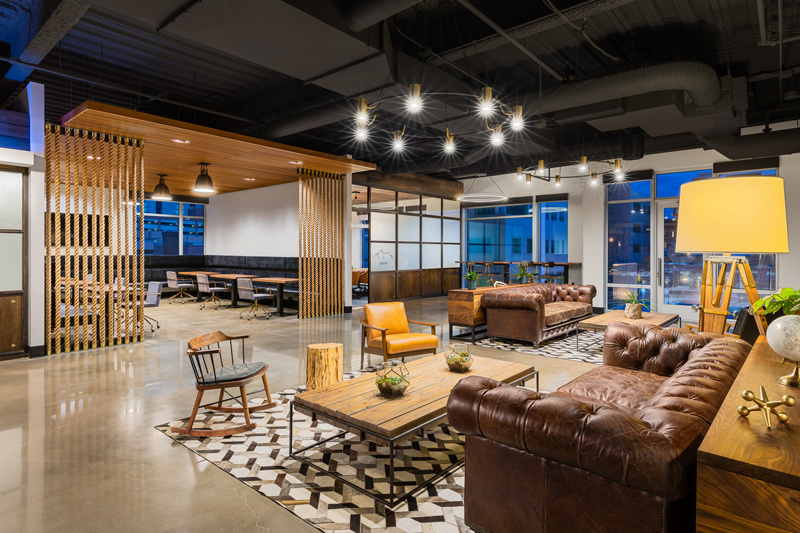 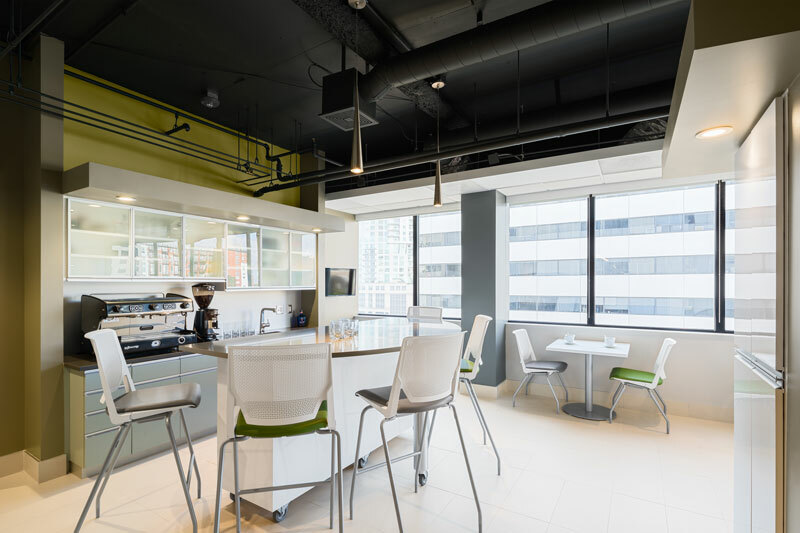 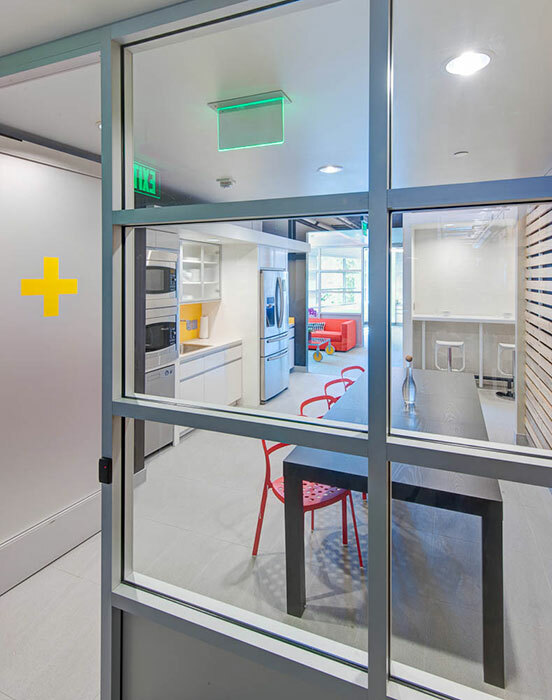 Studio B2SJ is a principal based firm / studio, a collaborative of experience and talented individuals focusing on providing comprehensive tenant representation, a team-driven process featuring the interaction of the tenant, architect and real estate representative. 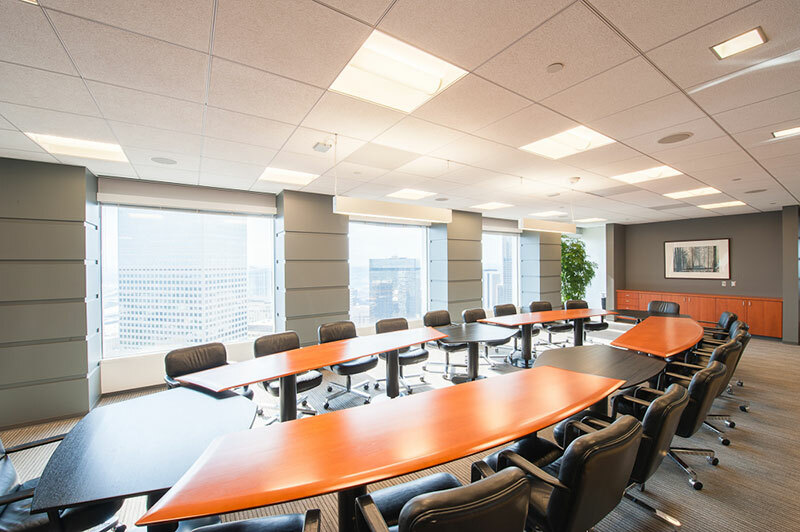 With today's rising costs and complications in the real estate market, more and more businesses are turning to outsourced consultants to assist in evaluating, economizing and serving as an advocate throughout the process of acquiring and leasing and managing corporate real estate. 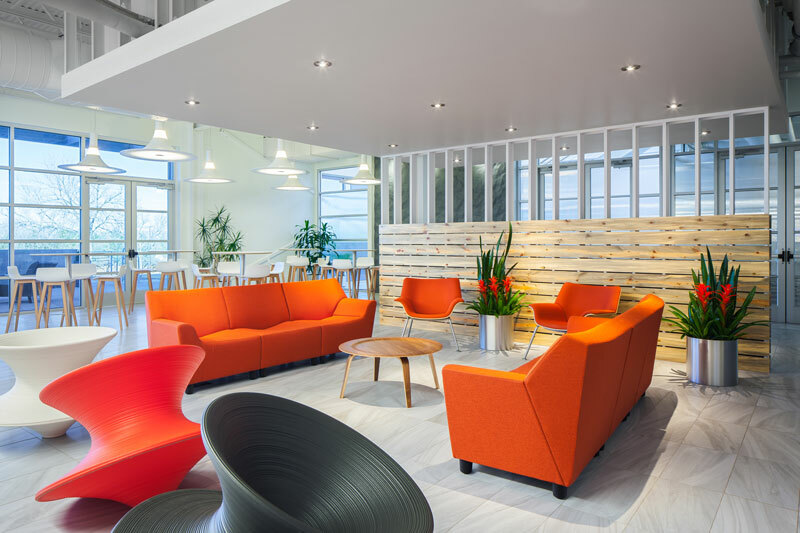 We believe successful tenant representation hinges on thorough needs analysis and a subsequent proactive approach to assessing and recommending the best possible options for your businesss specific requirements. 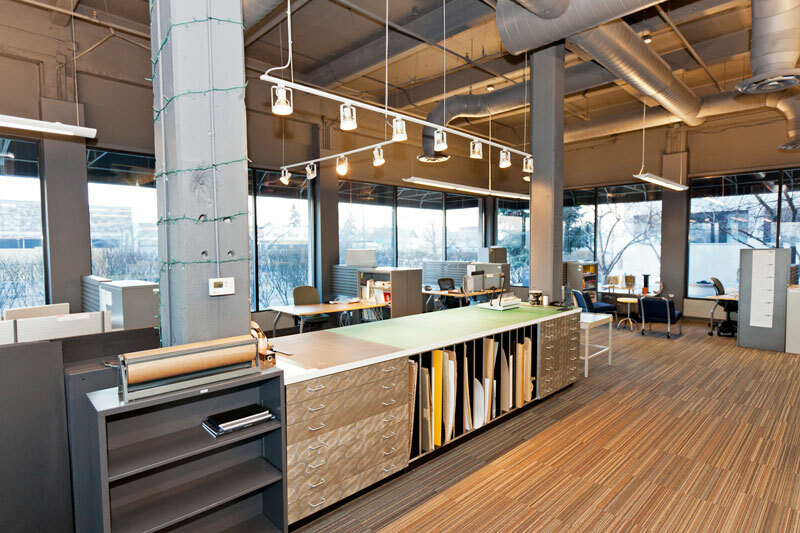 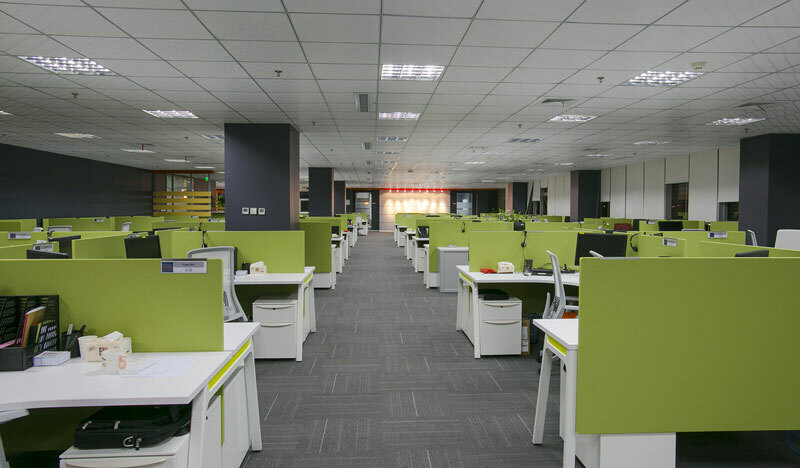 By working exclusively in the tenants best interests, both architect and real estate representative can fashion solutions to the problems facing your business with professional services addressing the needs of developing efficient space. 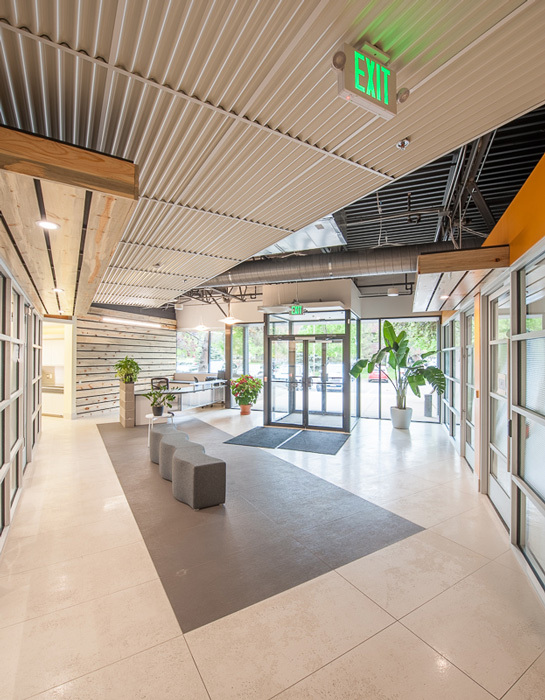 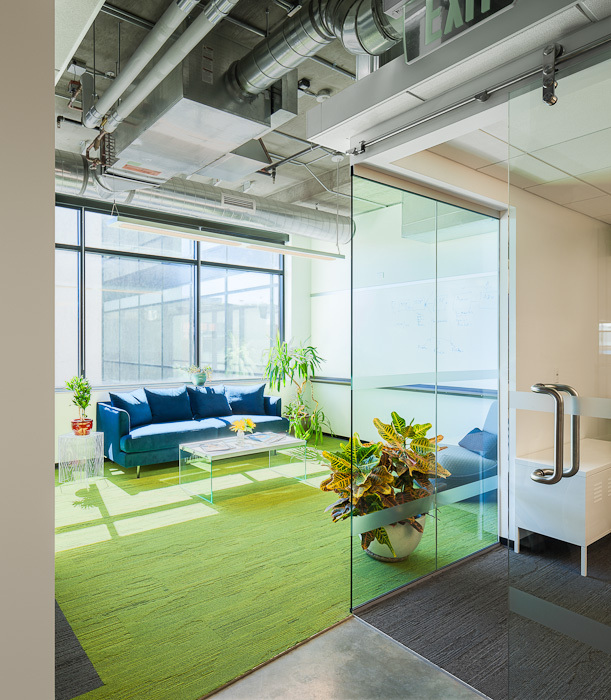 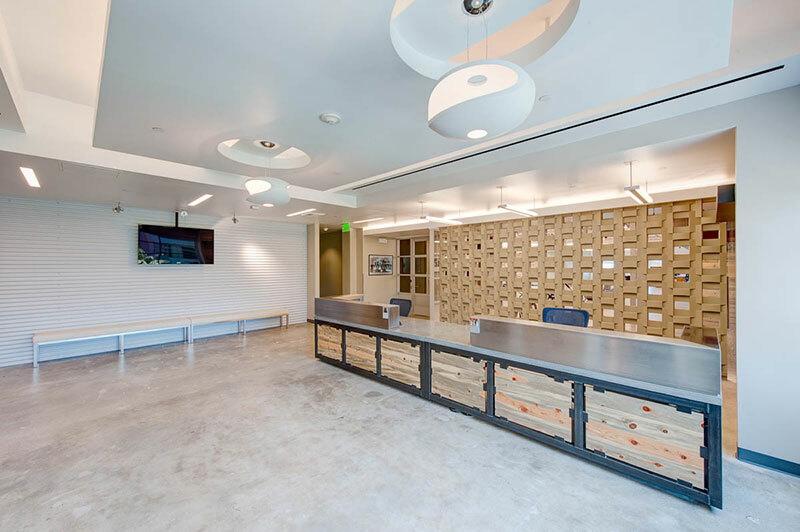 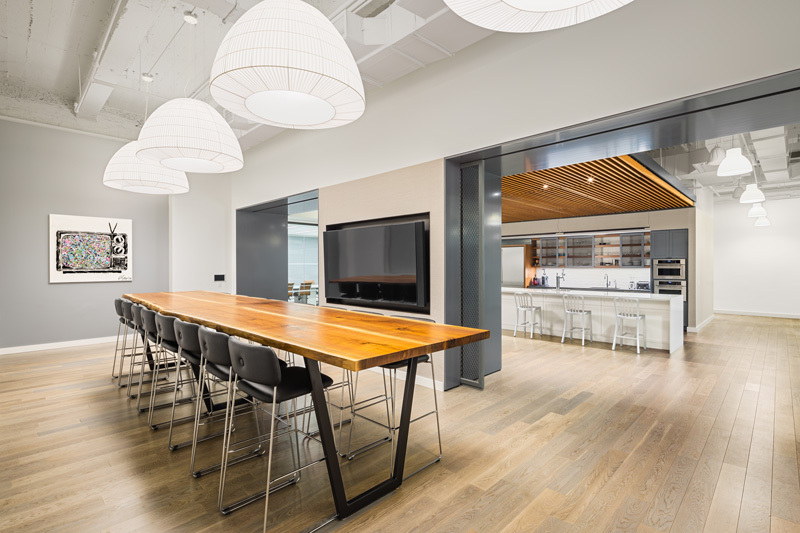 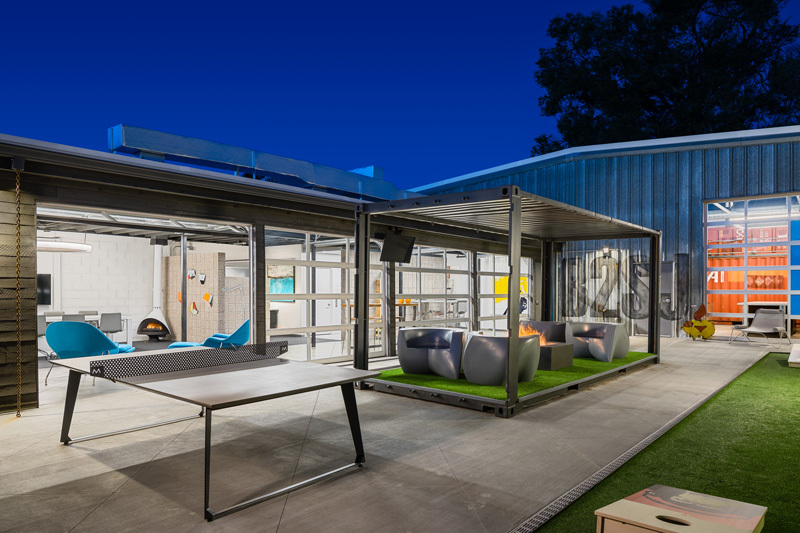 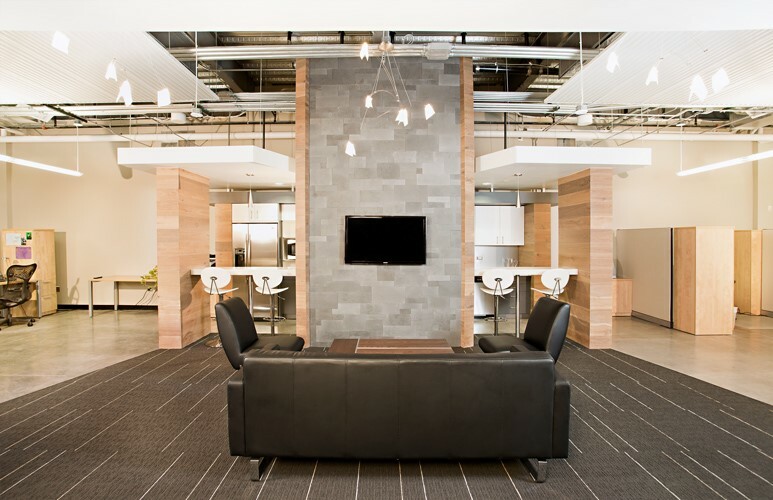 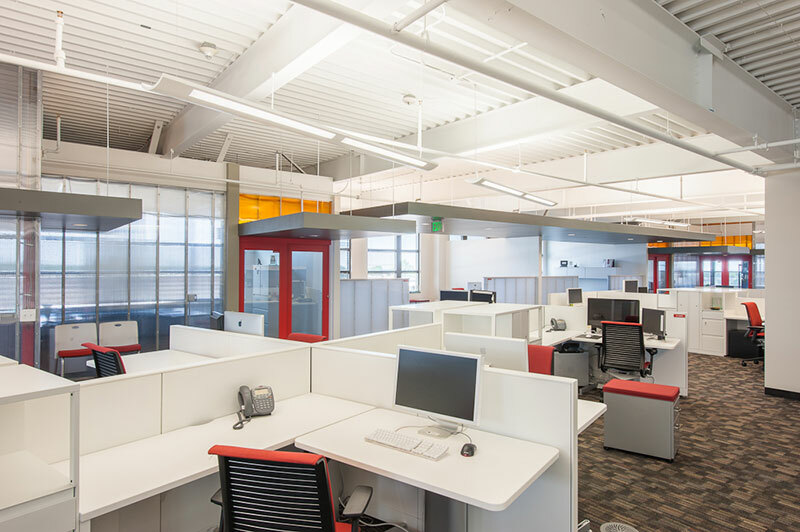 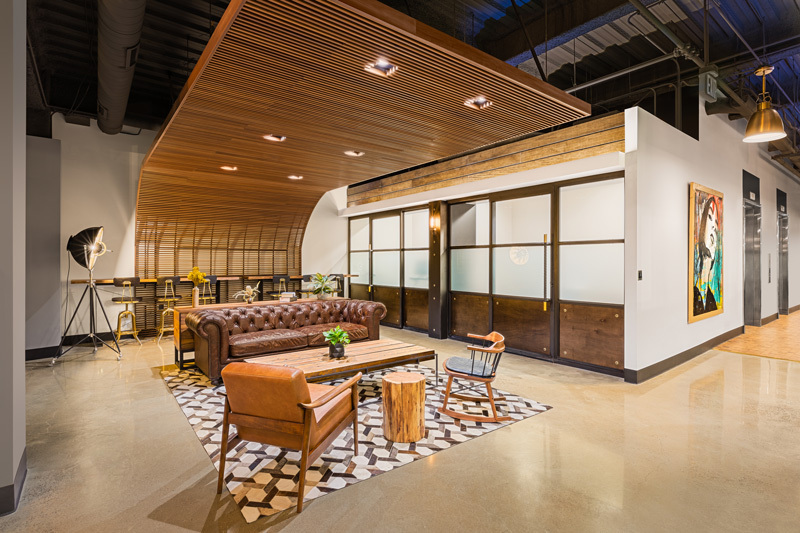 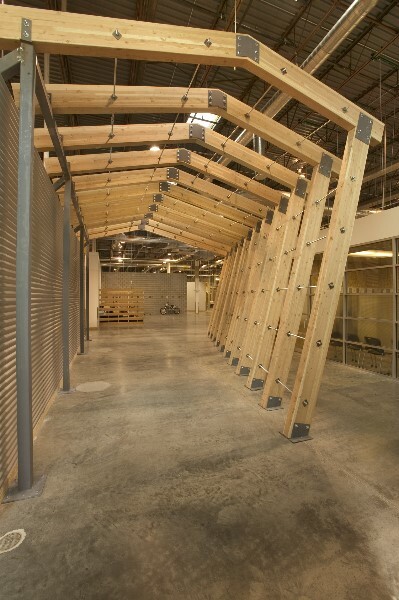 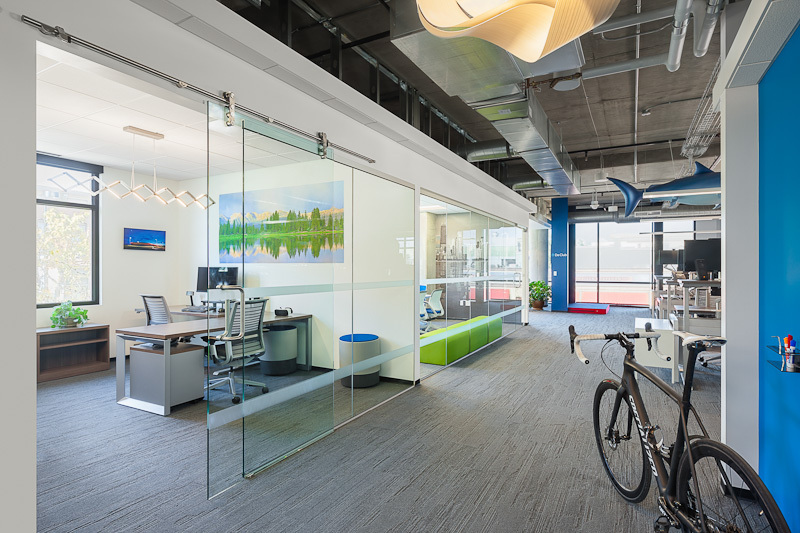 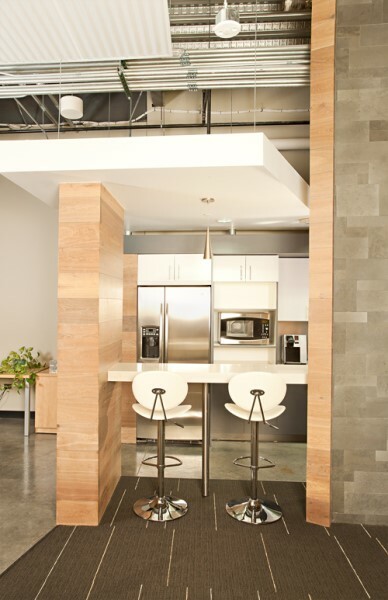 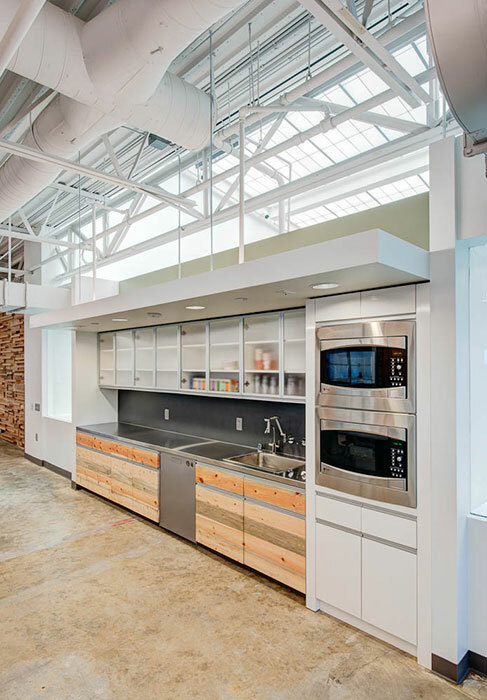 Studio B2SJ's approach to the design and development of workspaces in the commercial real estate is unequaled in the marketplace. 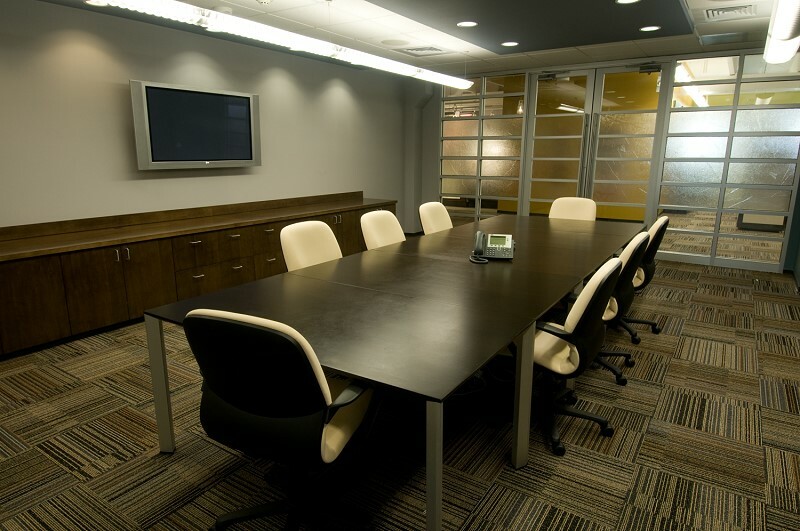 With individualized attention on a local, regional and national scale, your needs will be met with honesty and skill. 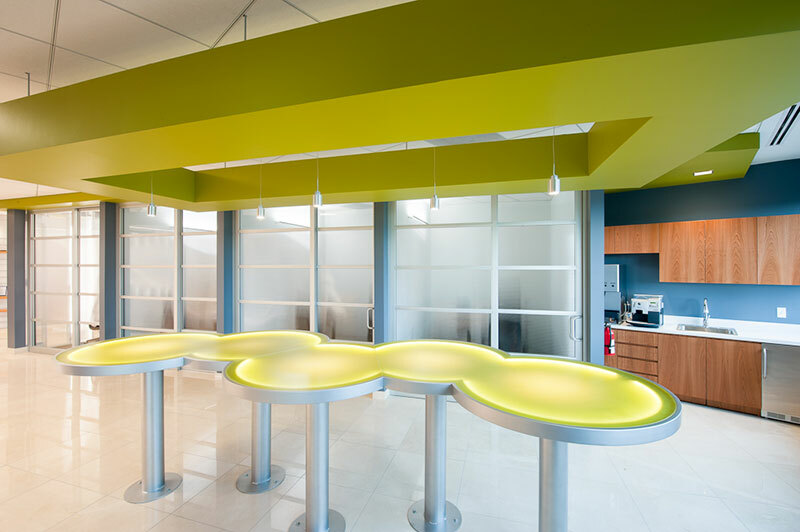 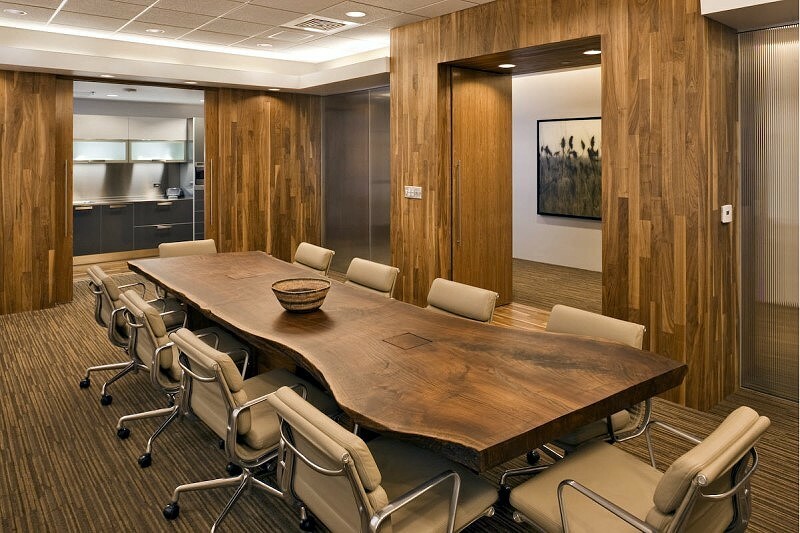 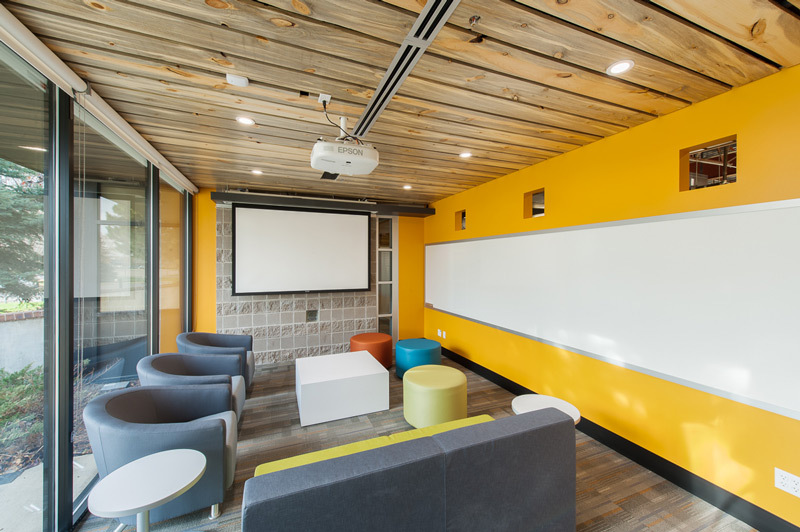 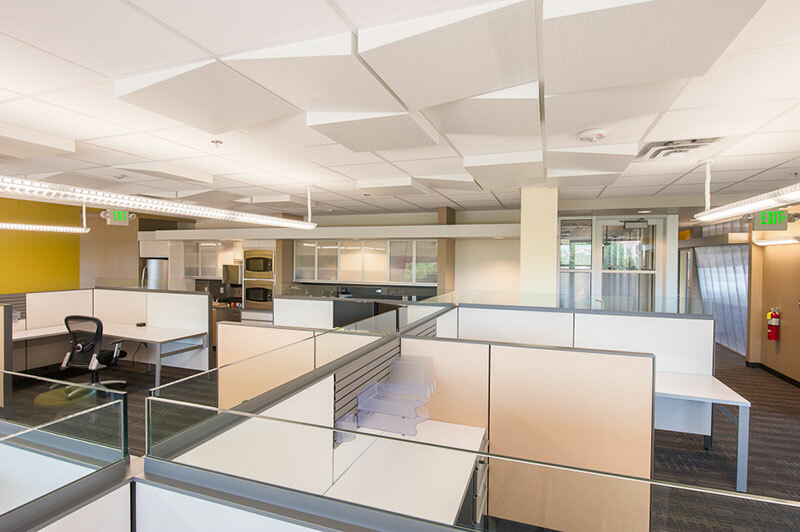 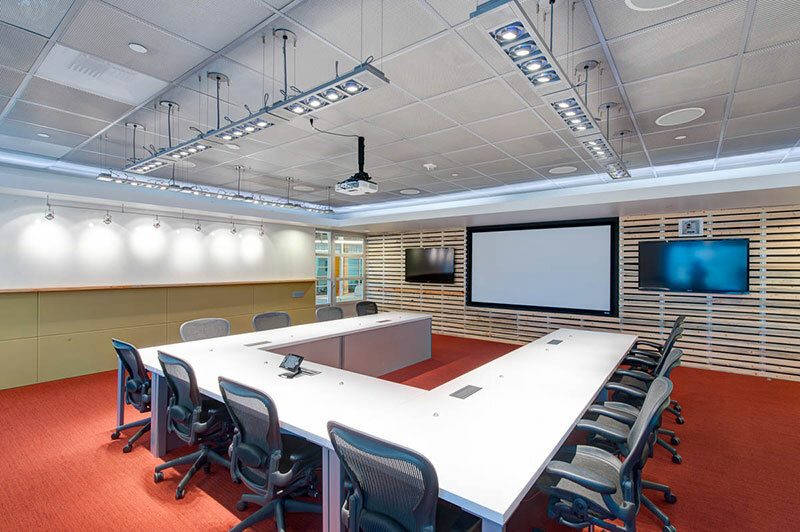 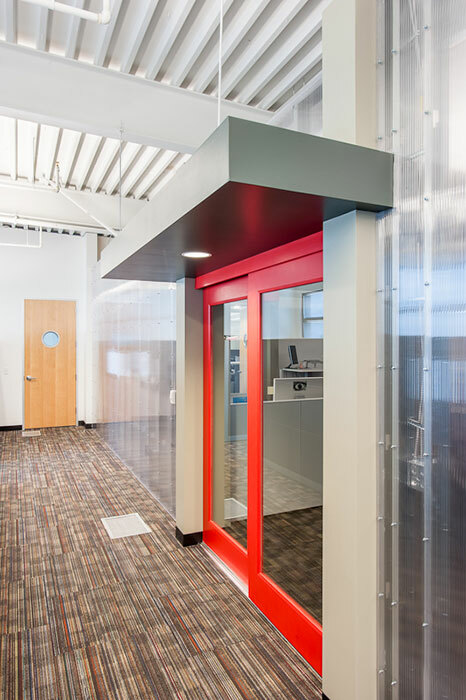 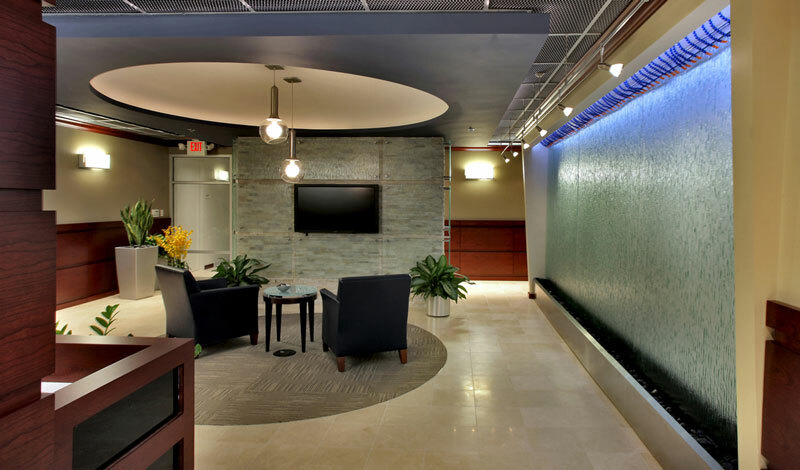 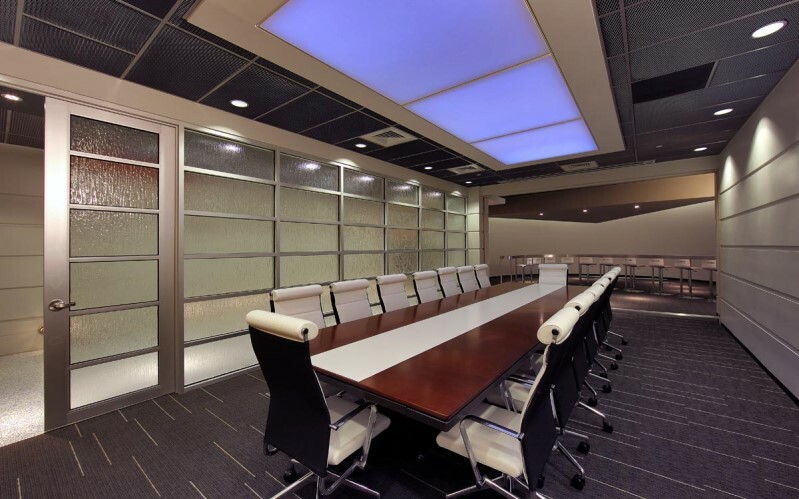 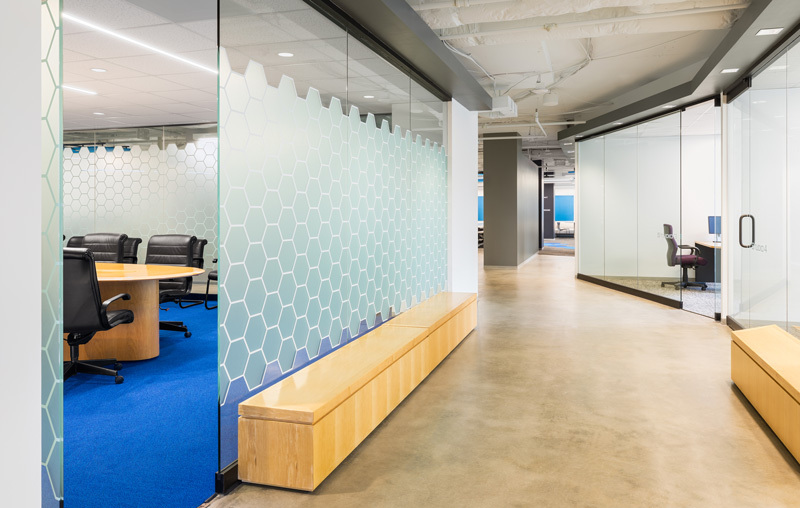 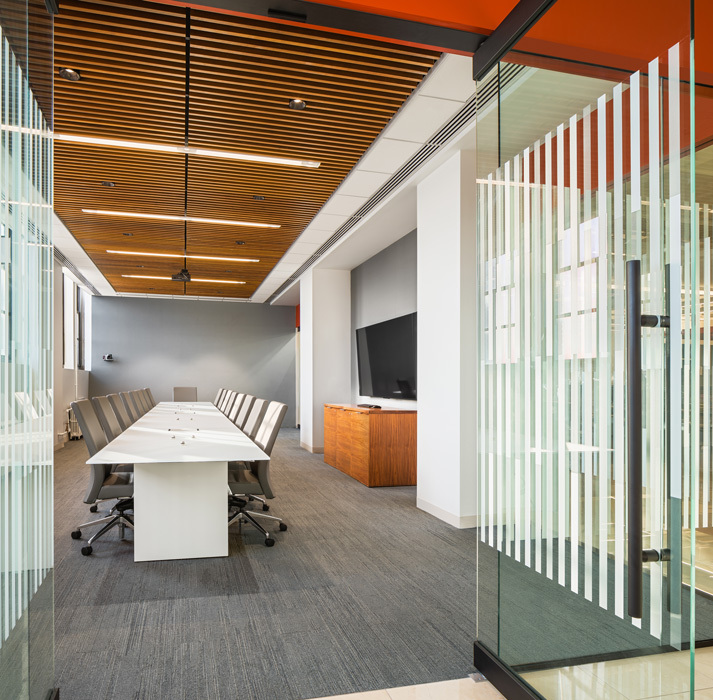 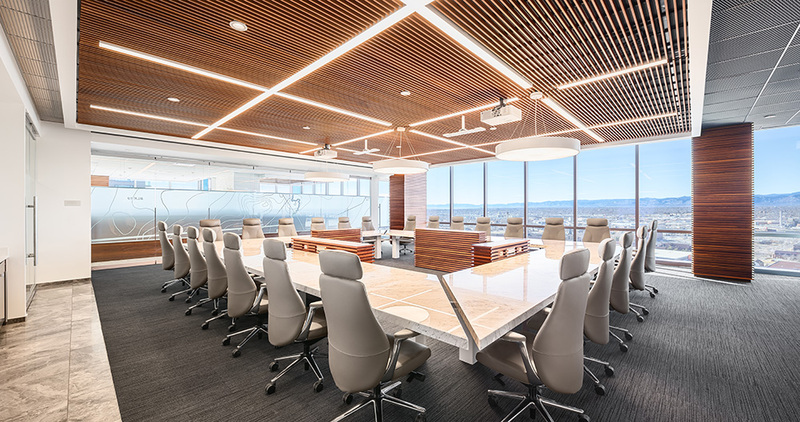 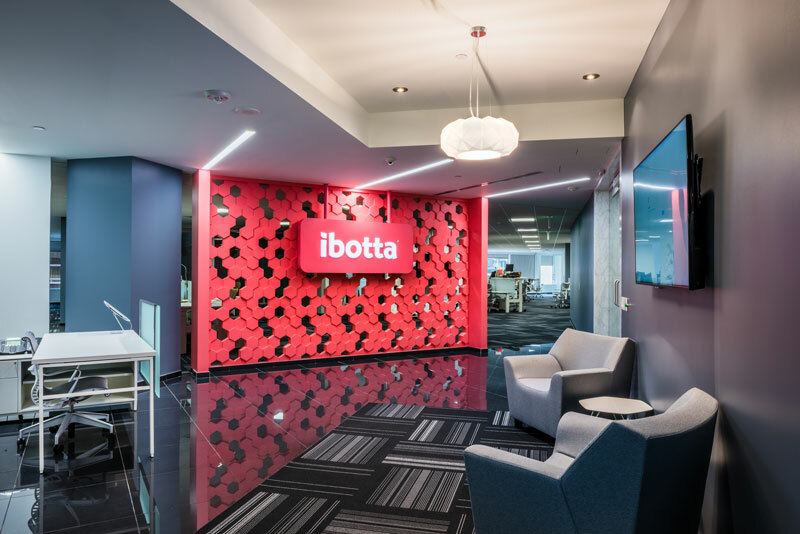 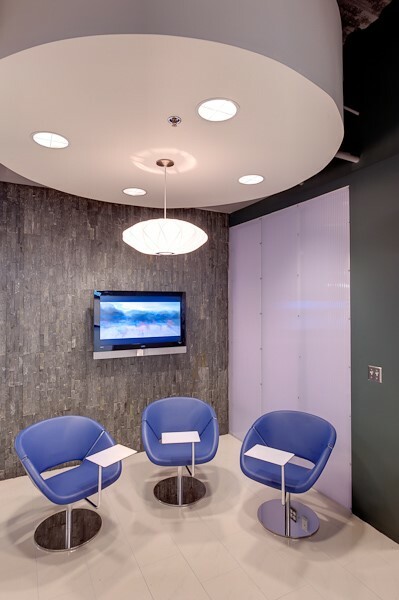 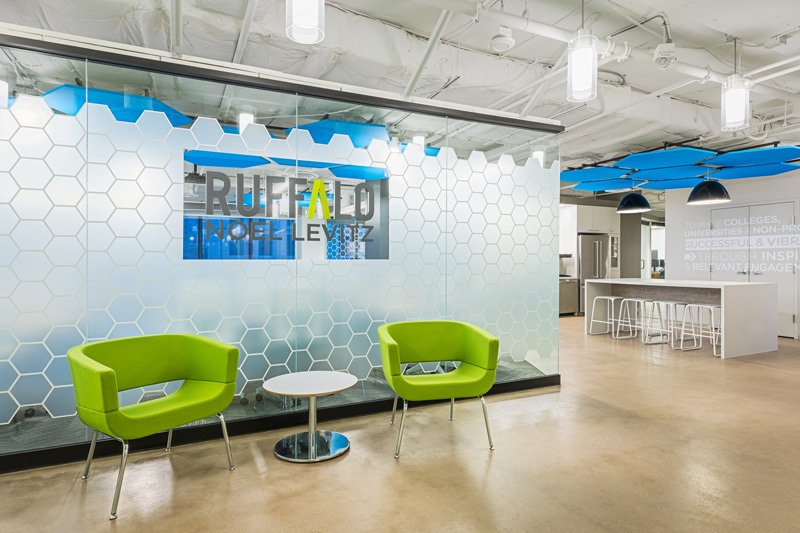 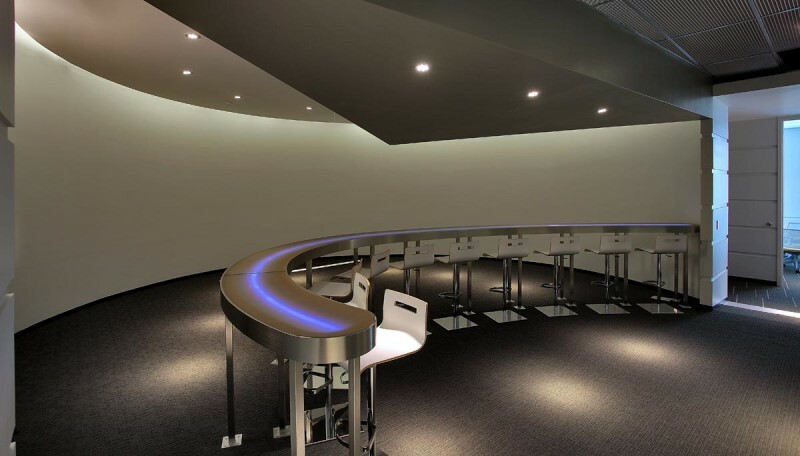 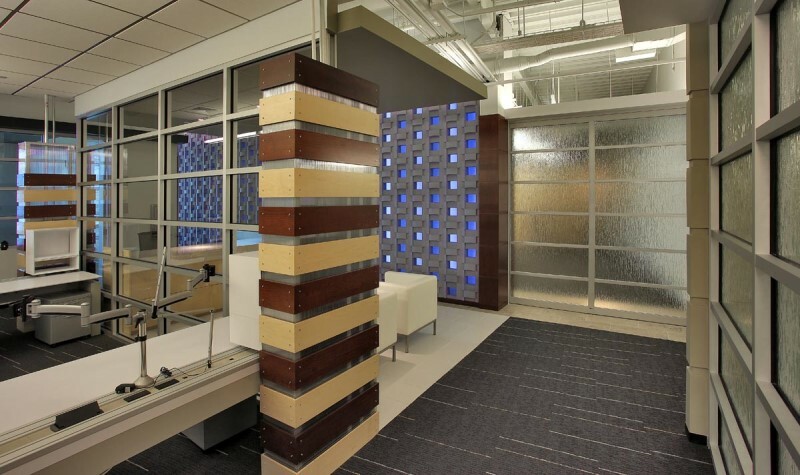 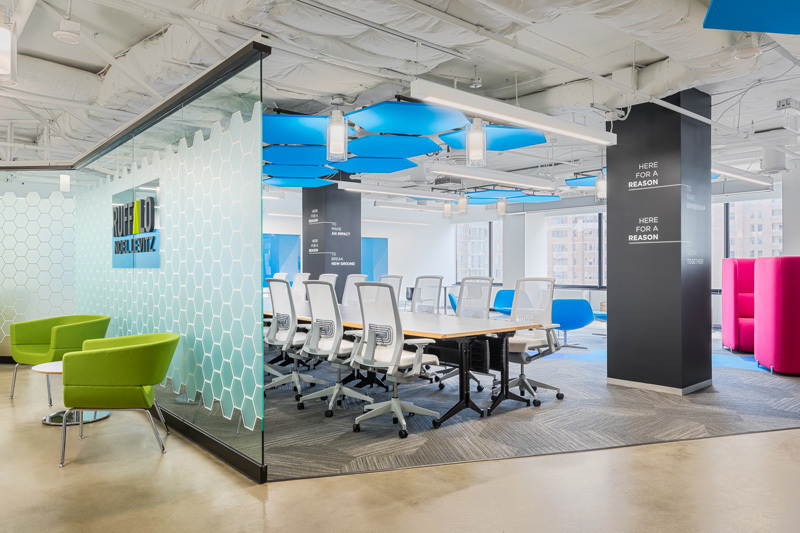 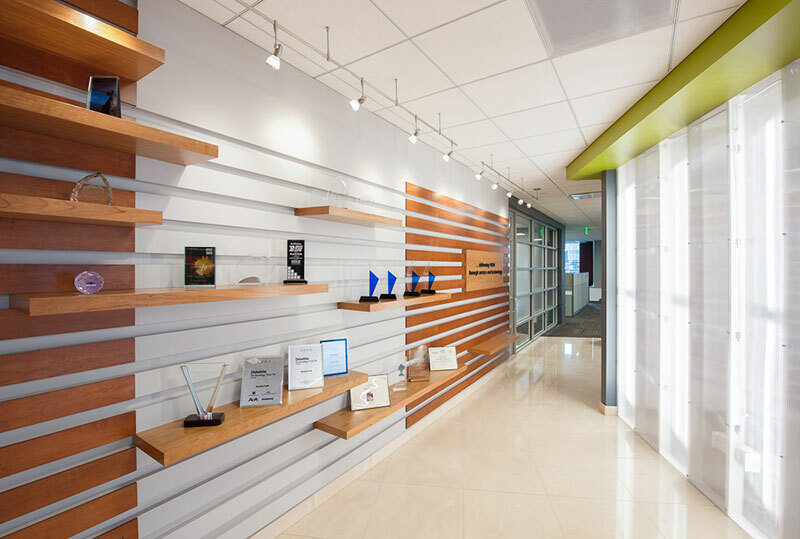 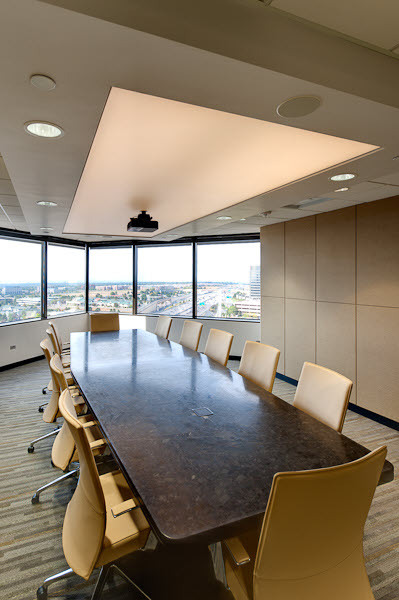 Our comprehensive approach ensures our clients a hands-on project management, along with state-of-the-art technology, drawing on over eighty combined years of experience in architecture, interior design and project management to serve our business relationships. 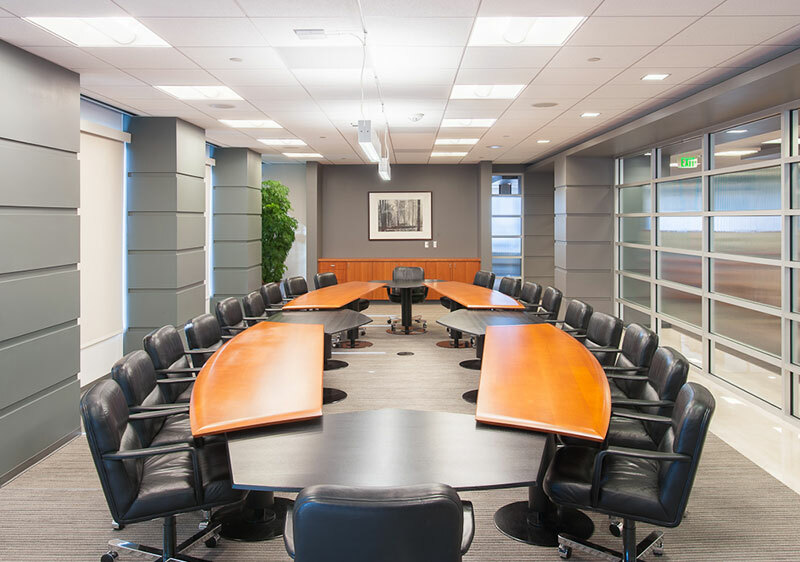 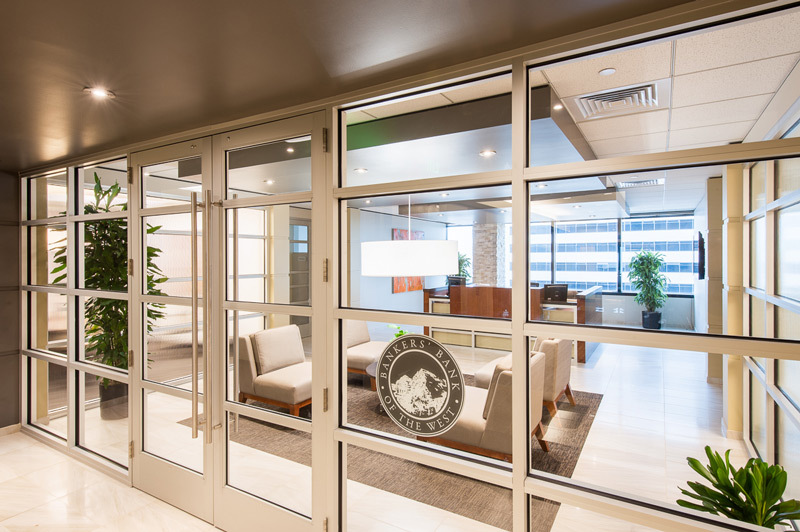 Our principals have represented clients ranging from 200,000 square foot corporate headquarters facilities to 1,000 square foot law firms. 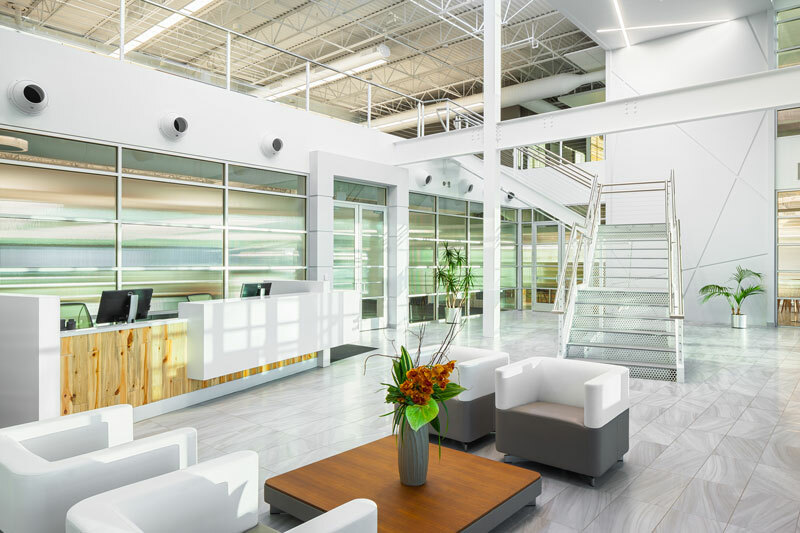 A view of our client list demonstrates our versatility, diversity (representing office, governmental, medical, industrial, and retail clients) as well as our competence. 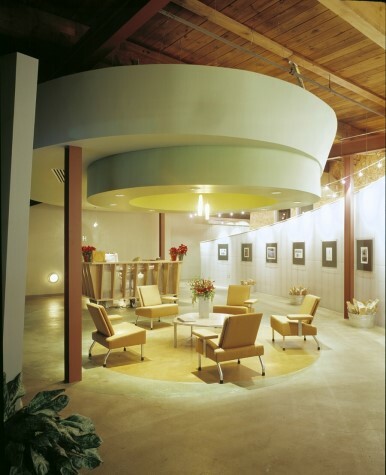 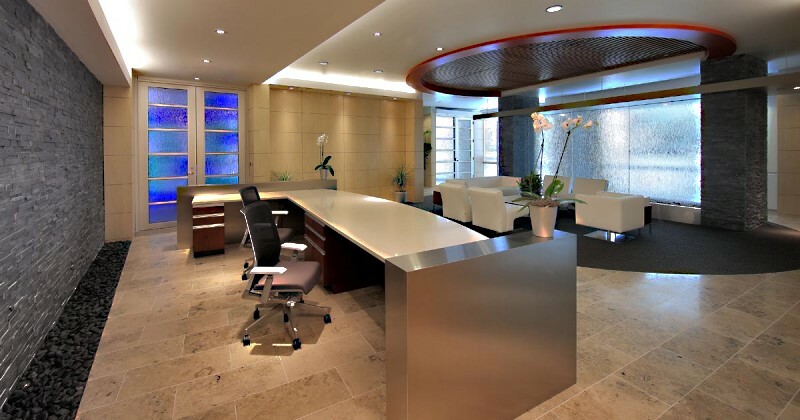 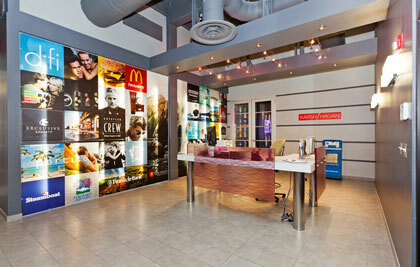 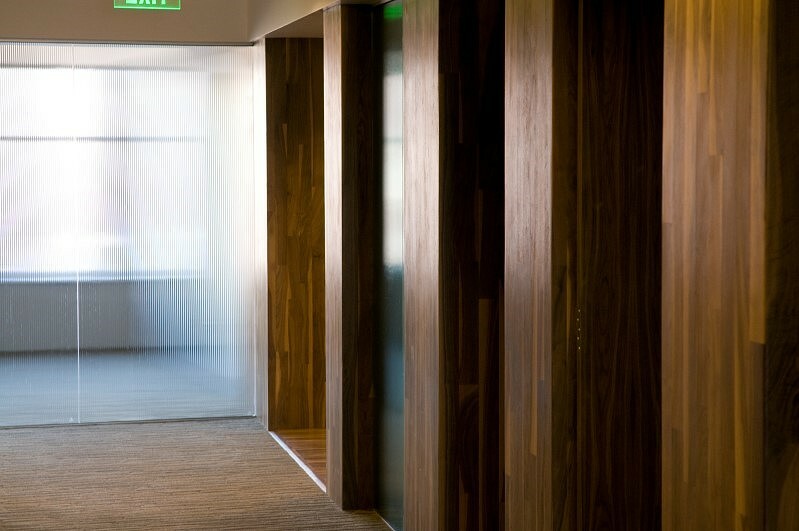 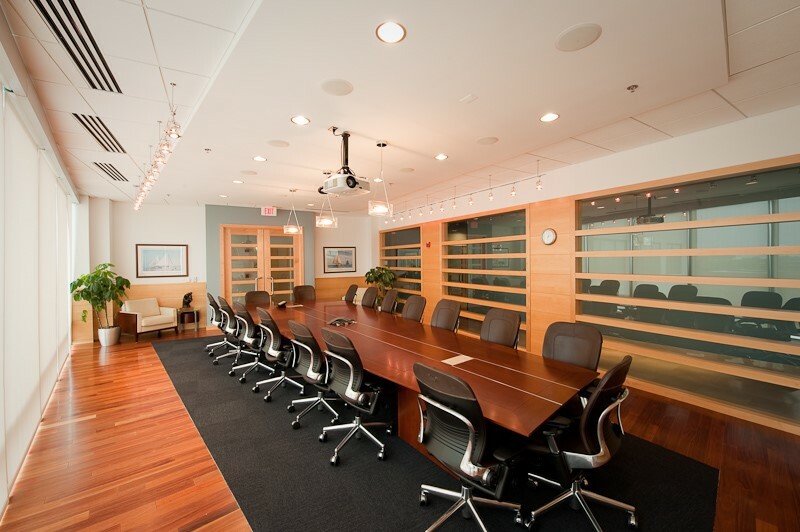 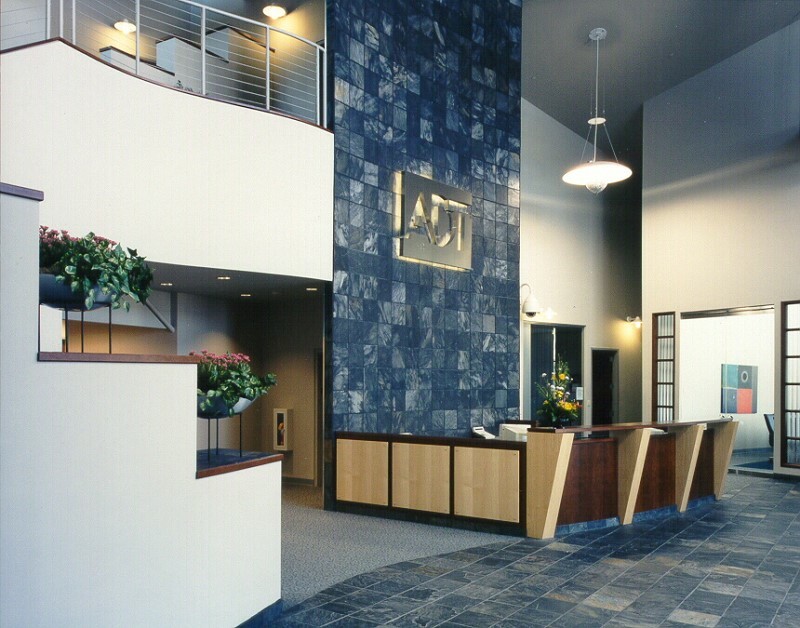 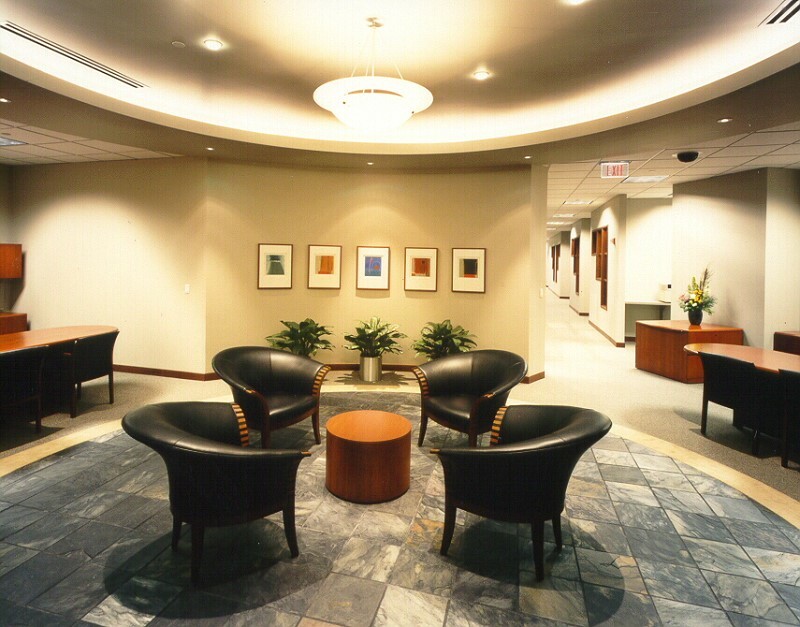 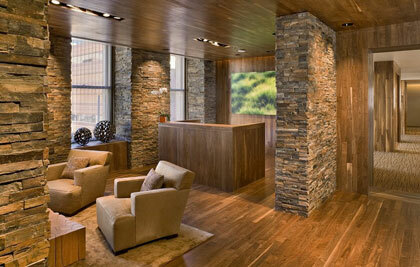 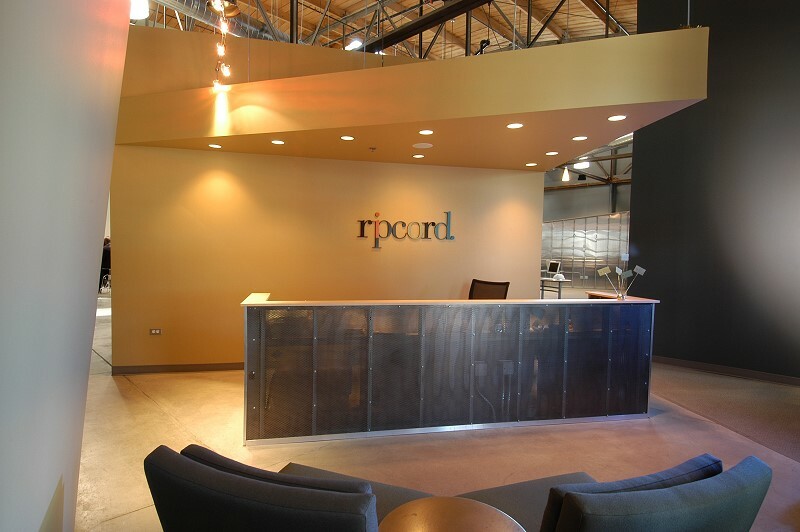 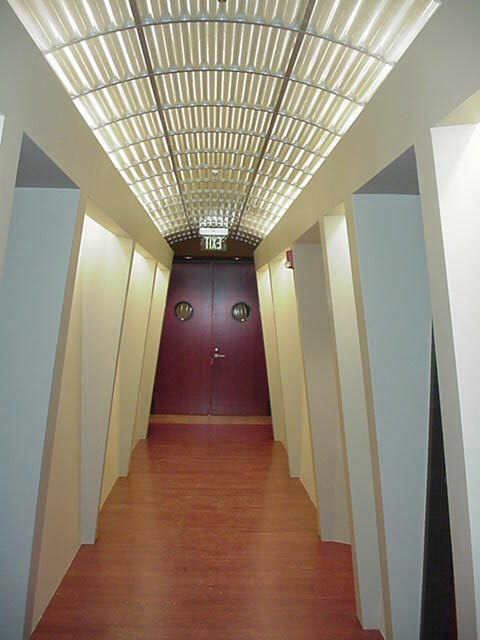 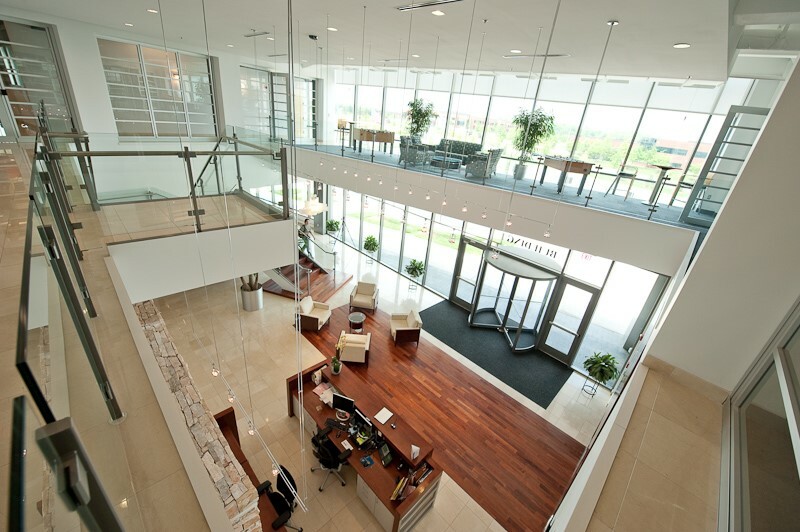 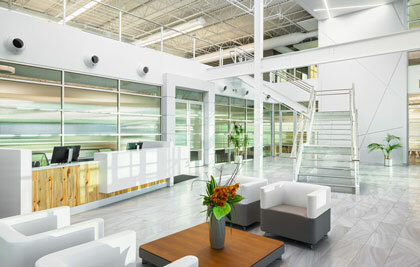 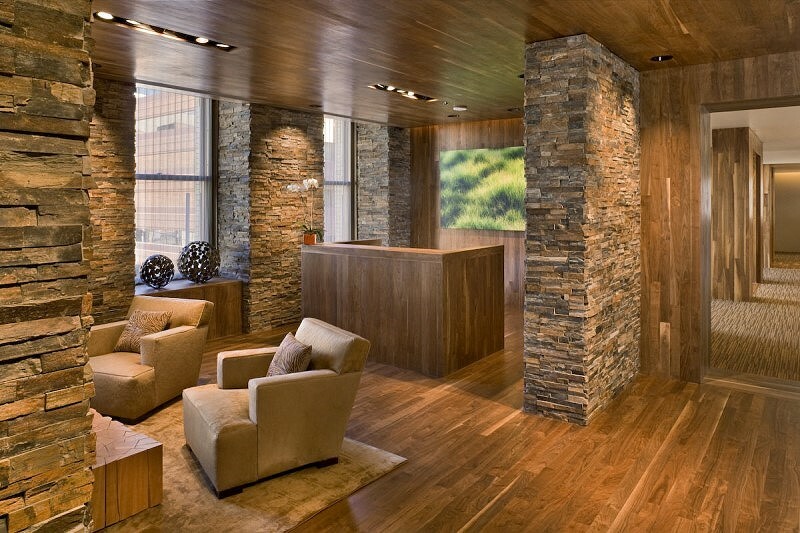 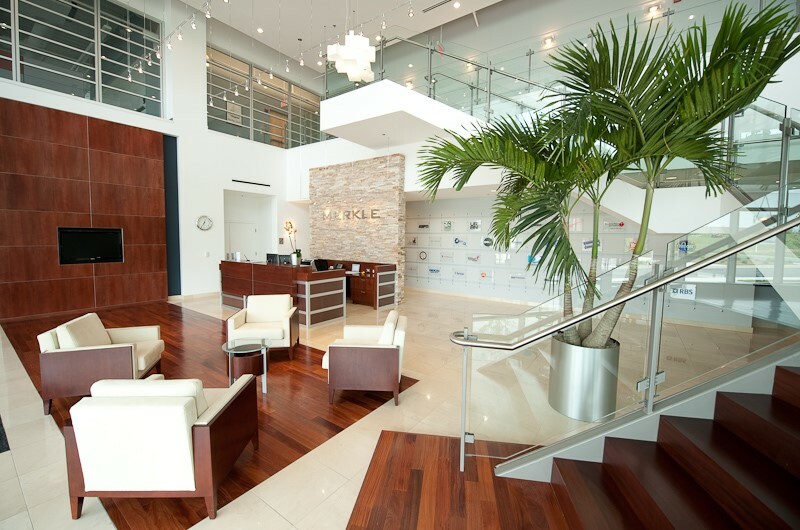 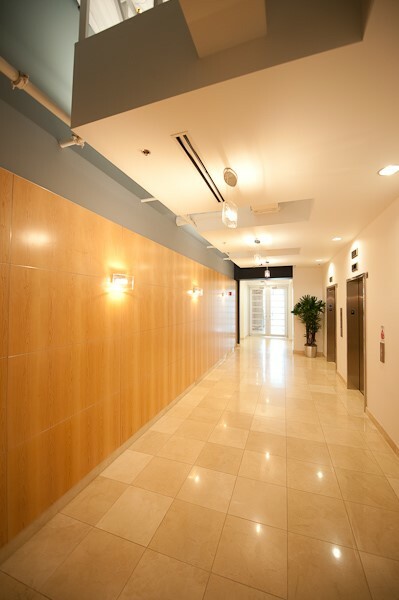 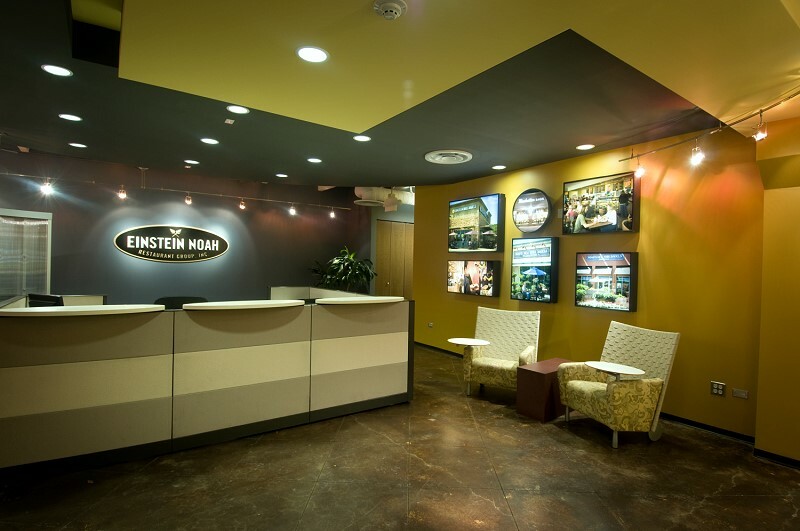 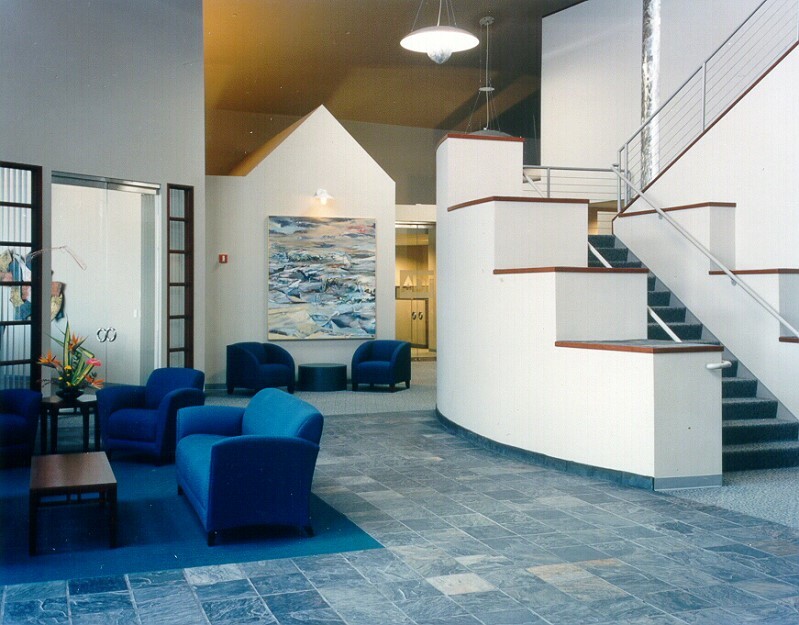 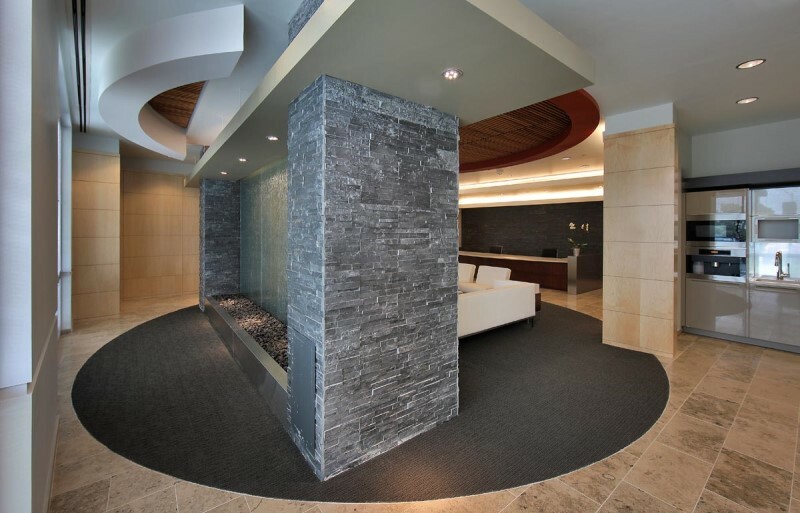 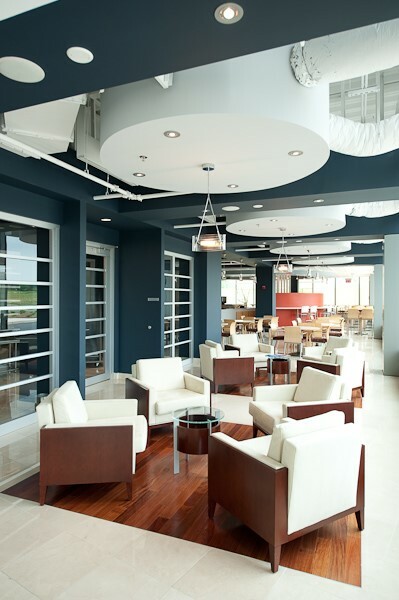 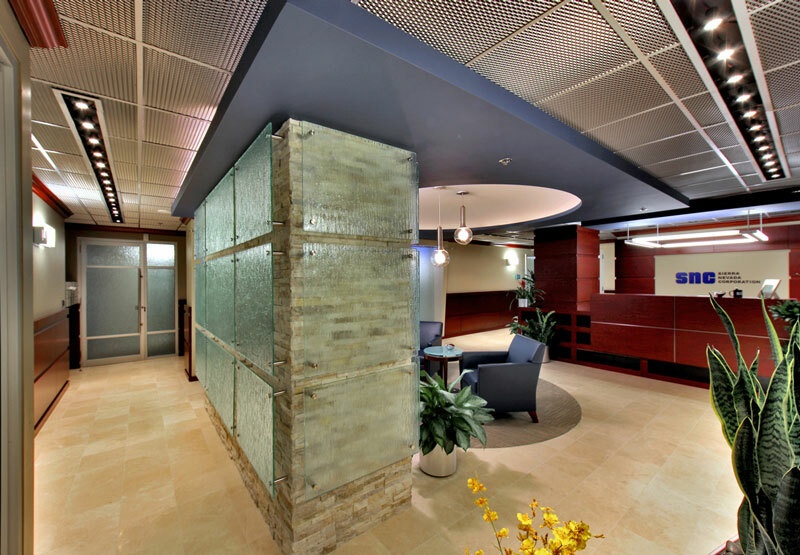 Our focus is to represent tenants and buyers of commercial real estate in an honest, direct, and proficient manner. 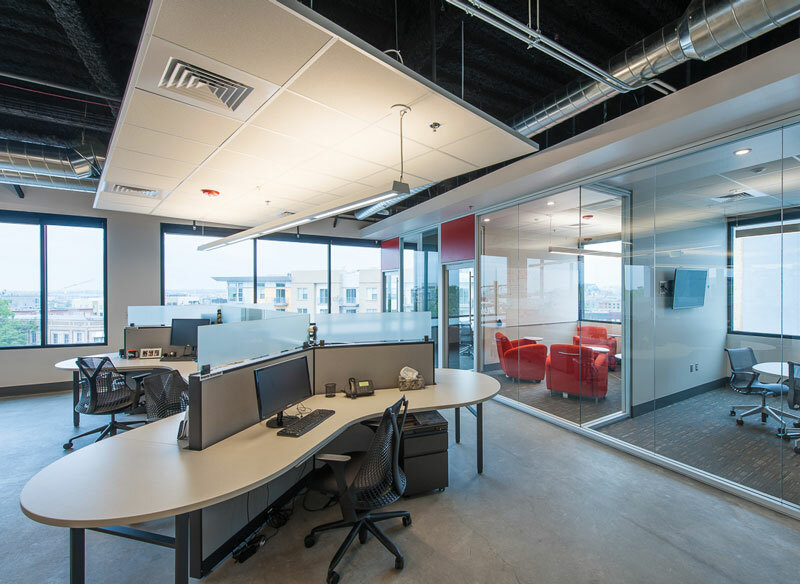 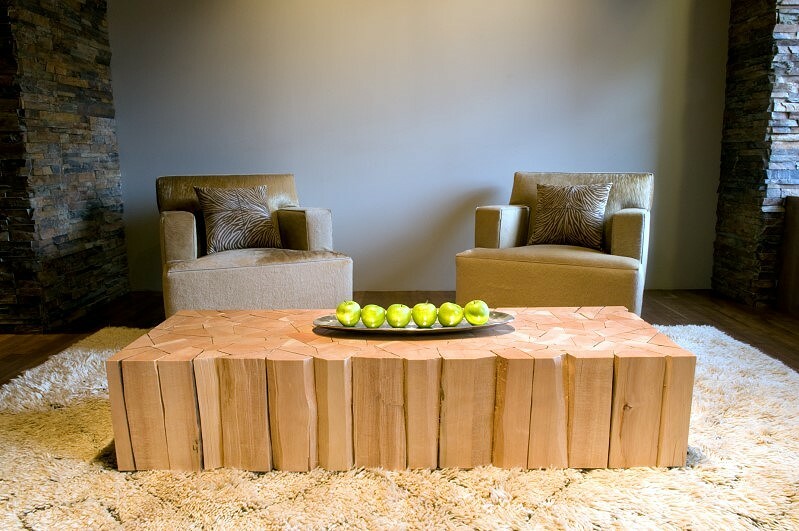 Our expertise, market knowledge, responsiveness, and attention to detail in each project is equal to the responsibility with which our clients entrust us. 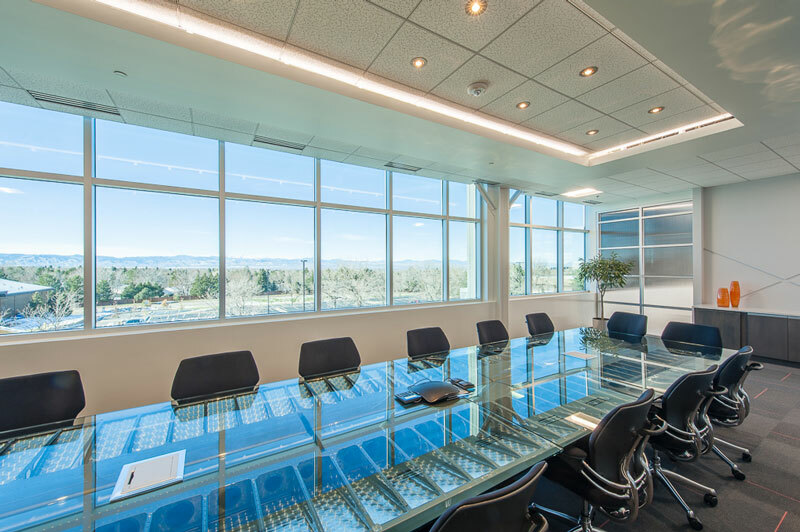 In support of your real estate representative, we concentrate on areas of the lease where landlord costs and contributions are subject to negotiations. 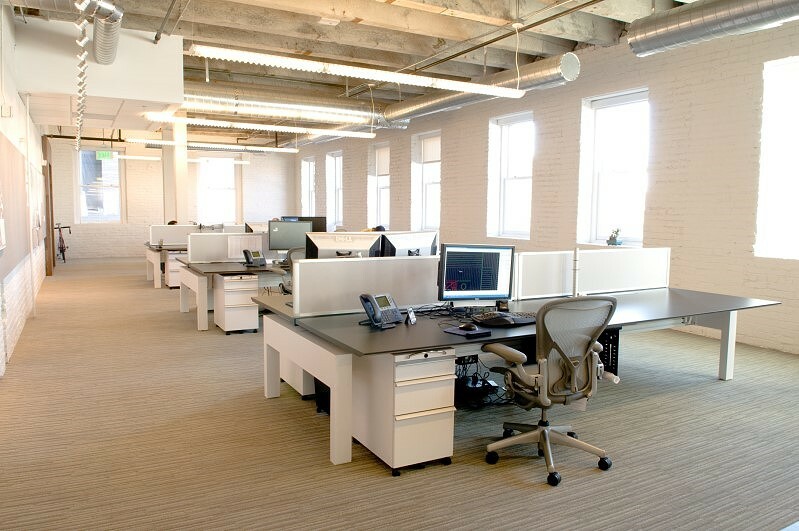 As a result, we often are able to lower costs over the life of the lease, leading to significant rent reductions. 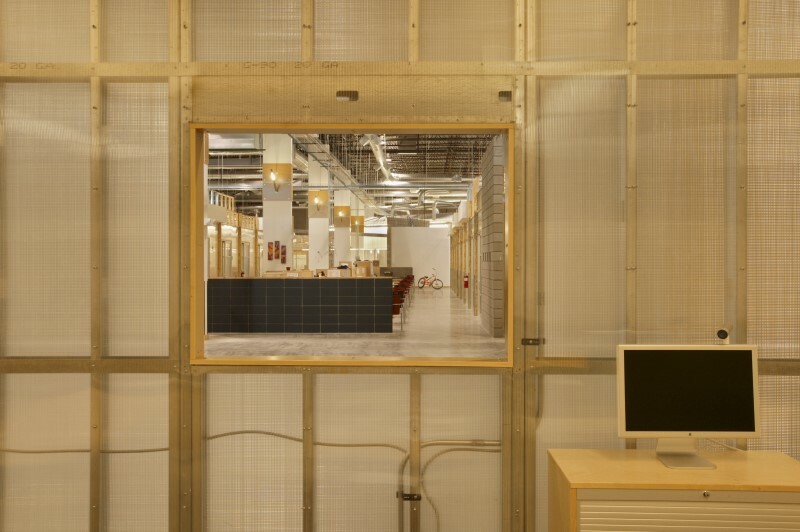 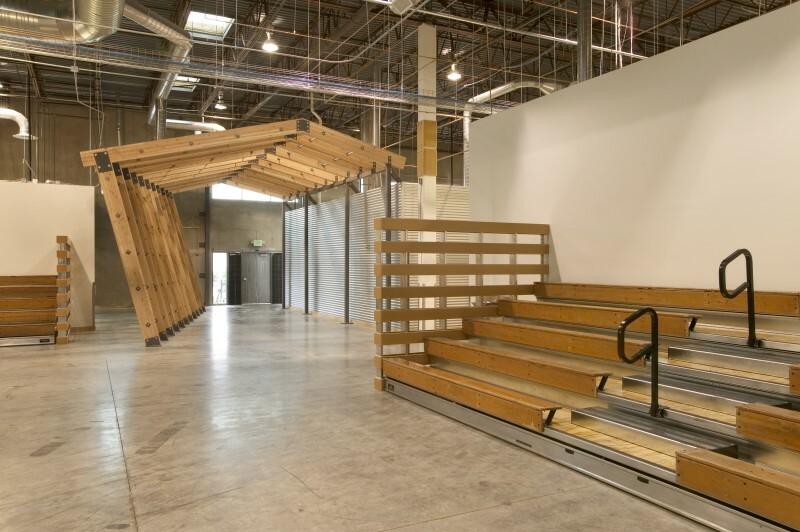 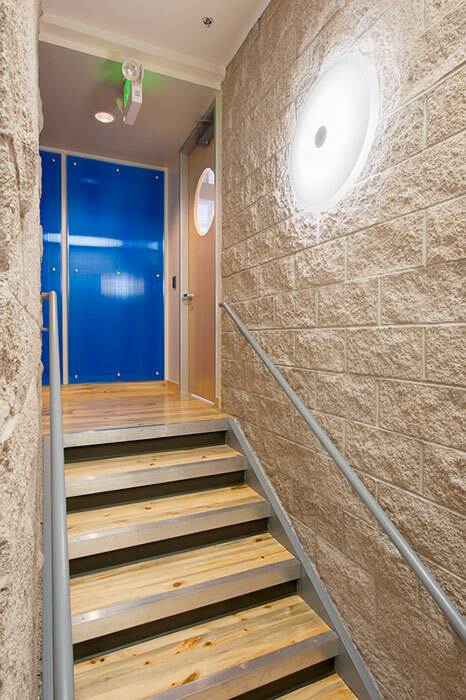 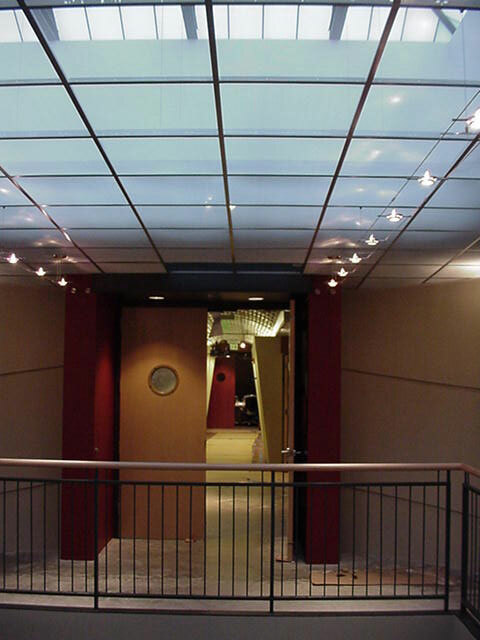 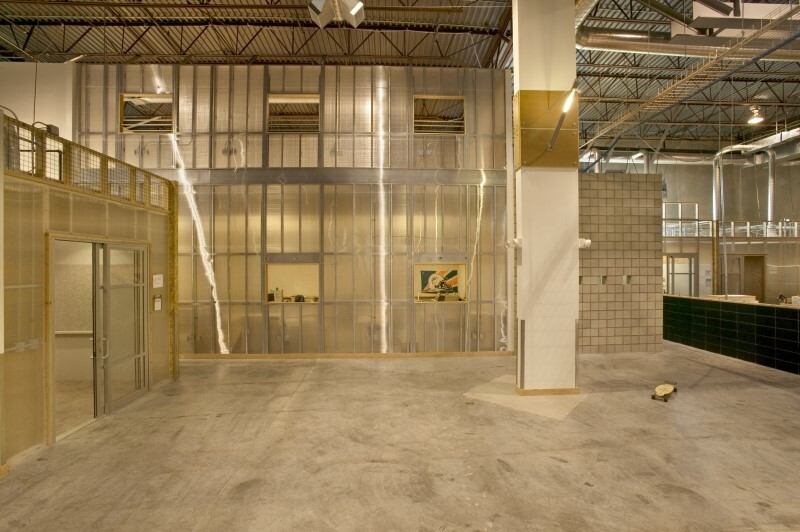 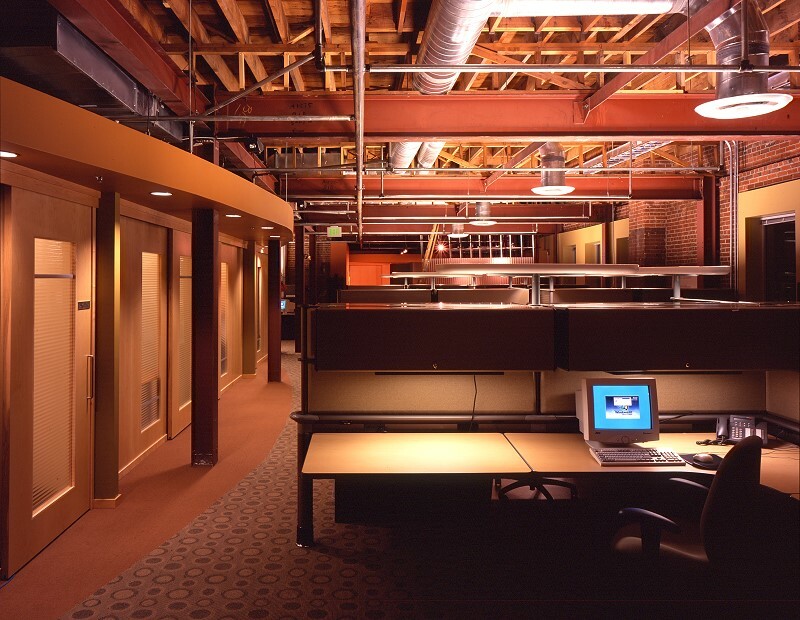 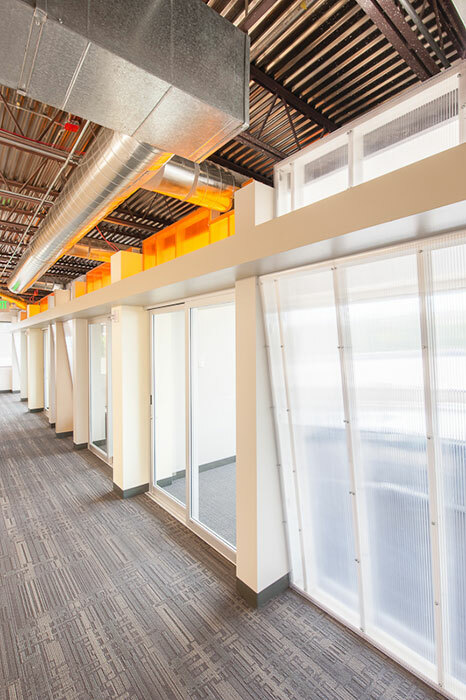 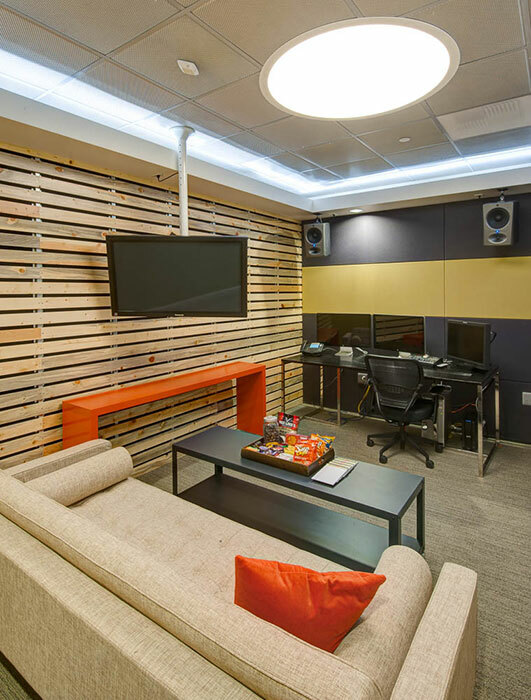 Working with Studio B2SJ means when you find the right space, we often can uncover considerable savings in overall construction costs because we know the market and we're experienced at identifying and negotiating out the hidden costs that can be buried in process. 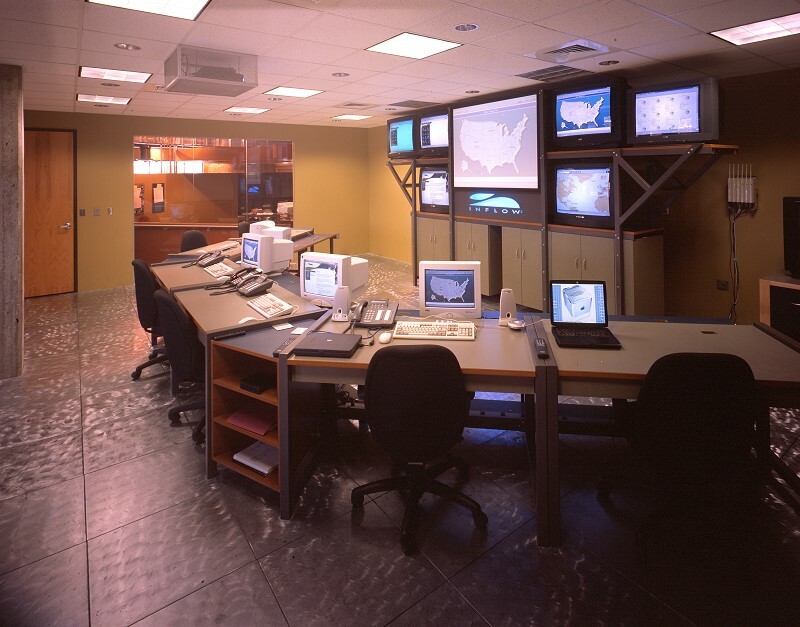 We're on your side. 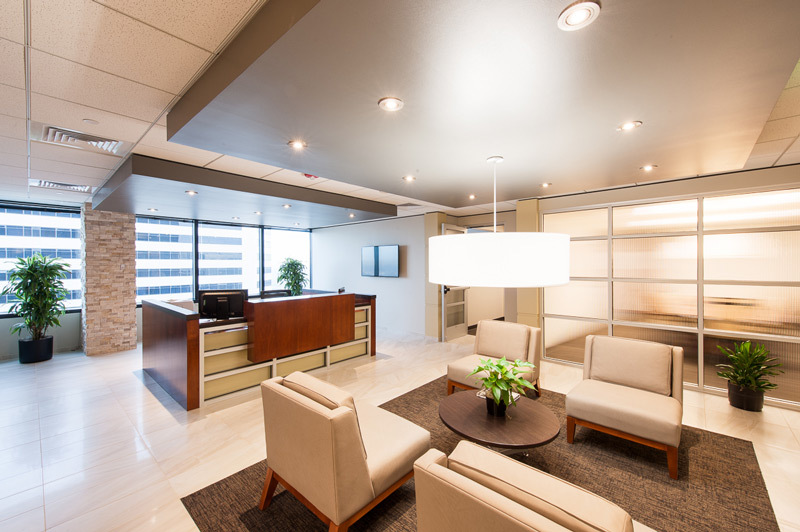 We're a Tenant Representation firm, which means we work exclusively for you when supporting your lease negotiations with building owners or managers. 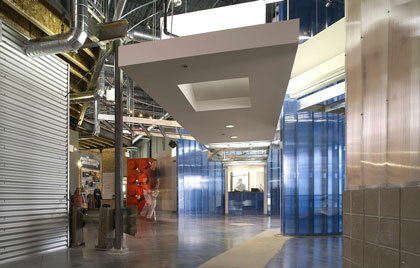 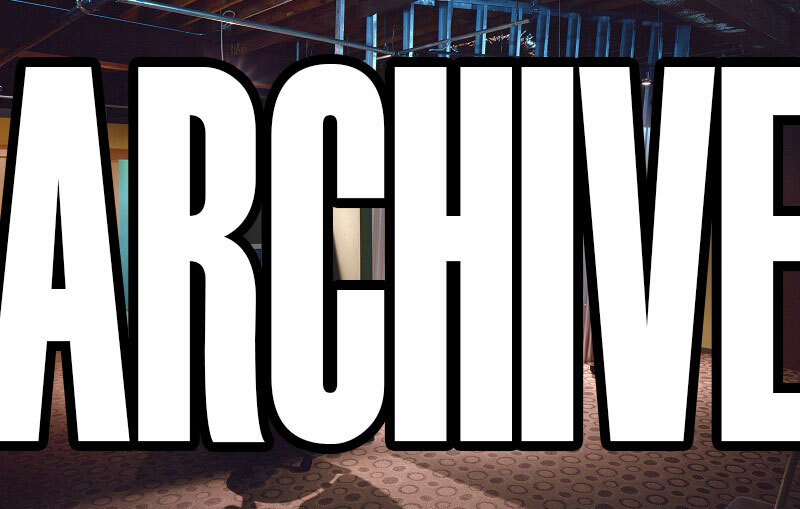 We know this marketplace inside and out. 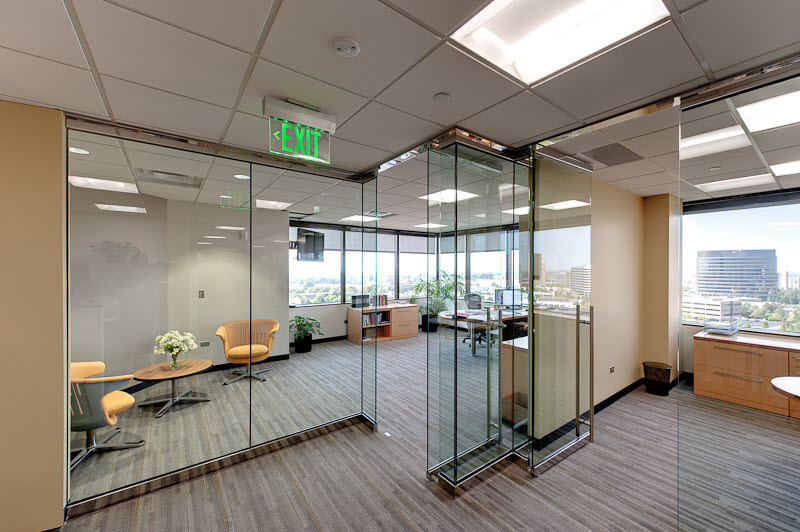 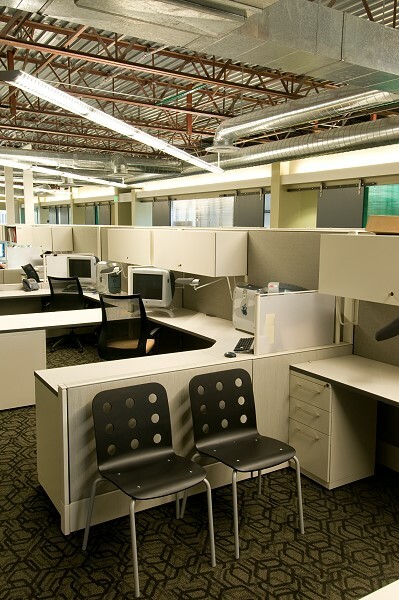 And because we work to understand your needs and preferences, we frequently are able to save you time and money because we are experienced in finding solutions to make your workplace more efficient. 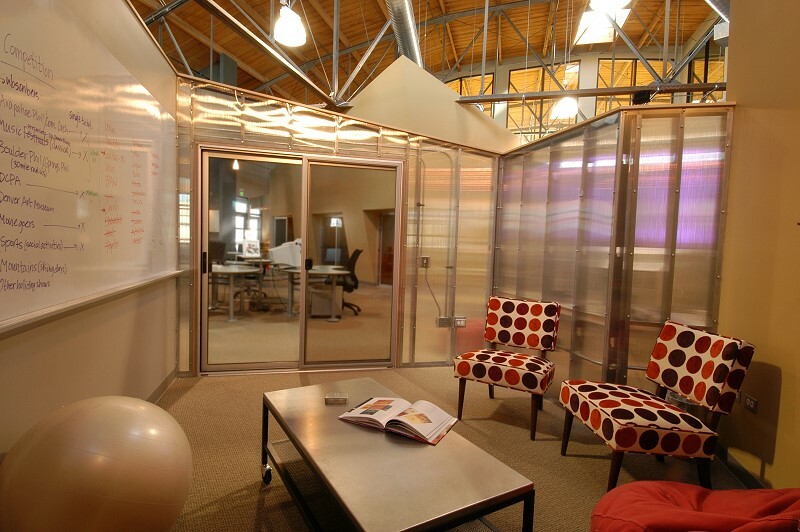 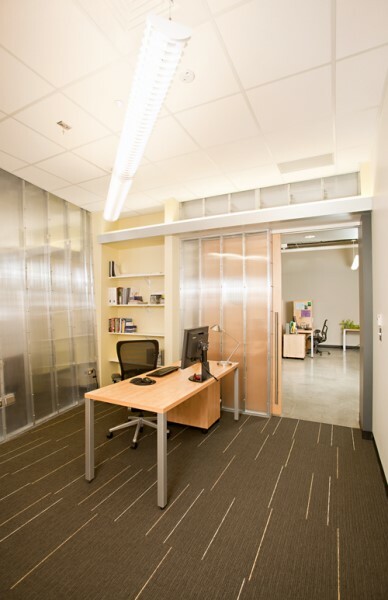 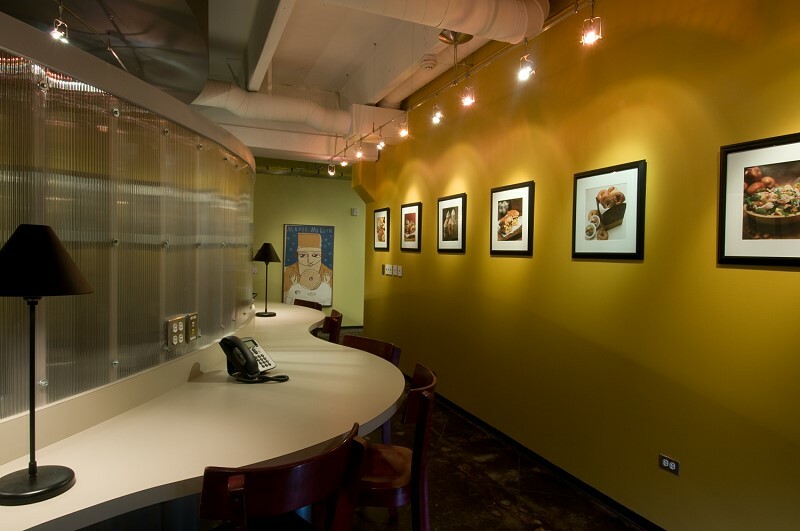 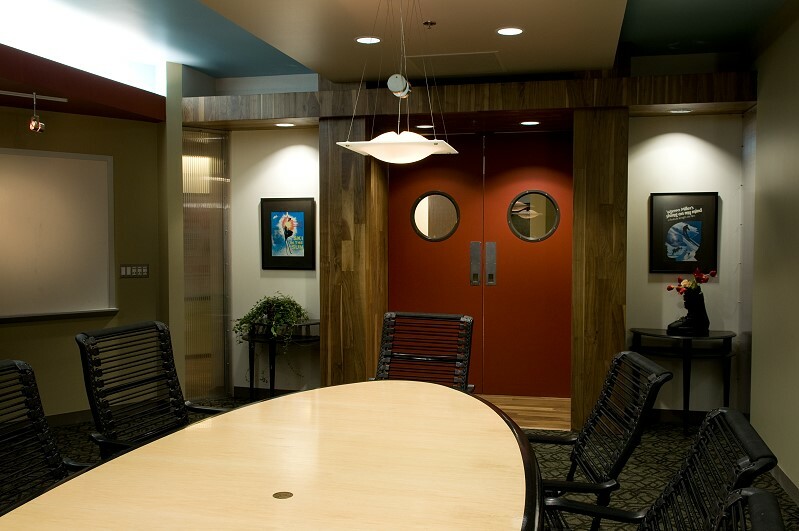 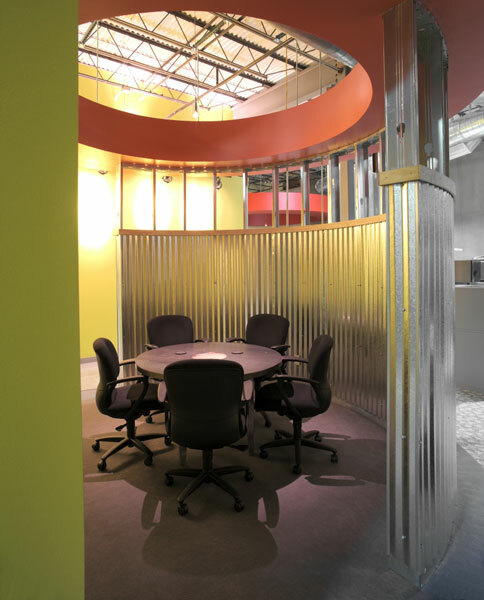 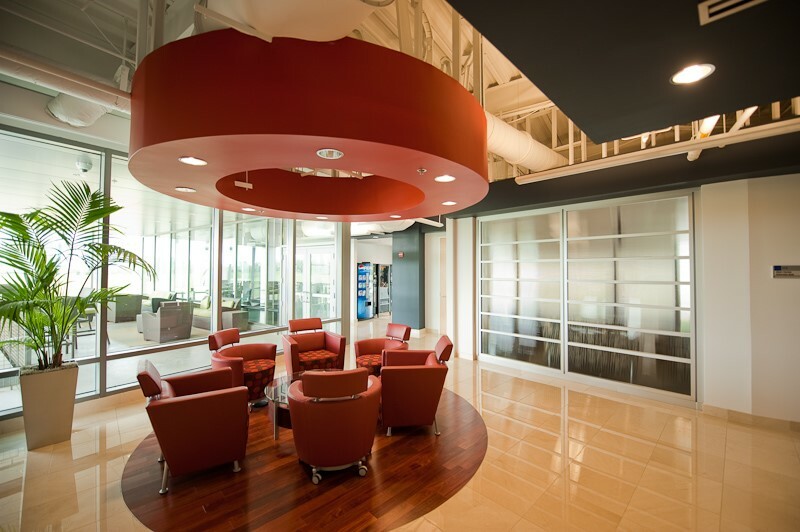 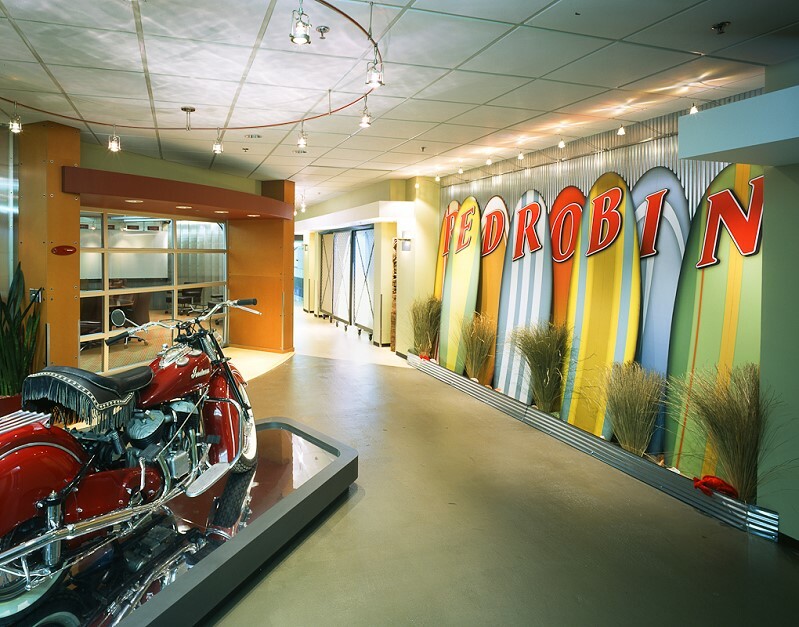 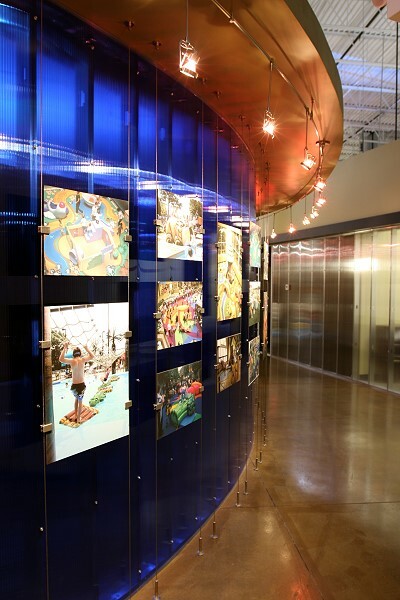 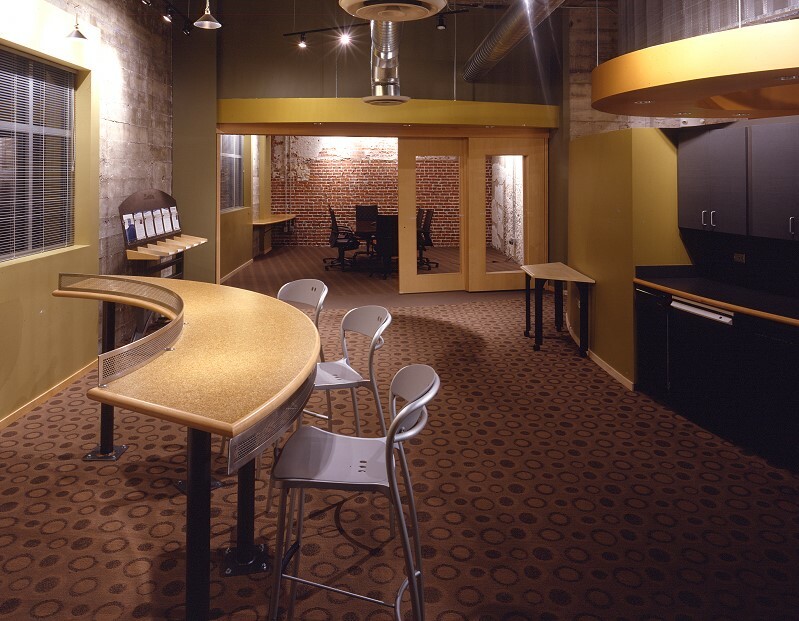 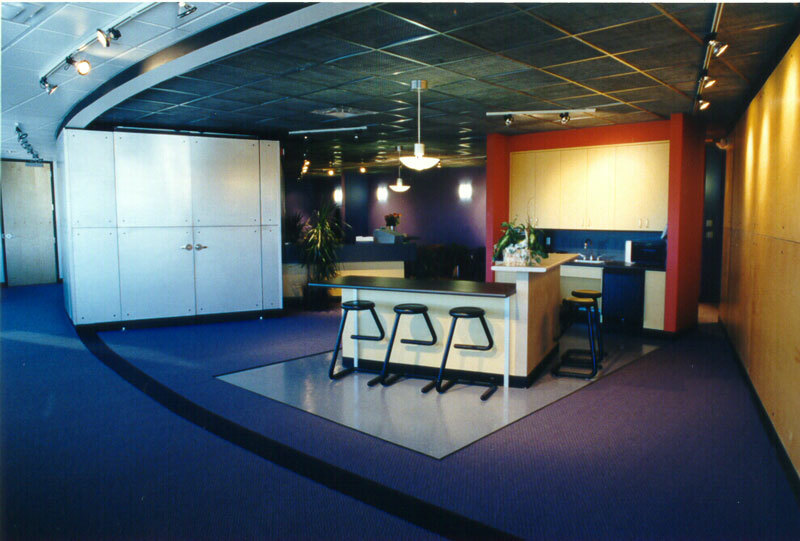 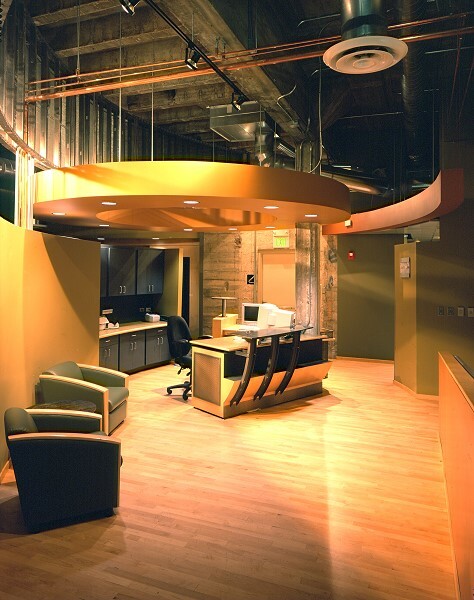 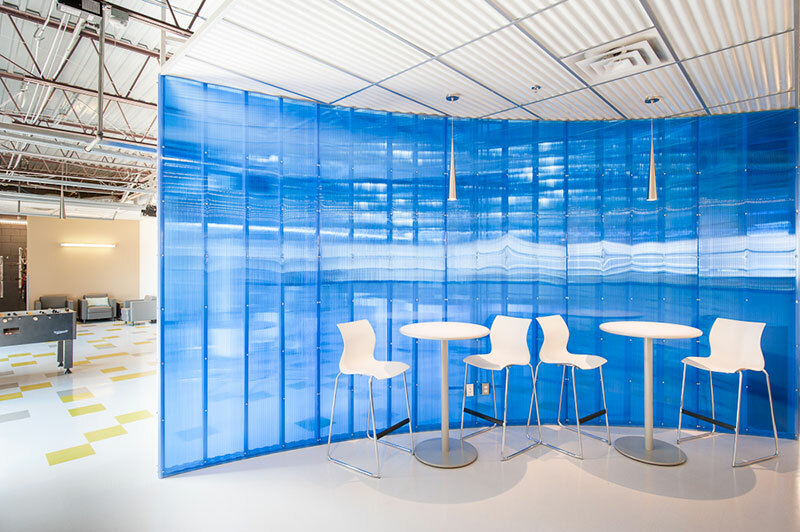 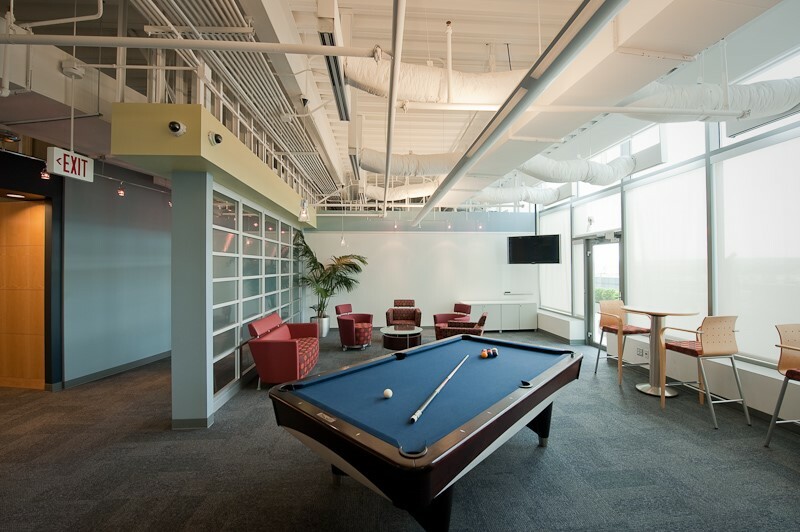 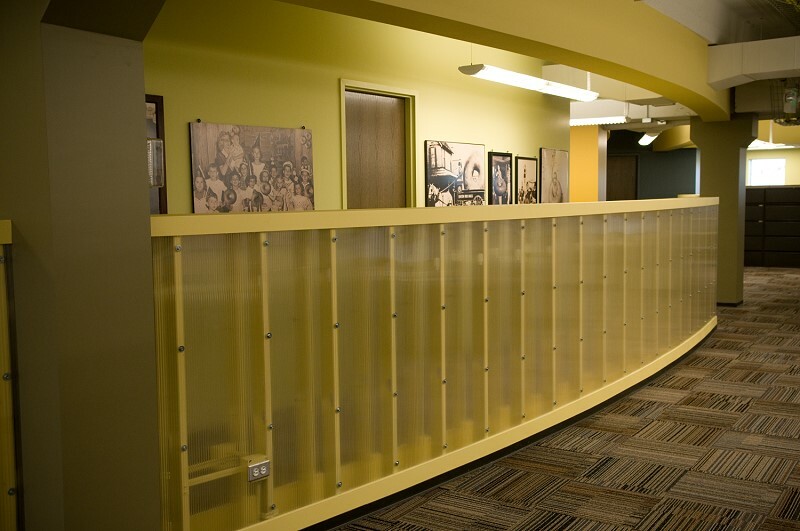 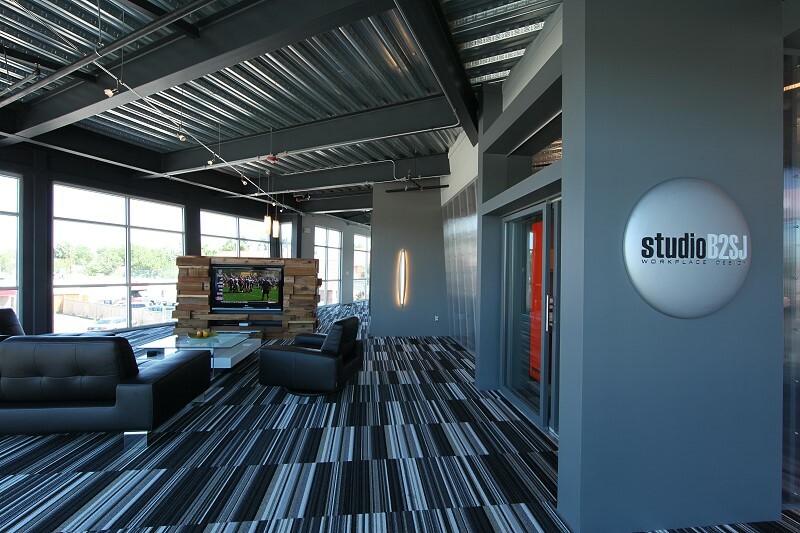 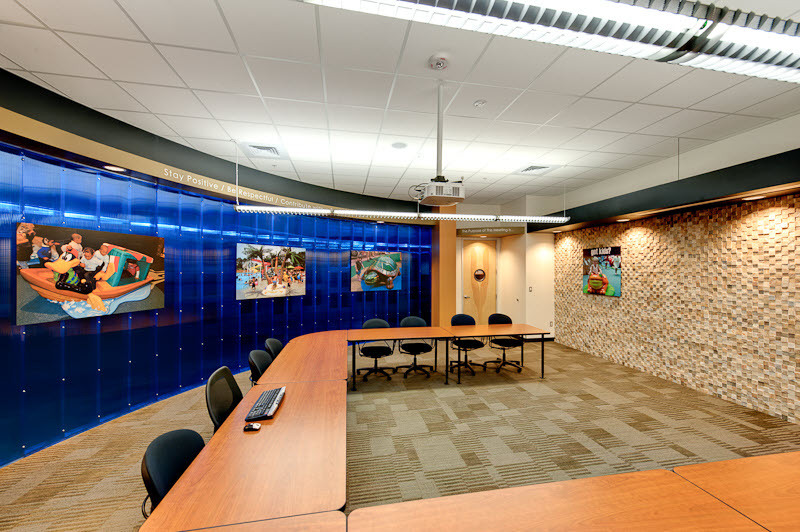 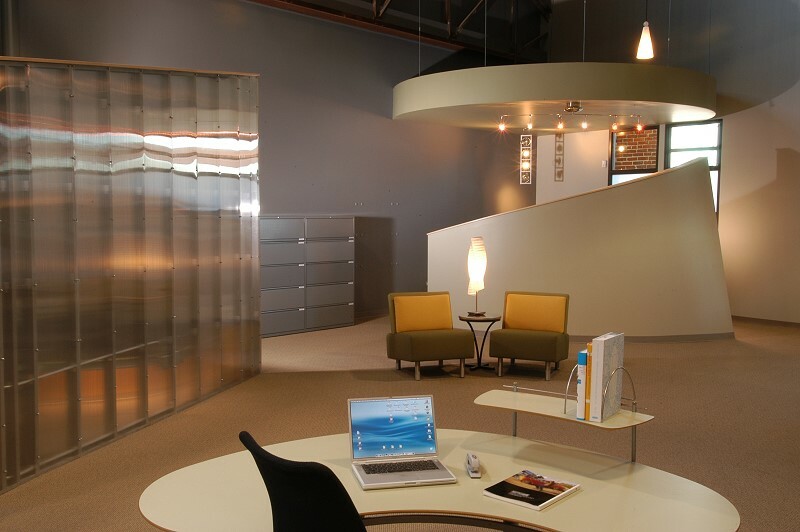 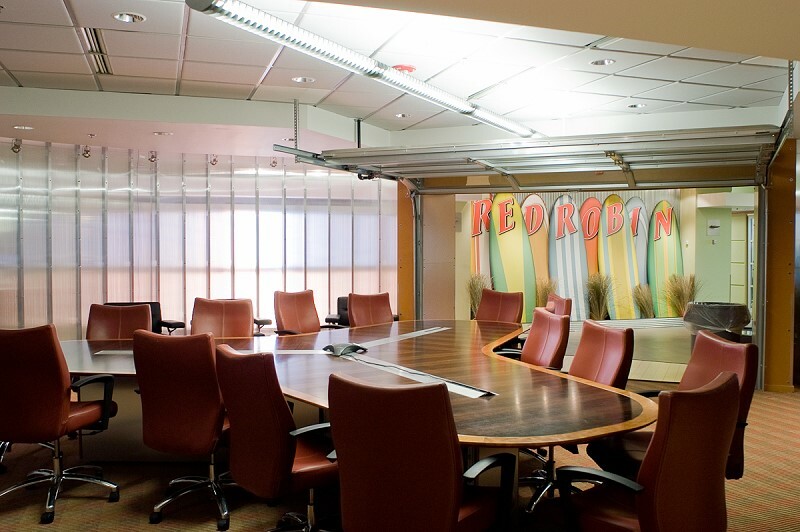 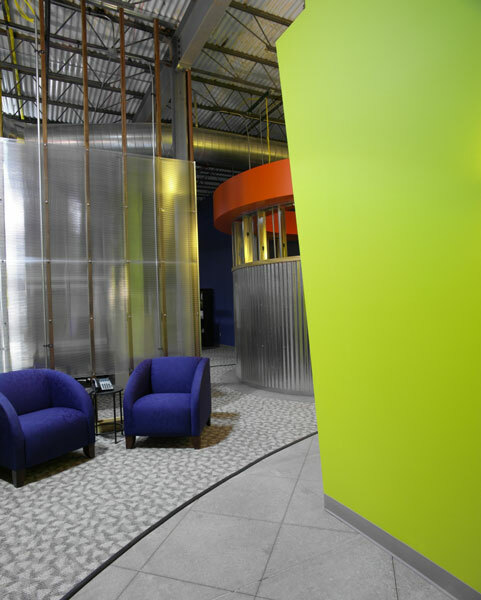 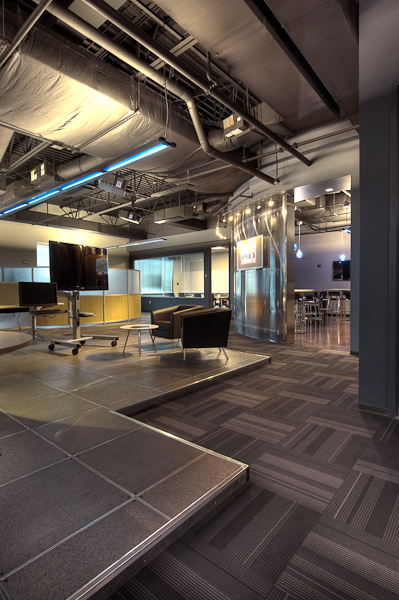 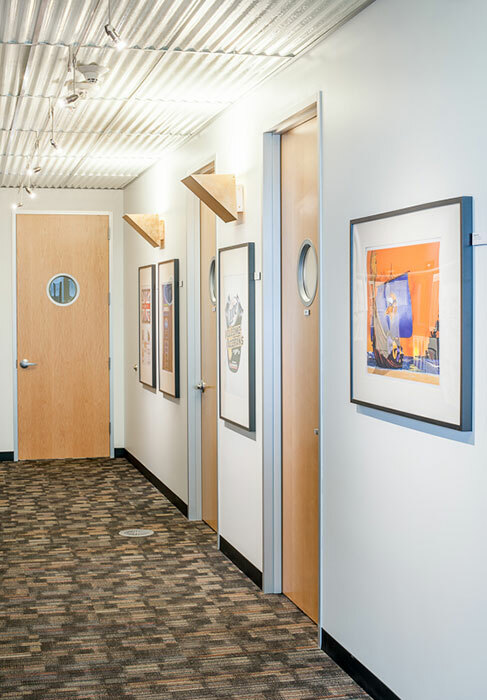 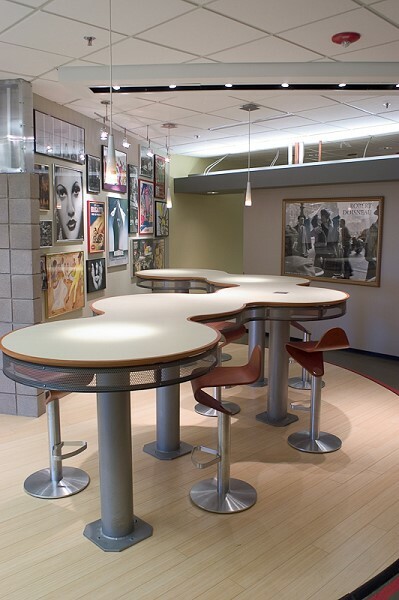 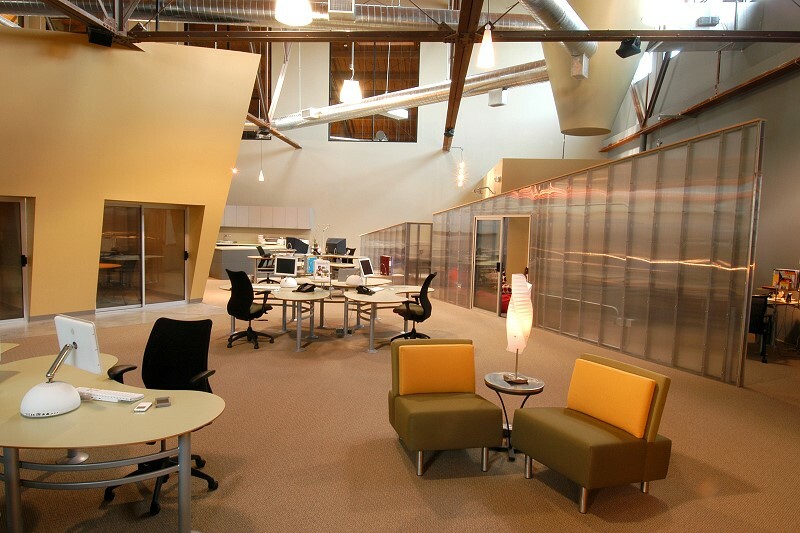 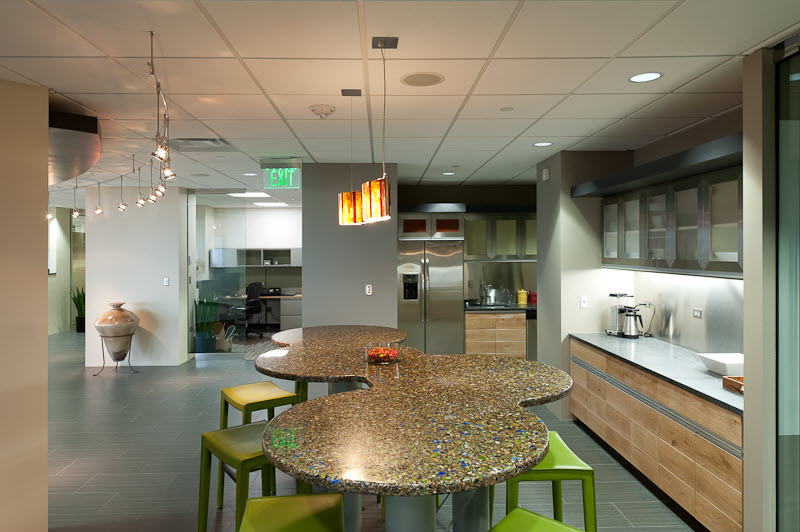 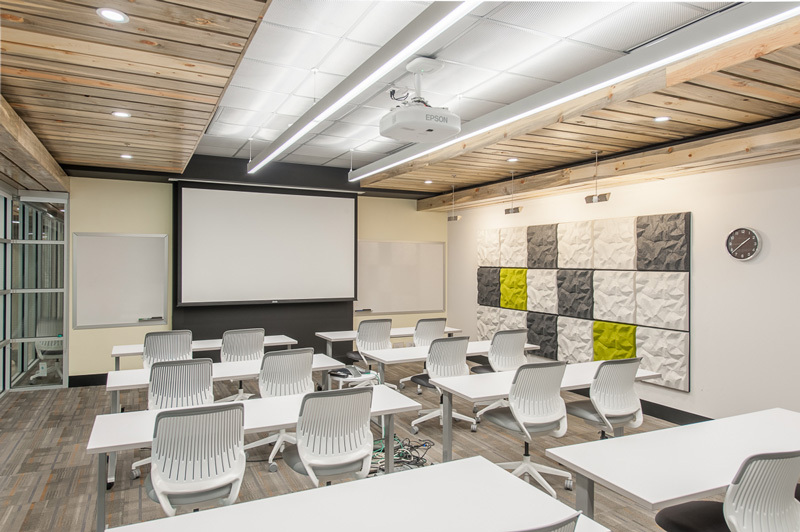 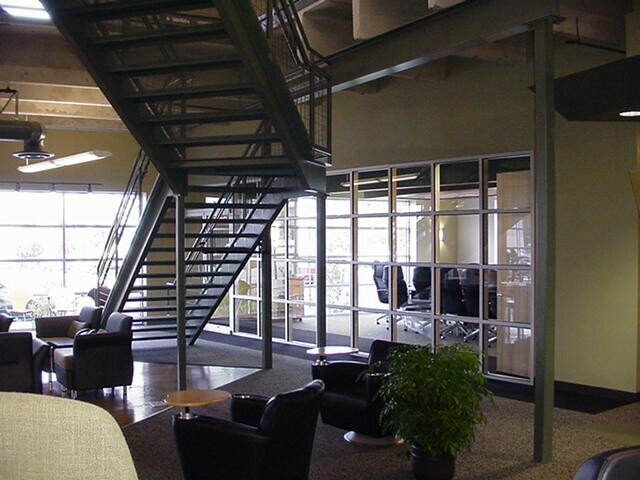 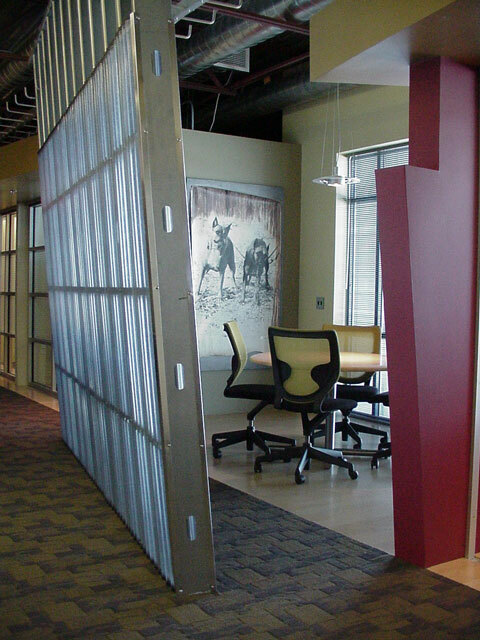 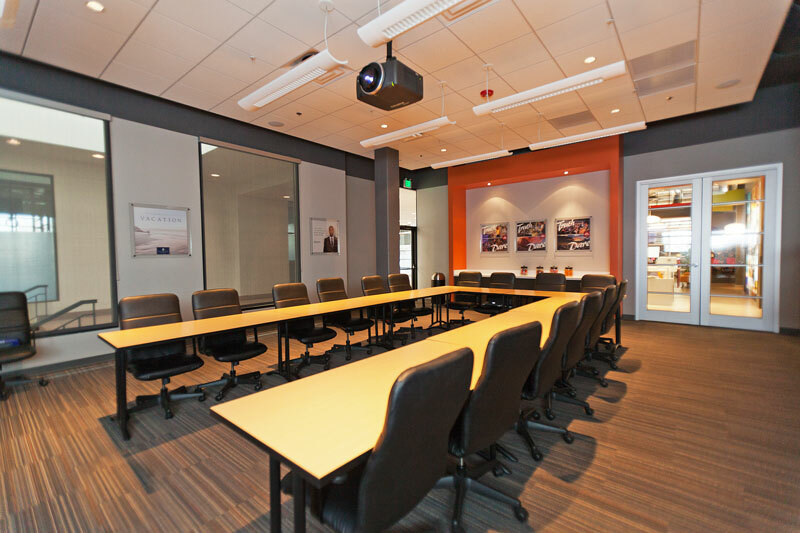 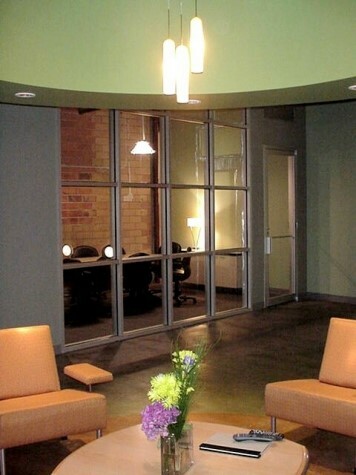 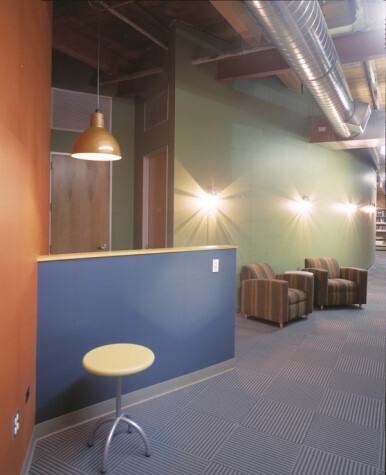 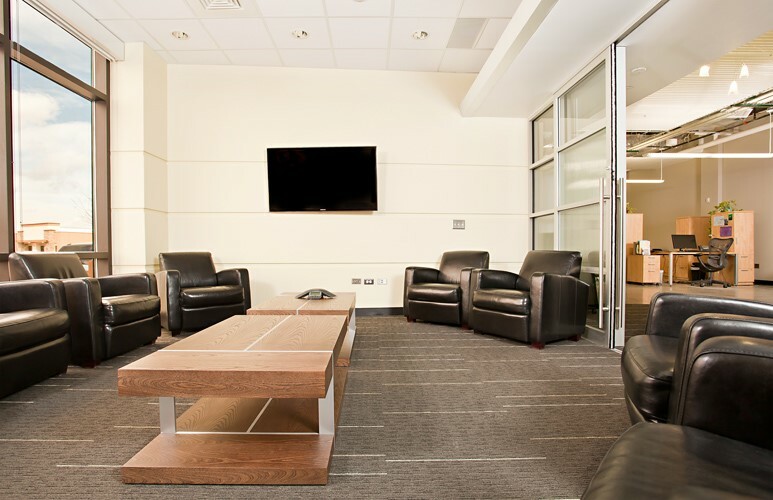 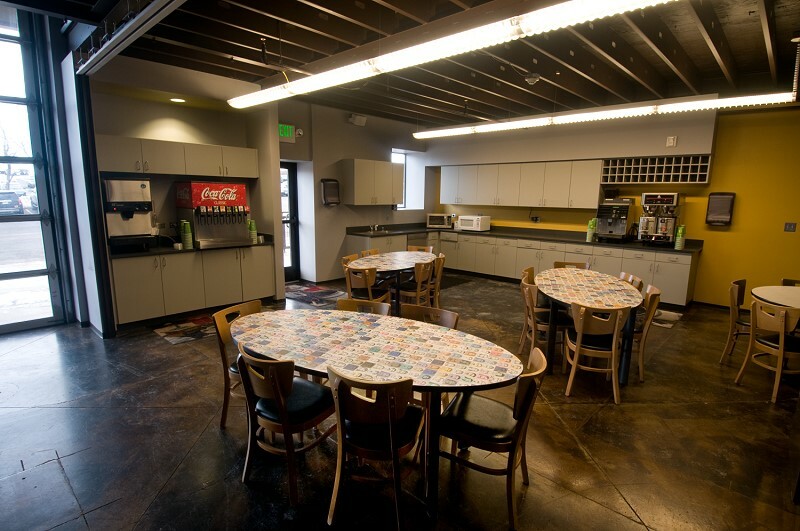 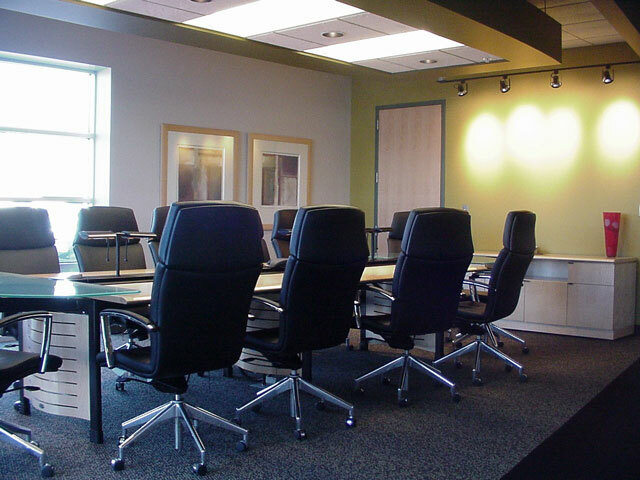 Studio B2SJ helps identify your corporate culture or enhances the environment you have strived to create in your workplace. 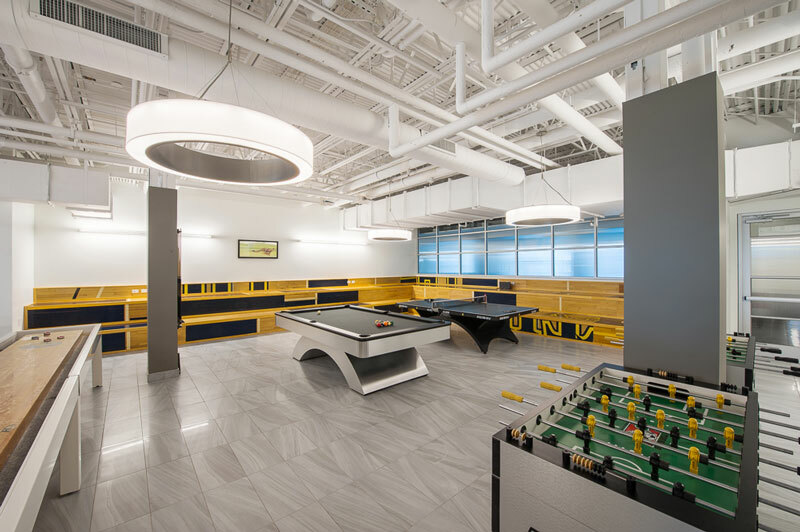 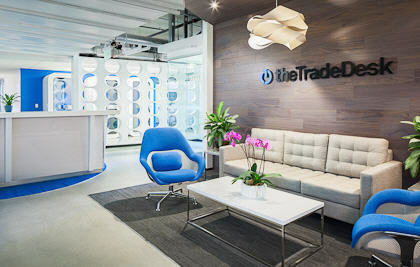 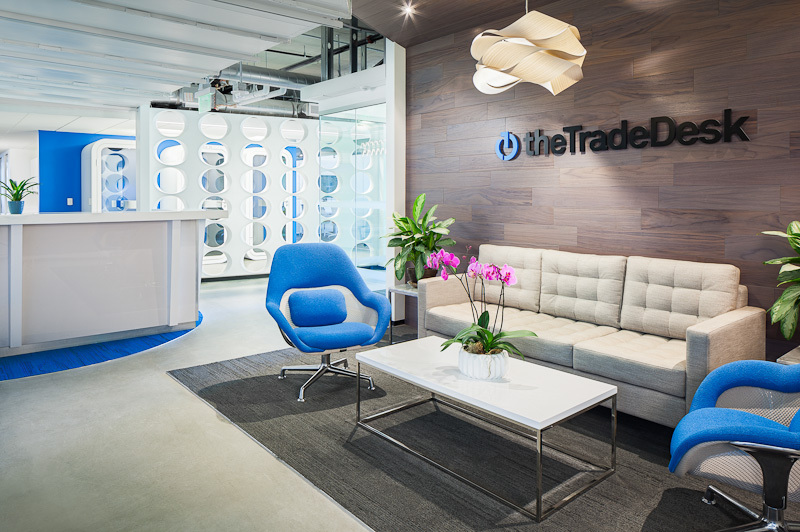 Throughout the last few economic upswings and downswings, the corporate culture as we call it has taken a beating, tech companies adding beer taps and ping pong tables didn't sit right with the financial markets. 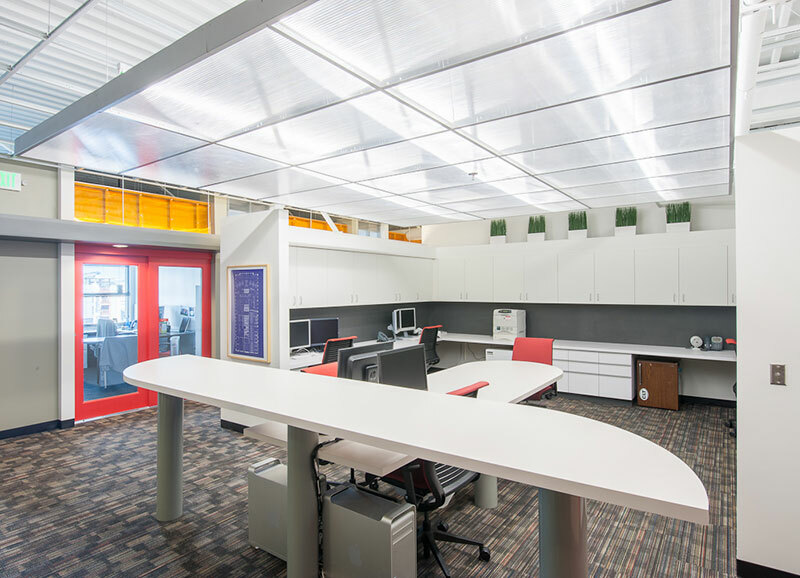 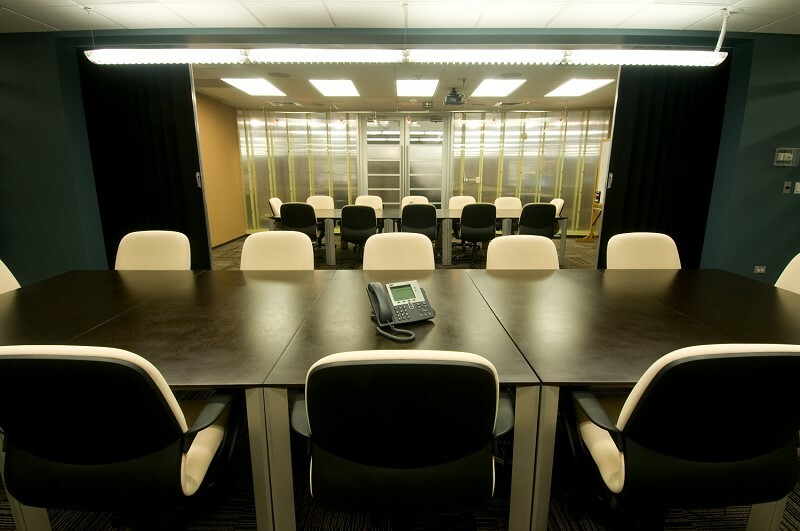 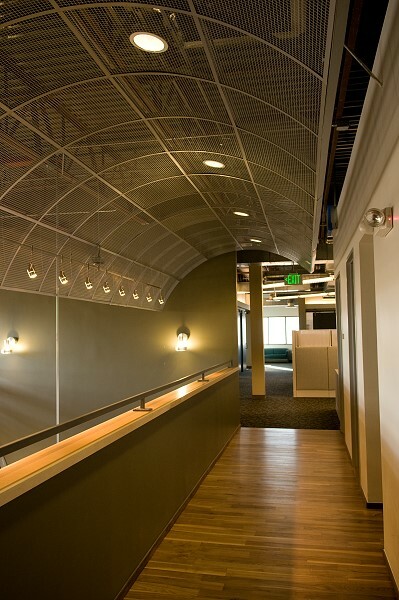 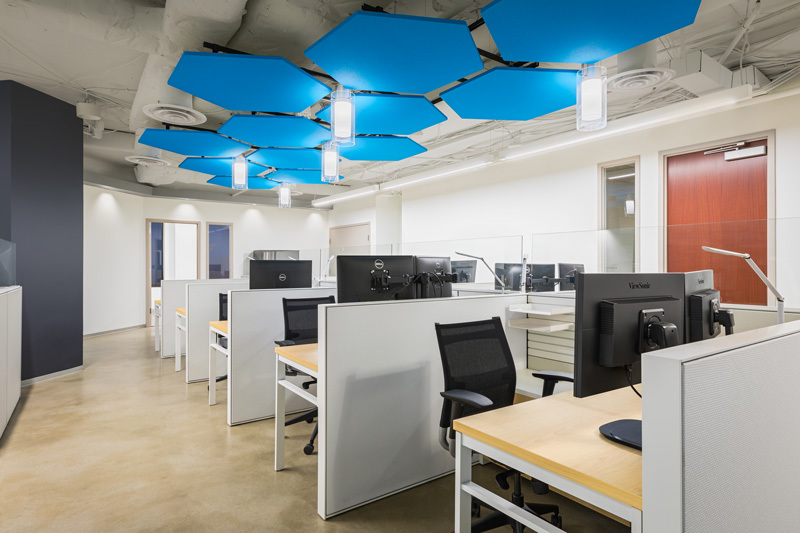 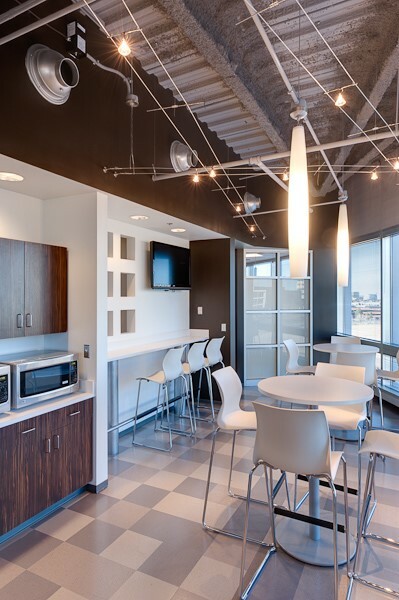 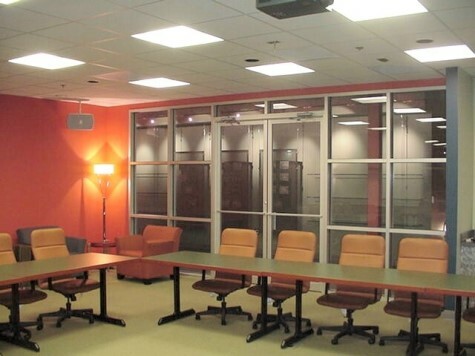 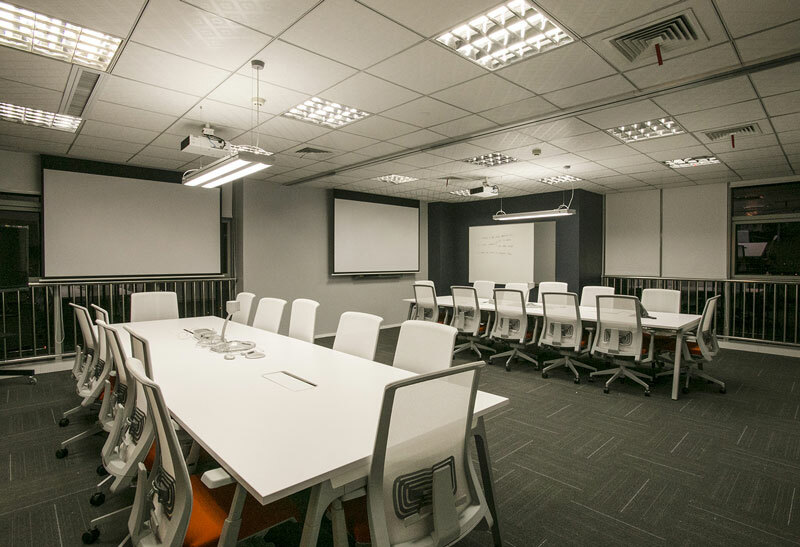 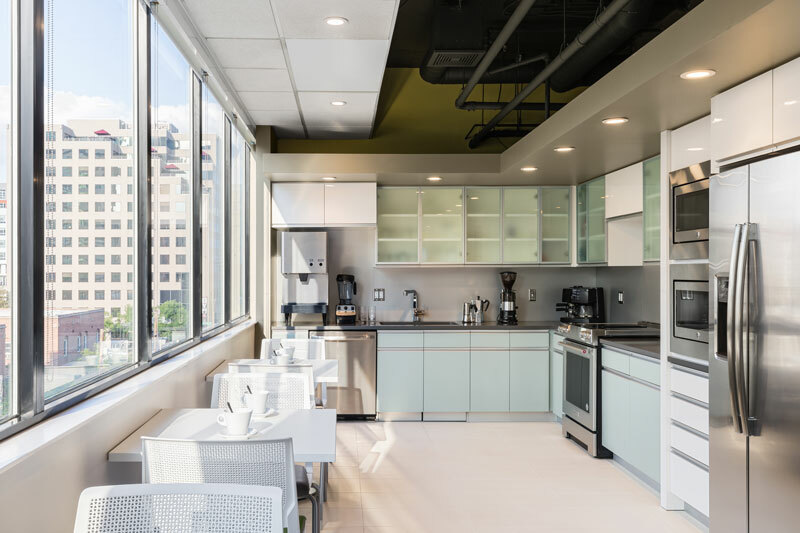 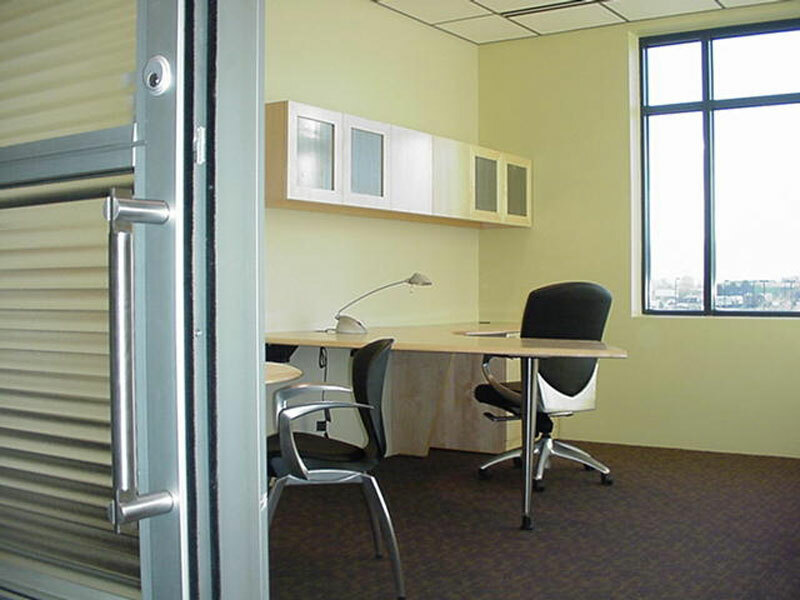 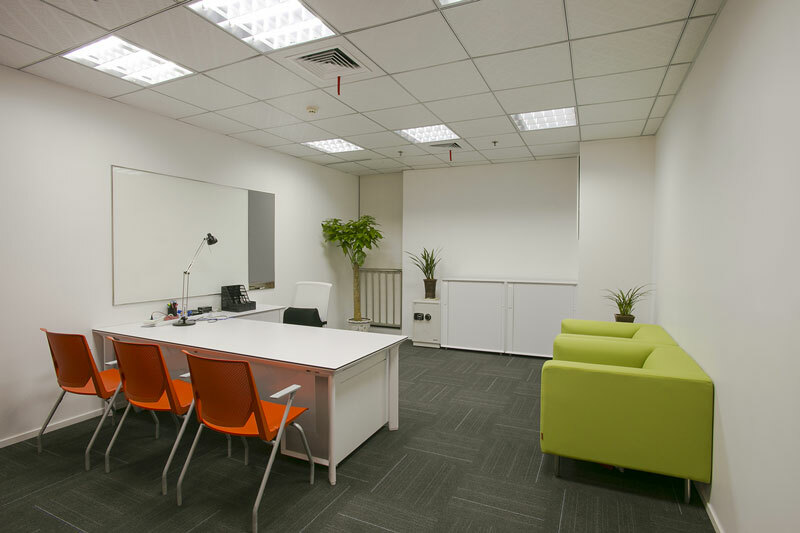 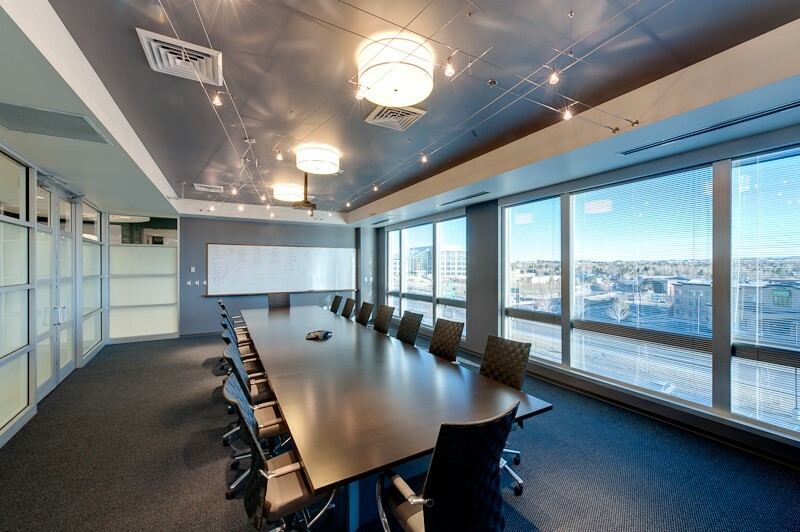 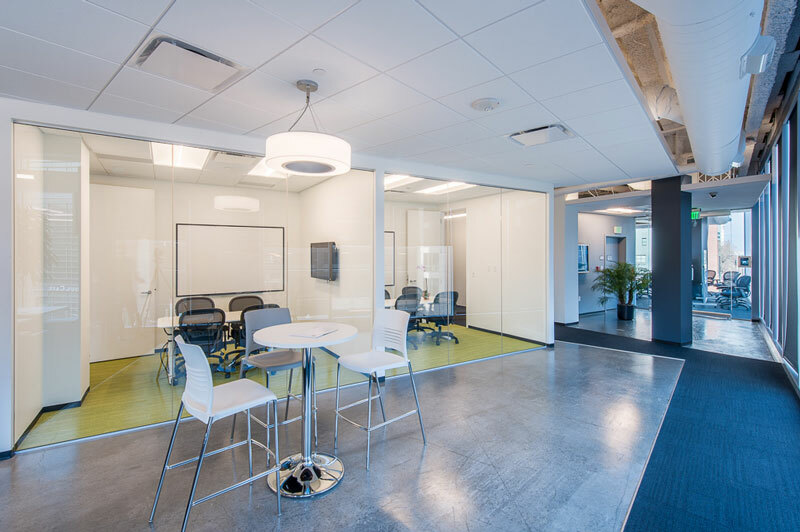 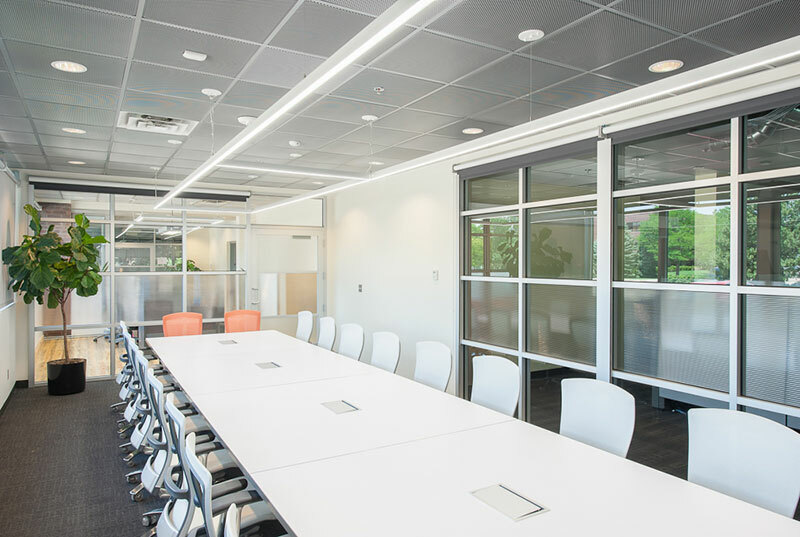 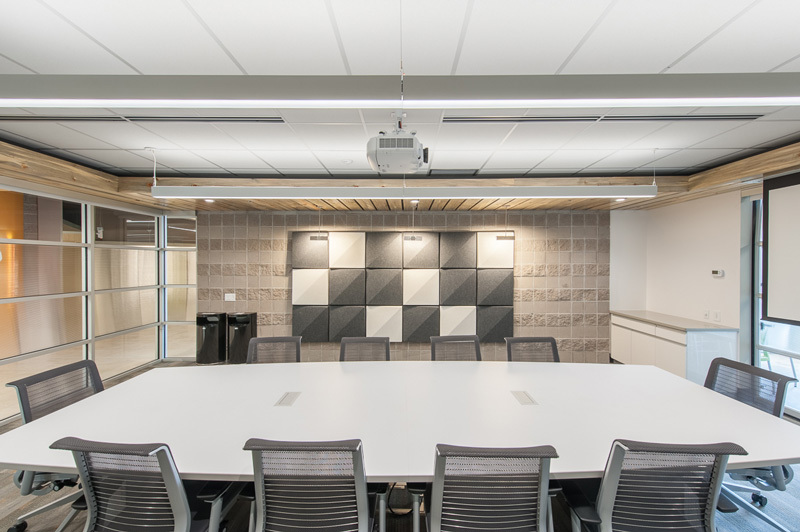 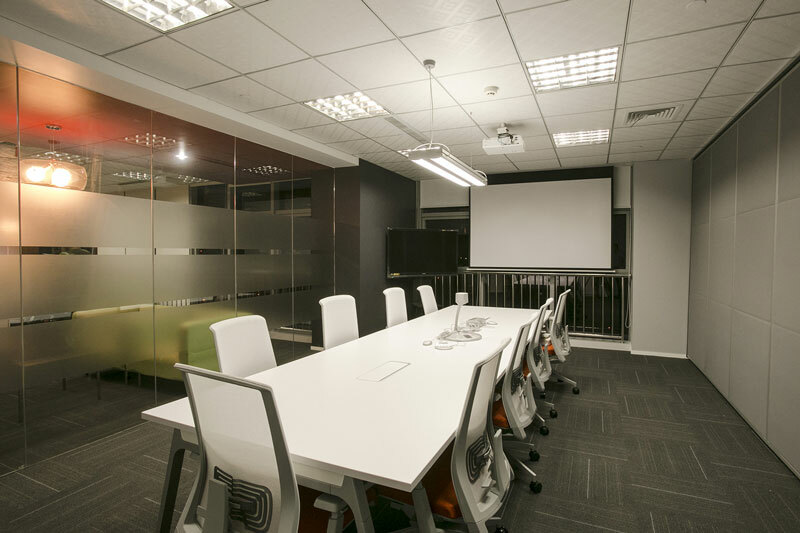 Project Management at STUDIO B2SJ is designed to provide strategic management responsibility for delivering a project to the tenant's requirements. 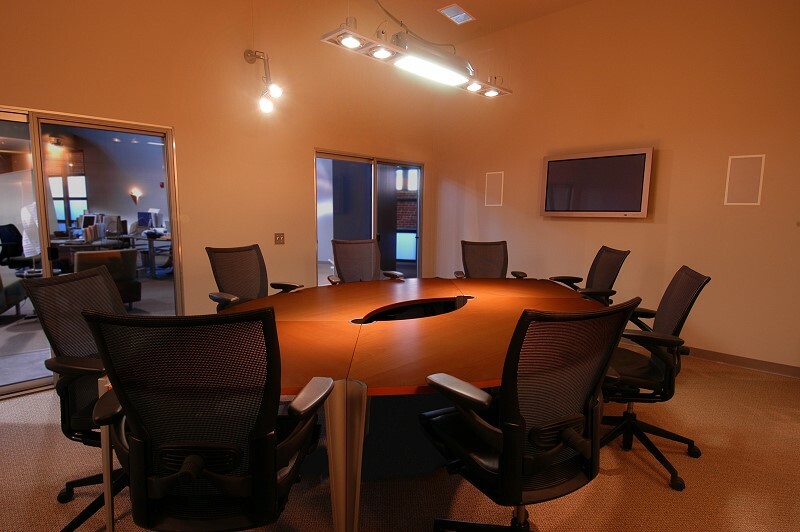 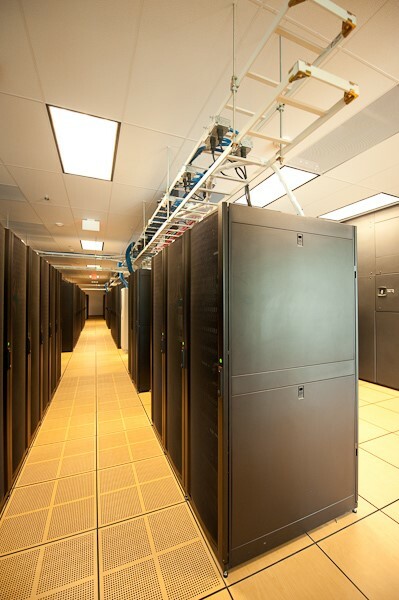 The team ensures that the project is properly planned, phased, budgeted and executed. 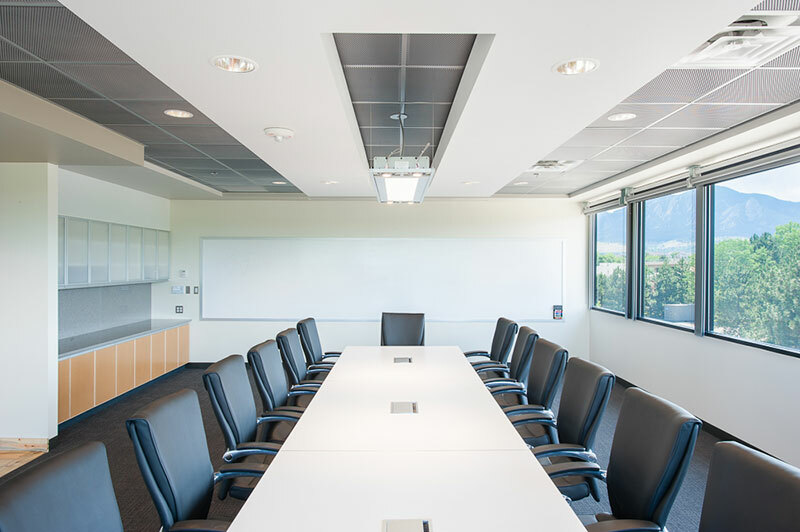 We manage and monitor the implementation of the project, including organization of the appropriate resources and consultants required.